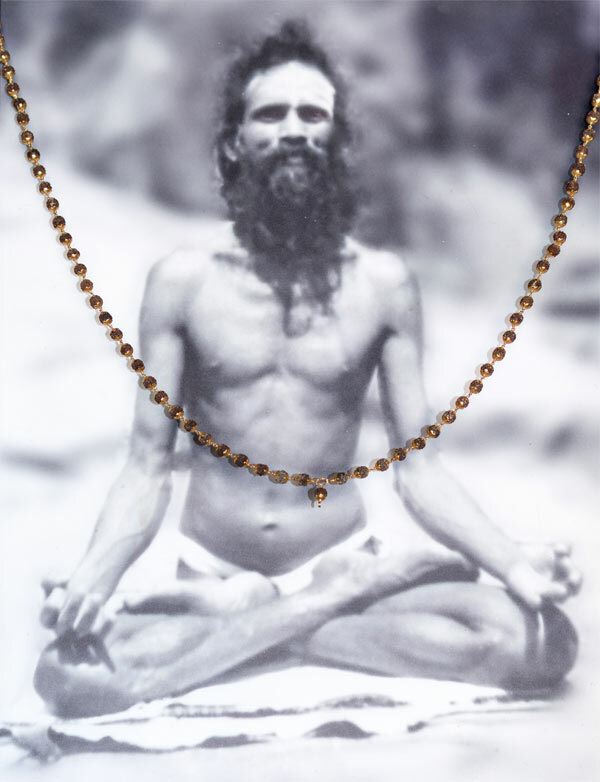 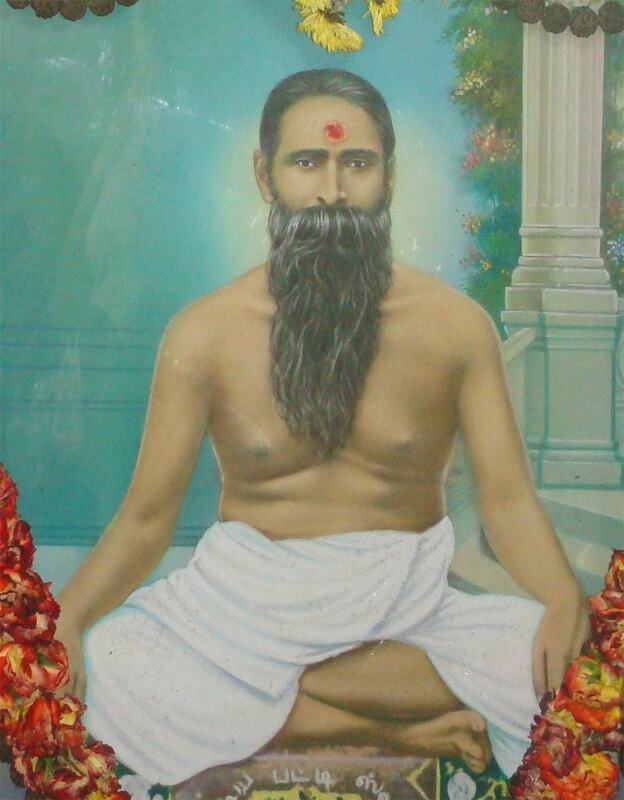 What is a Jeeva Samadhi? 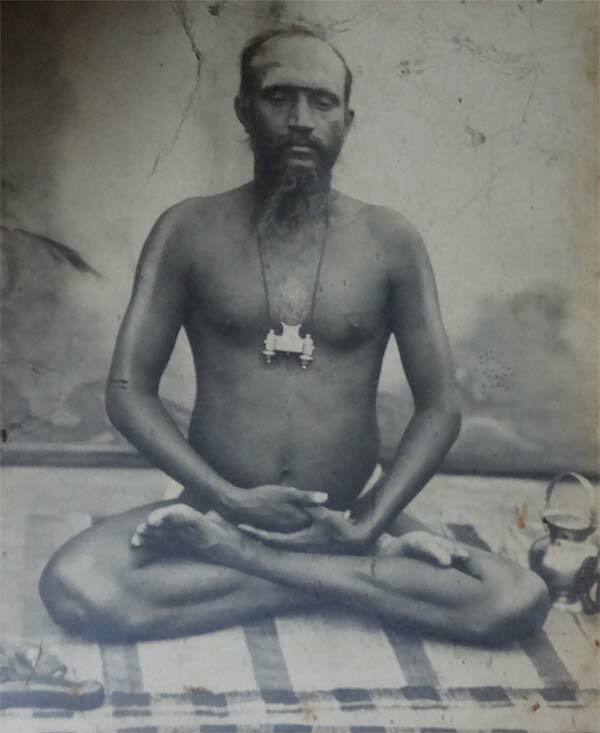 Jeeva Samadhi however is entirely different from the other types mentioned above, including Maha samadhi mentioned on another page on this site and can only be achieved by great yogis. 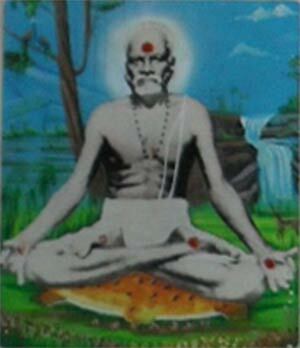 It is a very advanced samadhi state closely related to the nirvikalpa samadhi state but then permanent. 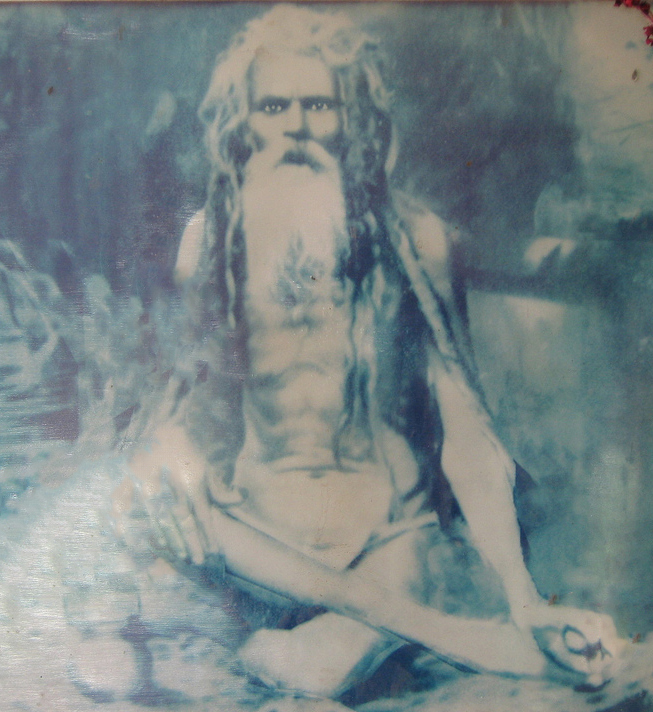 In Maha samadhi the body will decay over time and the energy will leave the body upon death. 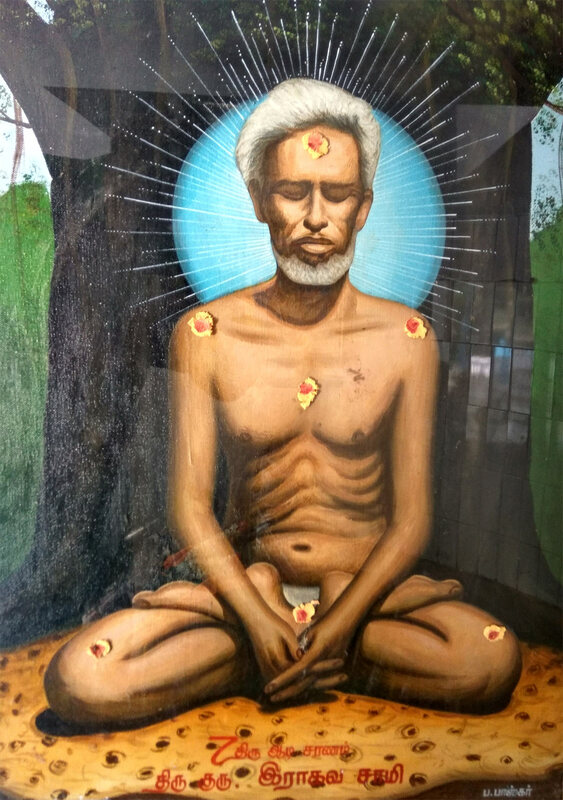 In Jeeva samadhi you cannot say the body dies nor can you say it is still alive, however the energy will remain in and around the body as if it were still alive and the body will not decay over time either (or extremely slowly as in some cases). 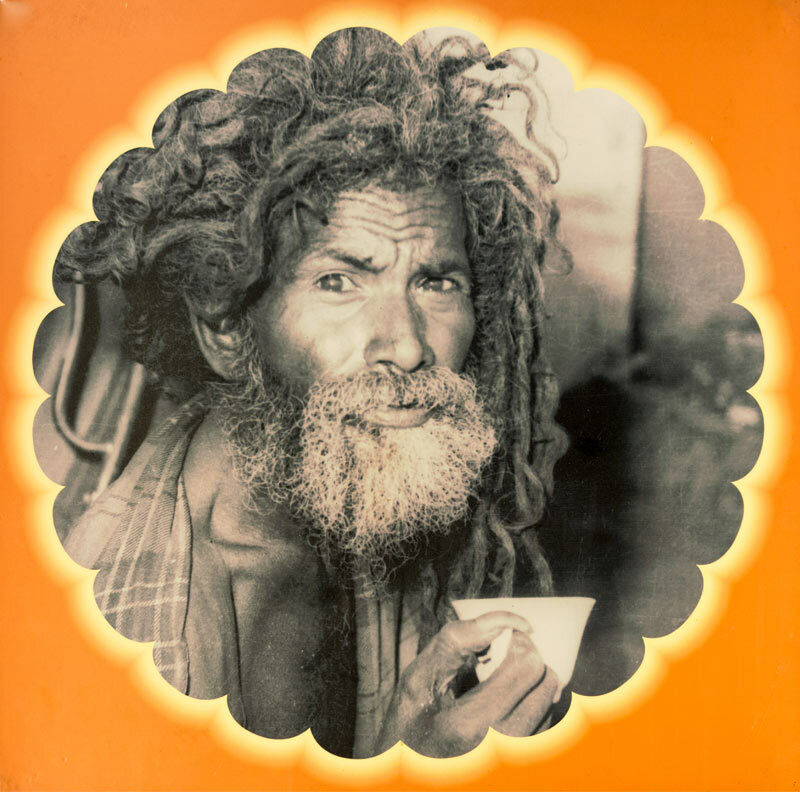 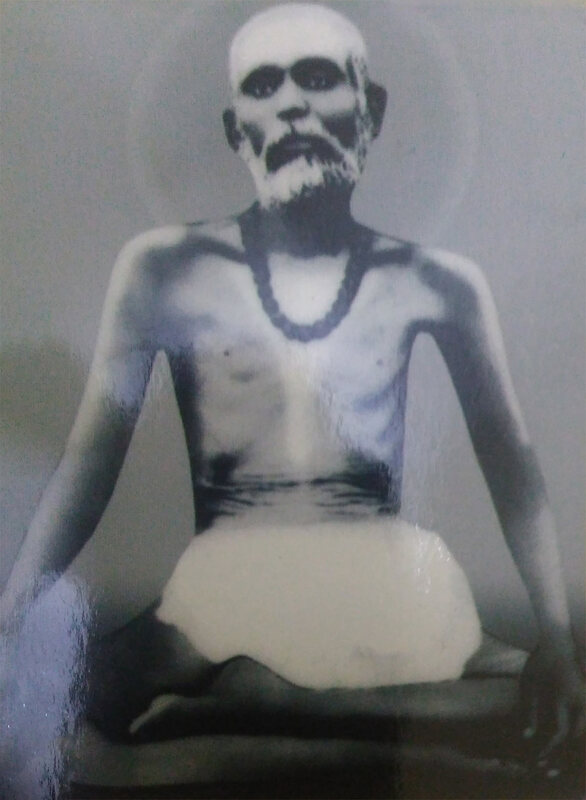 This is a state where Siddhas enters into the samadhi state at their own will after completion of their mission on earth and their mind completely dissolved into the Divine, They stop the functioning of the body and mind. 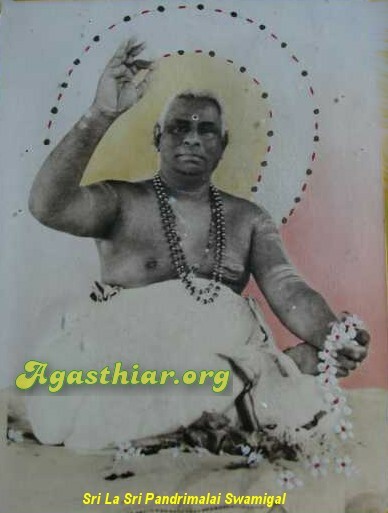 This state can be done by them either after being enclosed or before enclosure, as they choose and as per the instructions they give totTheir disciples/followers. 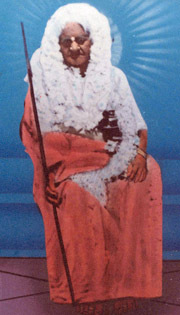 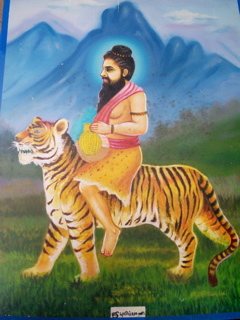 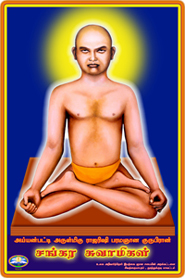 Stopping the body functions, the Siddha ensures by his spiritual achievement that the life does not go out of the body. 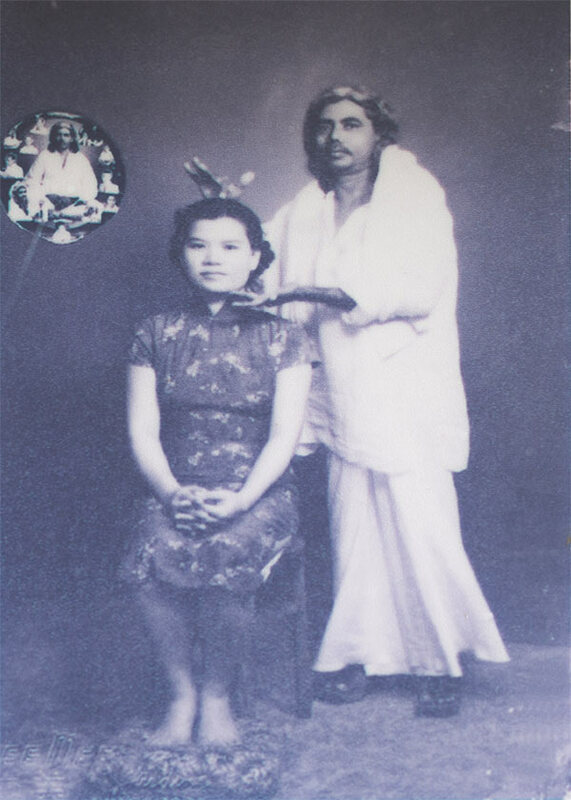 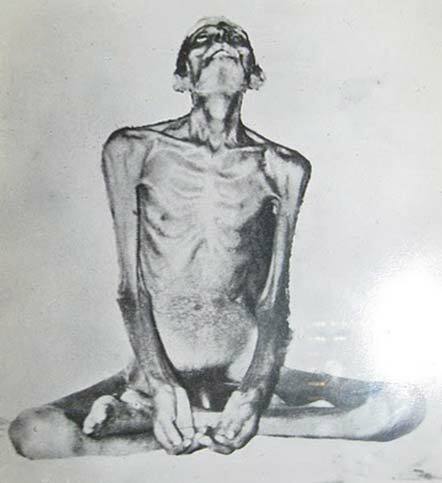 This body will never or extremely slowly decay for thousands of years because the magnetic force in the body now acts as the life force (prana) in this body. 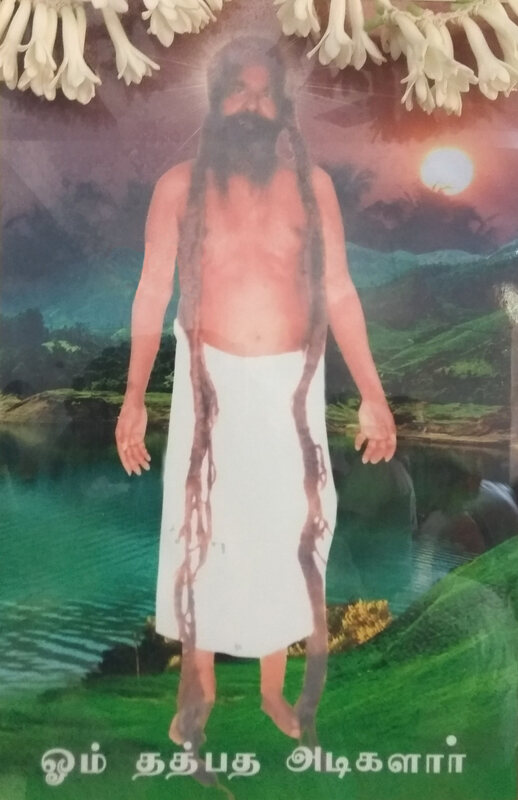 In this state of suspended animation the breathing and blood circulation completely stops but the pranic forces keep the body cells nourished and alive. 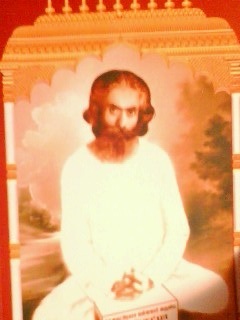 Then as invisible forces, They continue guiding mankind towards spiritual upliftment. 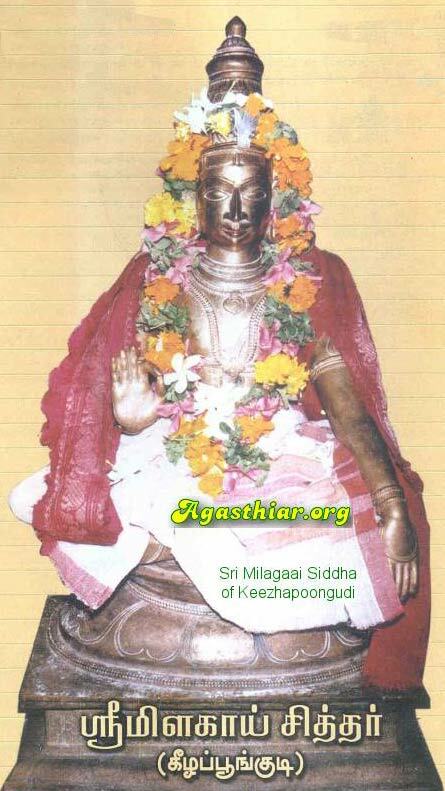 There is a possibility that the Siddha can dematerialize his body from the tomb and materialize it elsewhere in some different location and carry out the mission for another span of years! 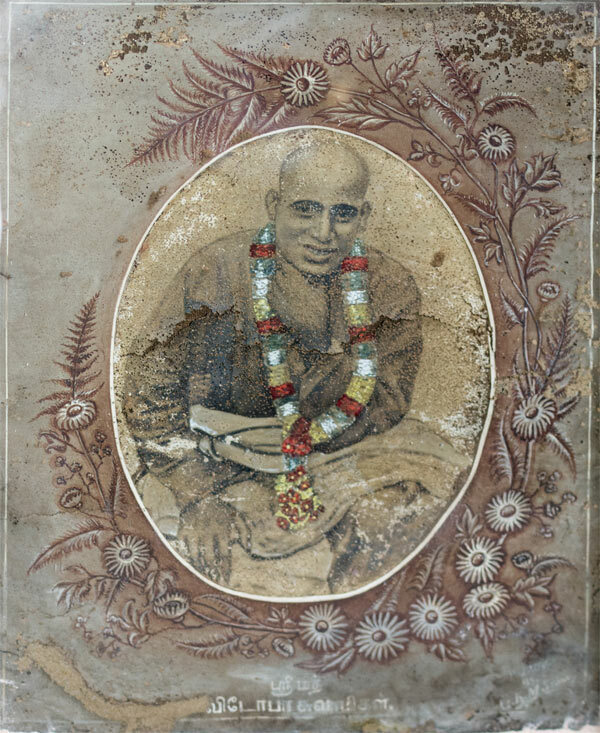 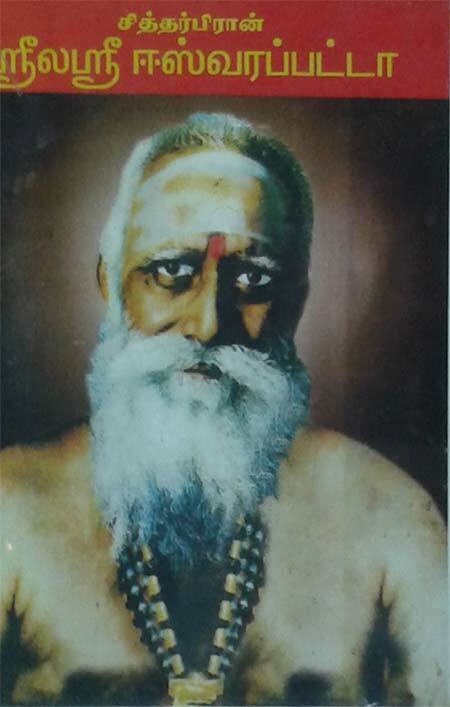 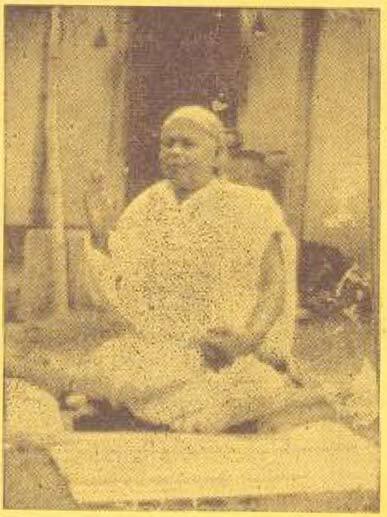 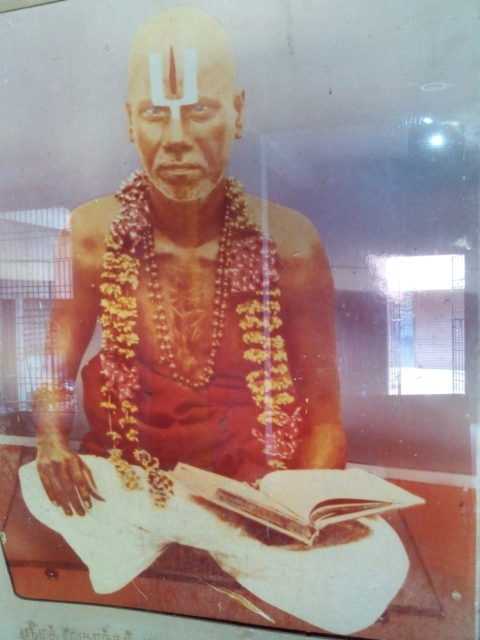 For example Sadasiva Brahmendra has 3 Jeeva samadhi's at different locations all quite powerful and some say he is still around. 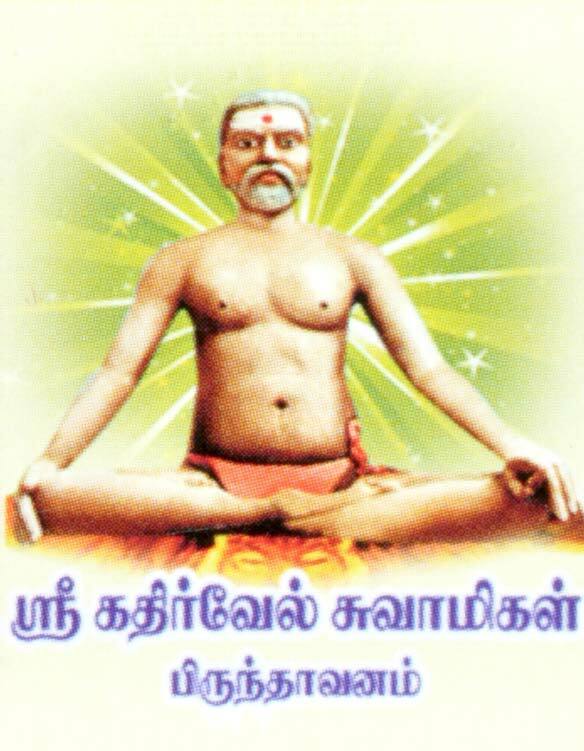 In Jeeva Samadhi, the physical body of the Siddha remains intact and alive for thousands of years. 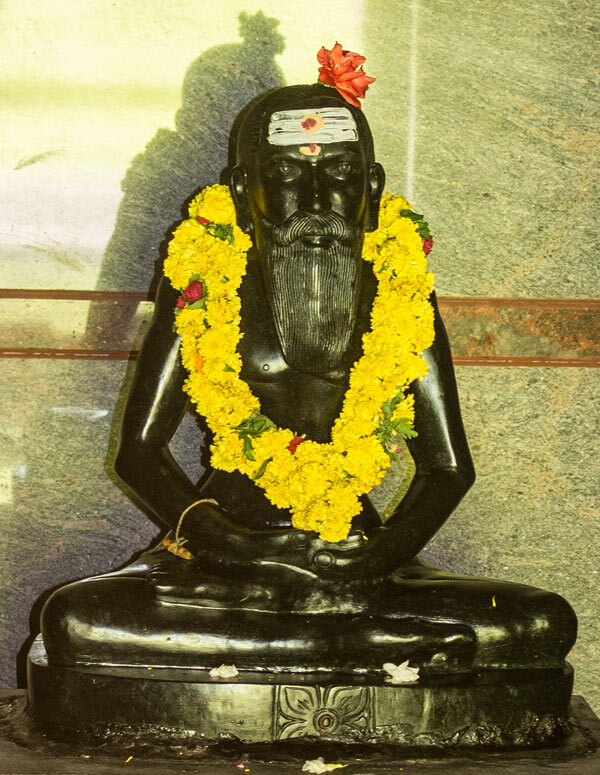 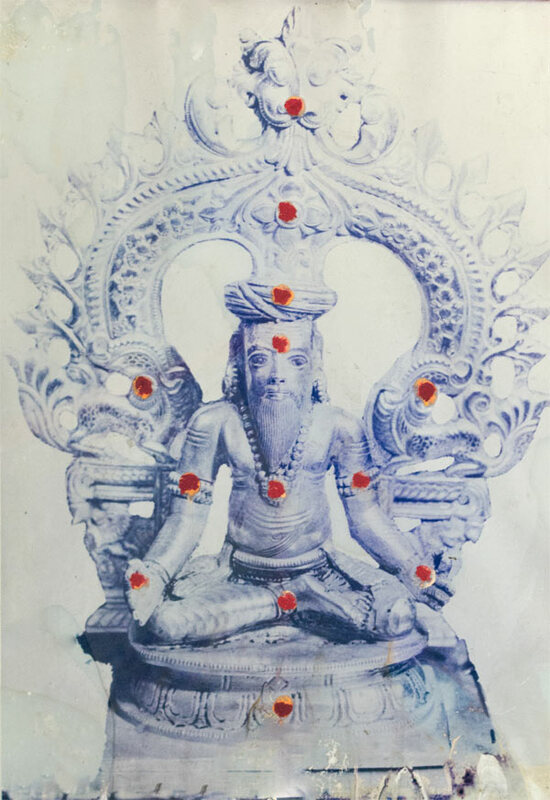 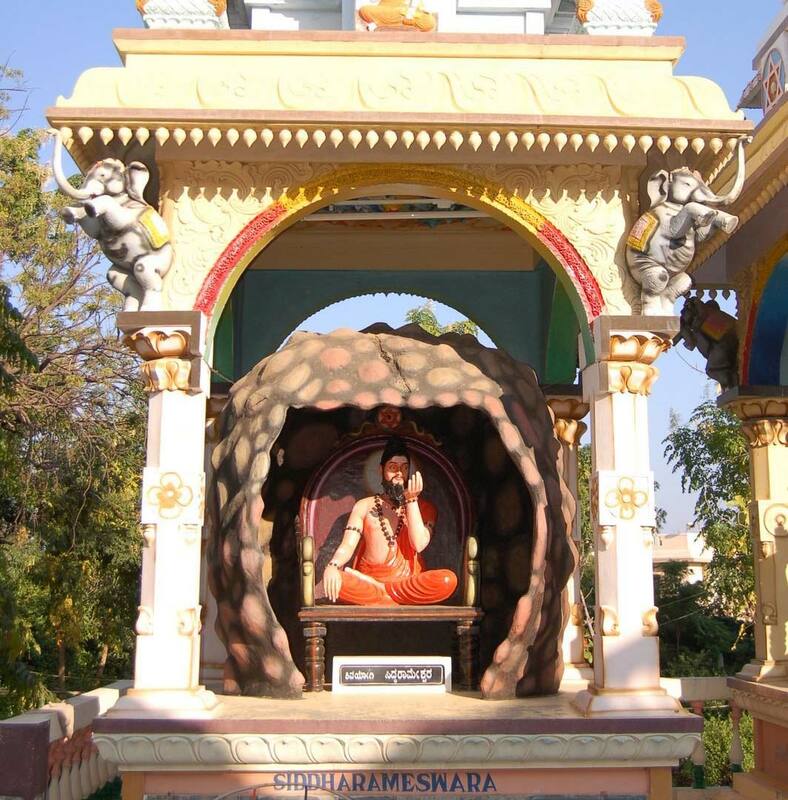 When a spiritual aspirant goes in the vicinity of the Jeeva Samadhi, he receives blessings and guidance from the Siddha emitting his divine energies. 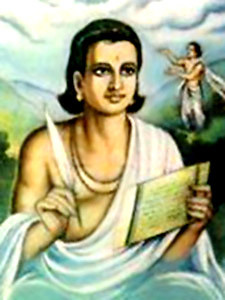 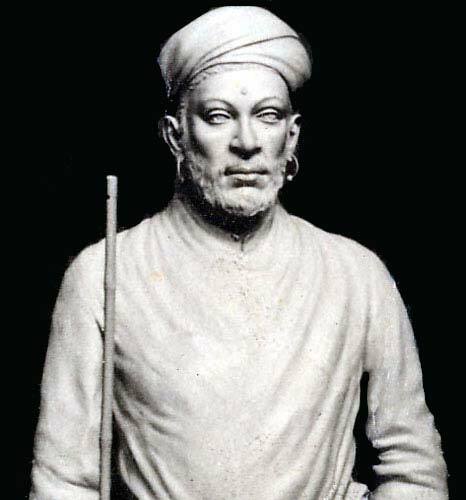 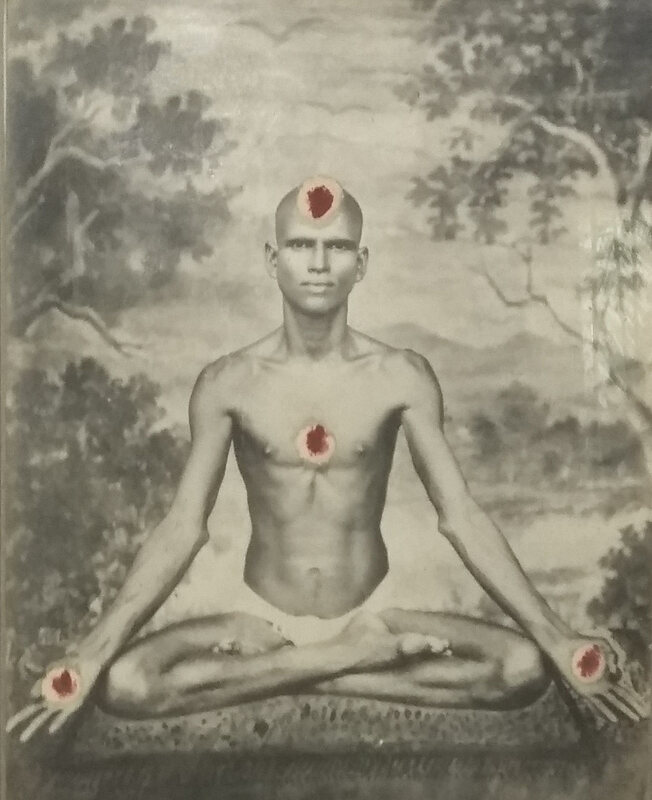 This is one of the ways of communicating with Siddhas. 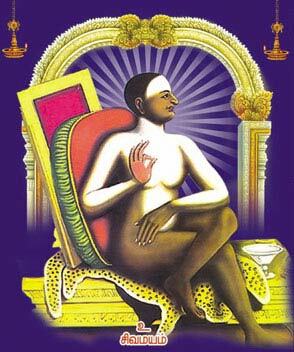 Now, the Jeeva Samadhi is nothing but one big kundalini energy field and in the vicinity of the high energy fields, the seeker's kundalini also rises. 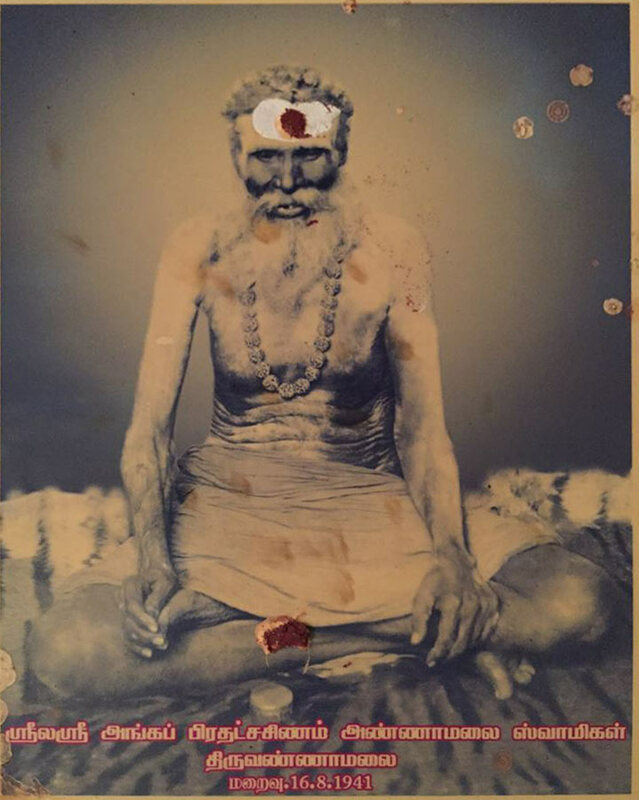 Actually it is a very old custom in India that when one starts his spiritual journey within, he/she visits all saints and samadhis of saints and also the holy temples. 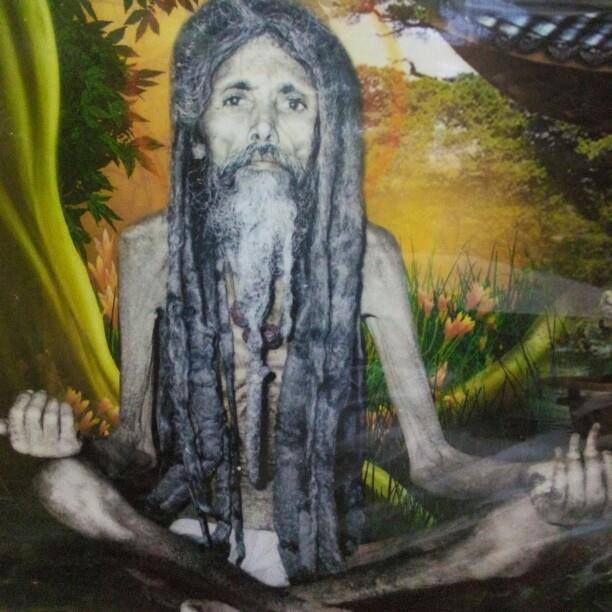 To get the kundalini flowing correctly without problems and without meditating for decates trying to ignite it, this is the best way. 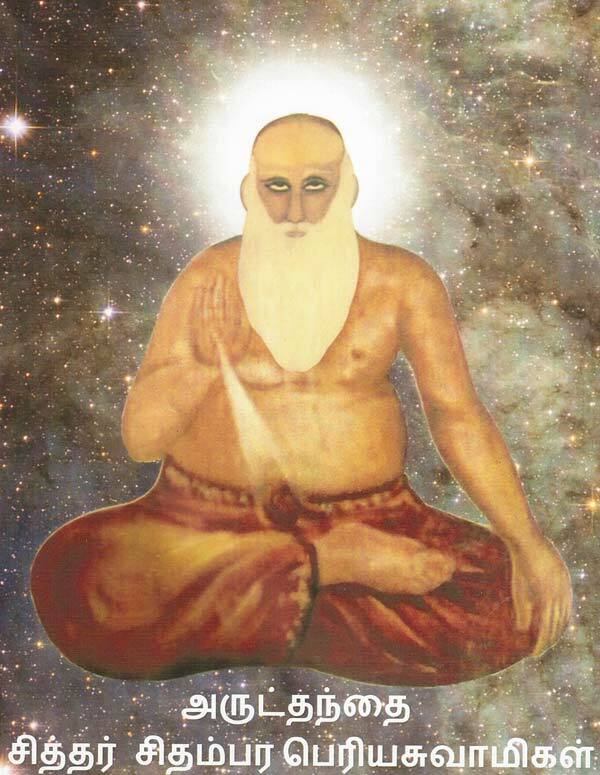 There is a saying that if one even gets a glance of saints his sins would get burnt by the kundalini and thus he would be purified. 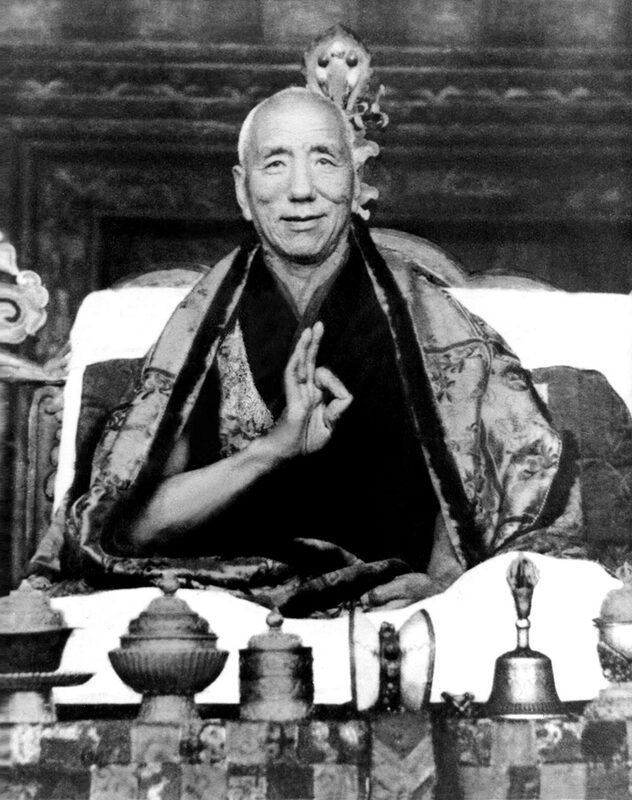 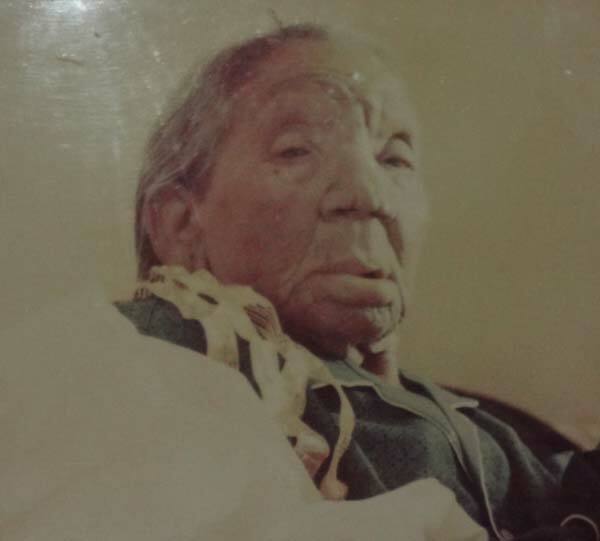 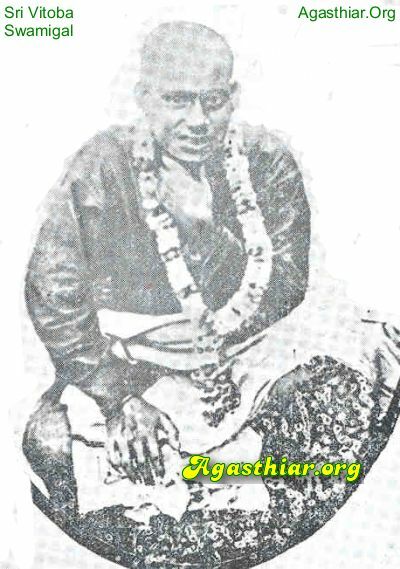 Hambo Lama Itigelov over 87 years in Jeeva samadhi. 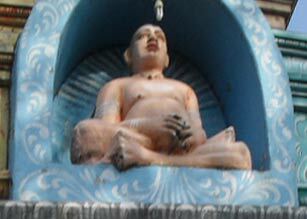 The white powder on his clothe is salt, to avoid moisture buildup. 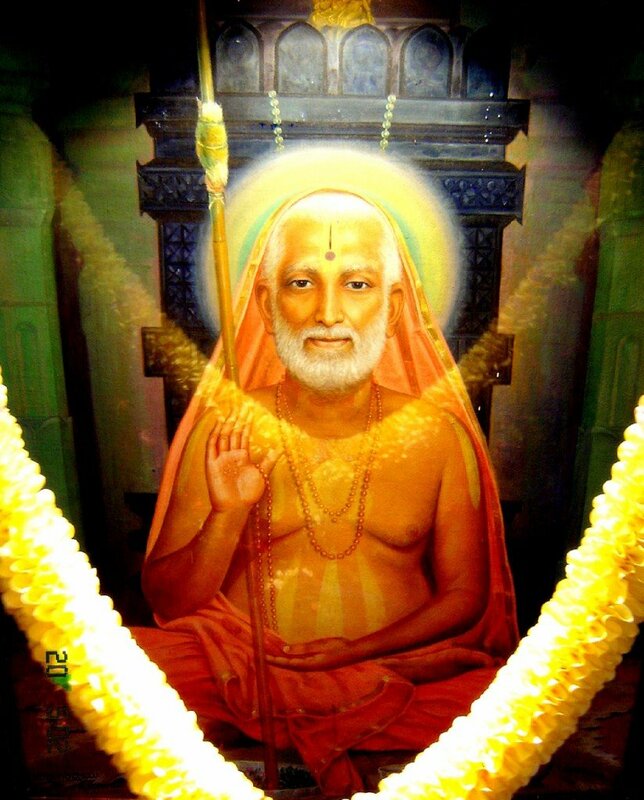 Every Siddha before taking Jeeva Samadhi gives specific instructions on how the tomb should be made and how their bodies must be placed and other instructions so that they can benefit the maximum to the world. 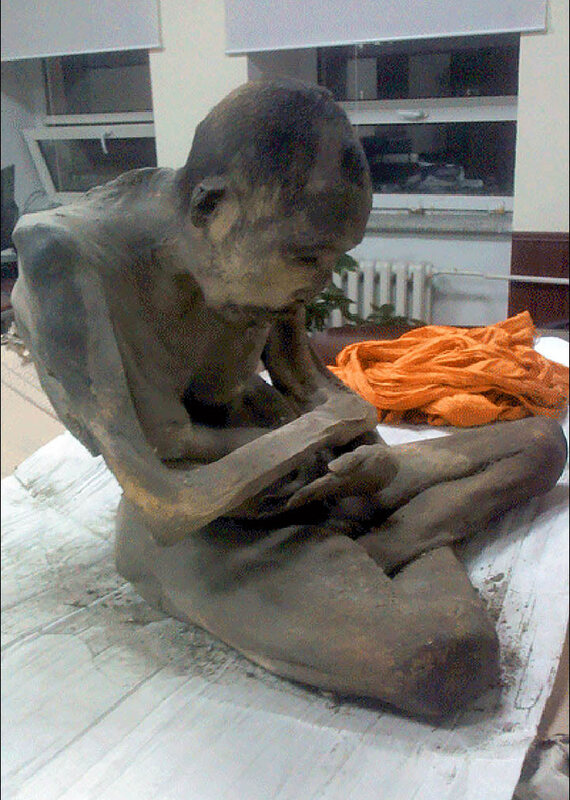 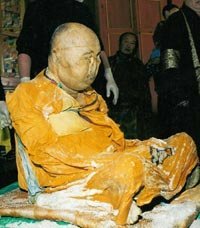 Hambo Lama Itigilov for example left a testament asking to be buried as he was at the time of his death, sitting in lotus posture. 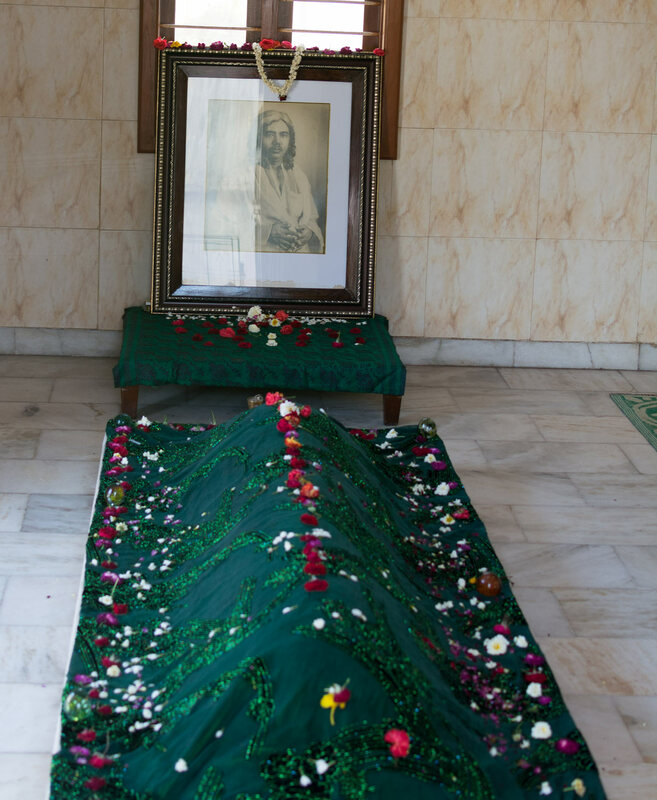 According to his wishes, his body was put into a pine box and interred at a bumkhan (a graveyard for the lama burials) in the locality of Khukhe-Zurkhen. 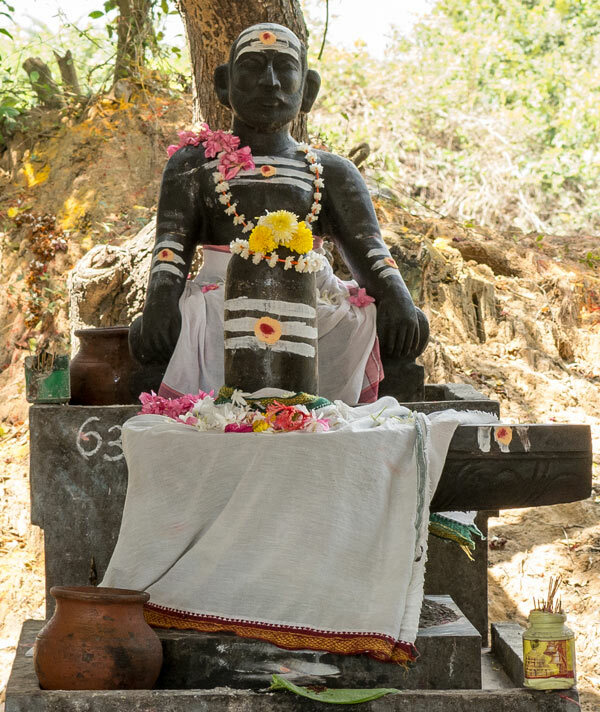 In south India you find much more complex Jeeva samadhi structures for channeling the energies and some are complete temples that basically represent the jeeva samadhi himself in the structure. 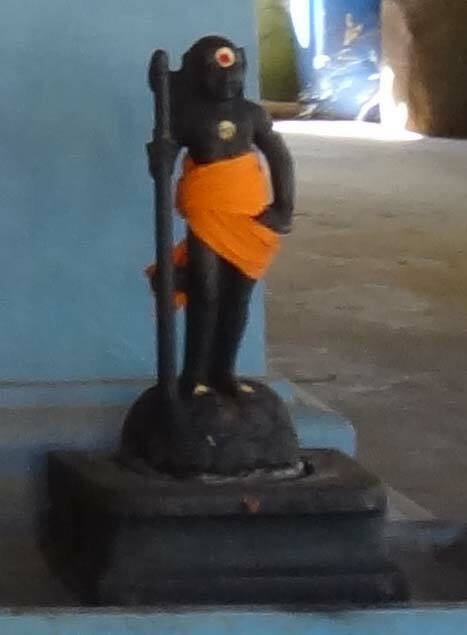 This way the temple is used as a reminder that our inner spiritual journey is through internal yoga to realize the indweller God. 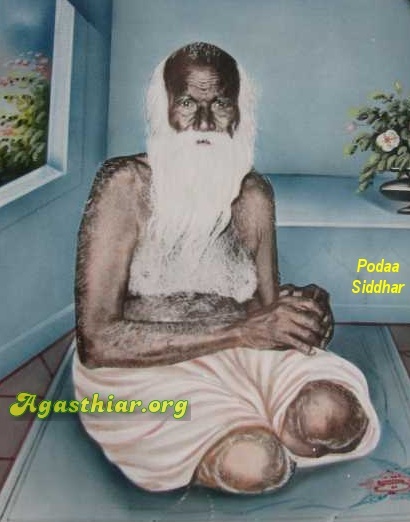 Some Siddhas have different instructions specific for the kind of rituals to be done on the samadhi like using certain mantras there, poojas, offering dhoop (thick smoke), feeding the poor in those locations, worship during certain days and time, etc. 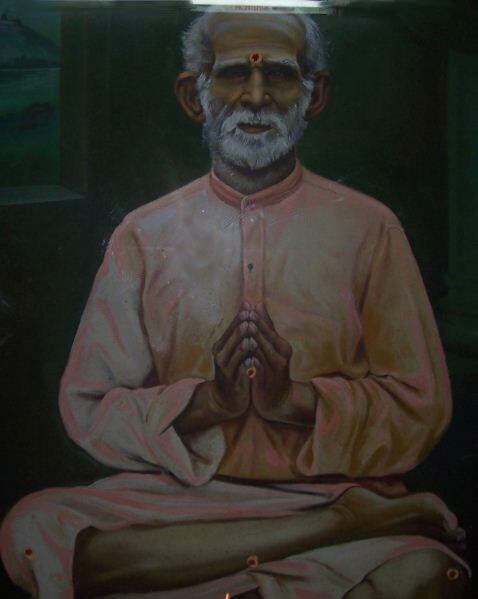 The point is that just going and visiting the Jeeva Samadhi will not be of any help. 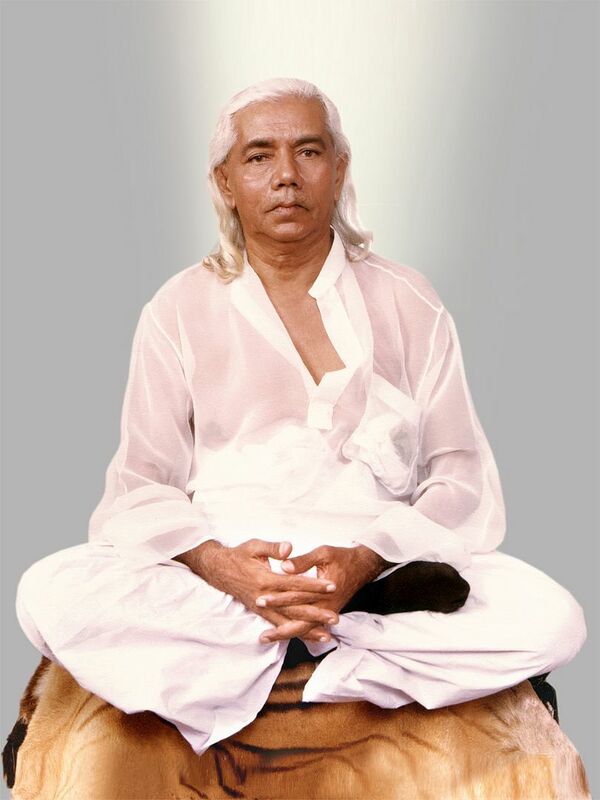 It is only when one is open and receptive that things happen. 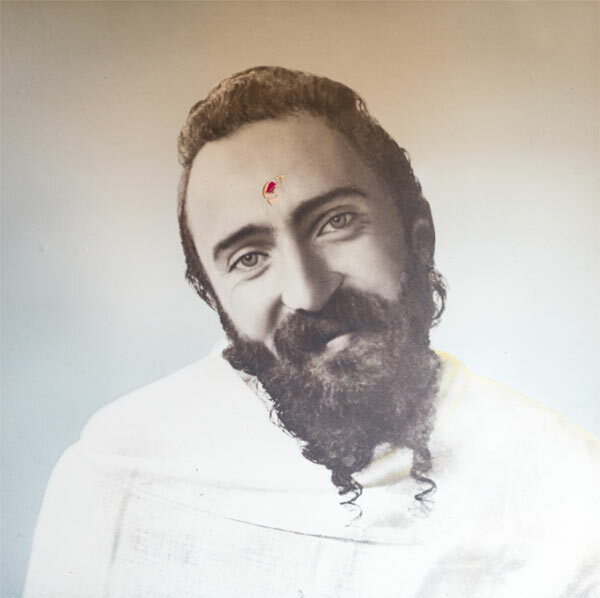 One has to approach with pure intentions and love for the Siddhas and to what they have to offer, then only the connection and grace would flow within. 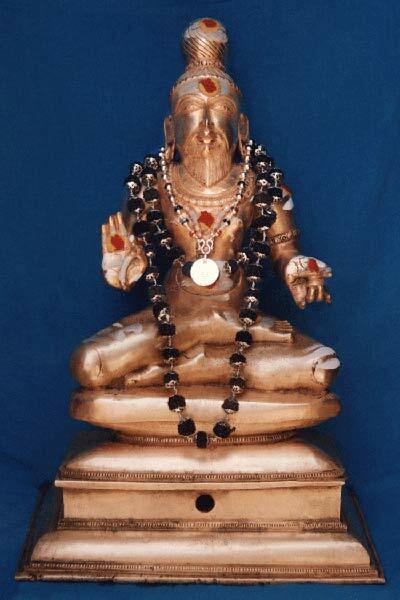 This is a beautiful way for Siddhas to lock the energies or avoid misuse. 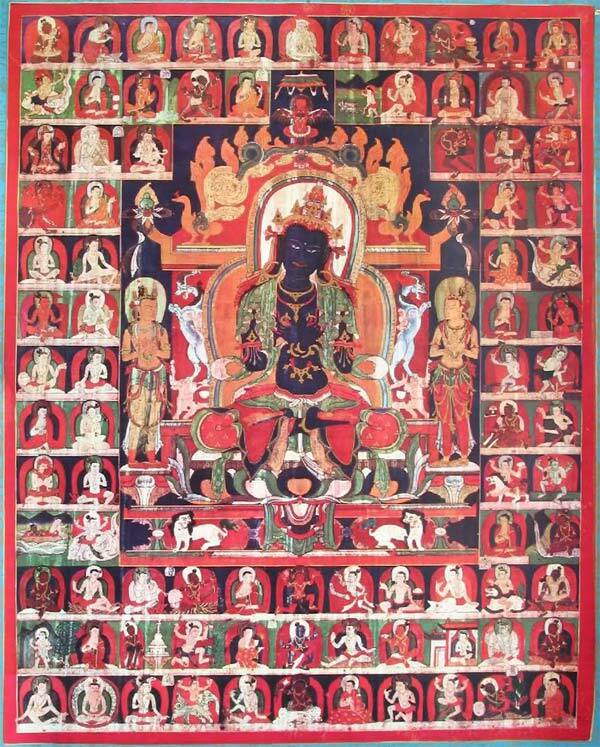 Everywhere the principle is the same. 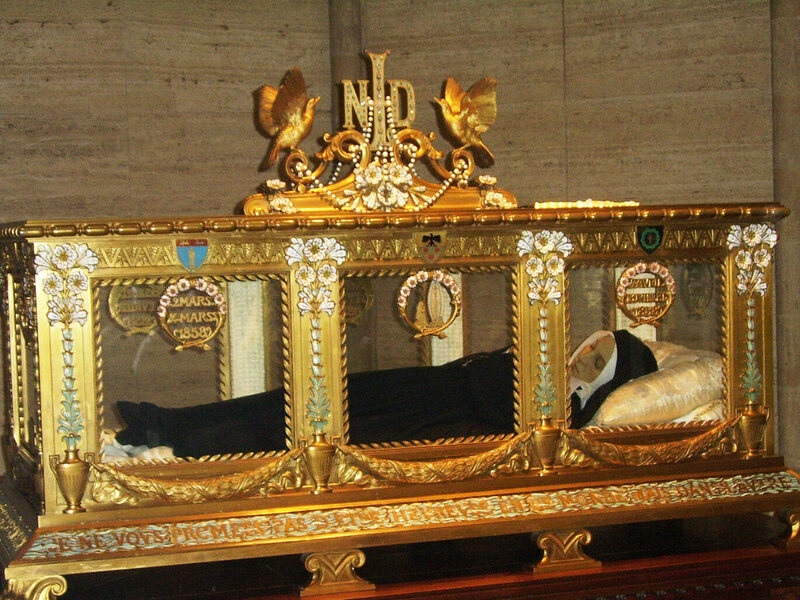 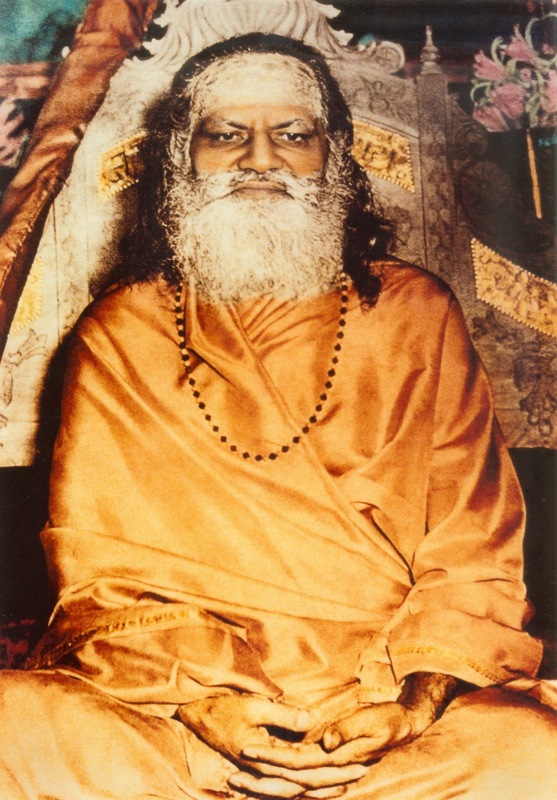 Like many saints say, if one is not open and accept the grace, there is no way anyone can force it through one. 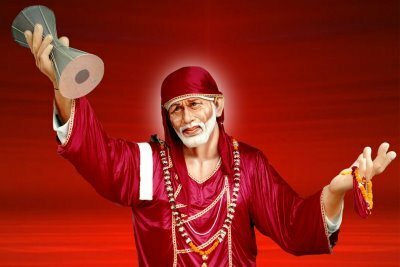 Thus it is best to just trust, have faith and surrender. 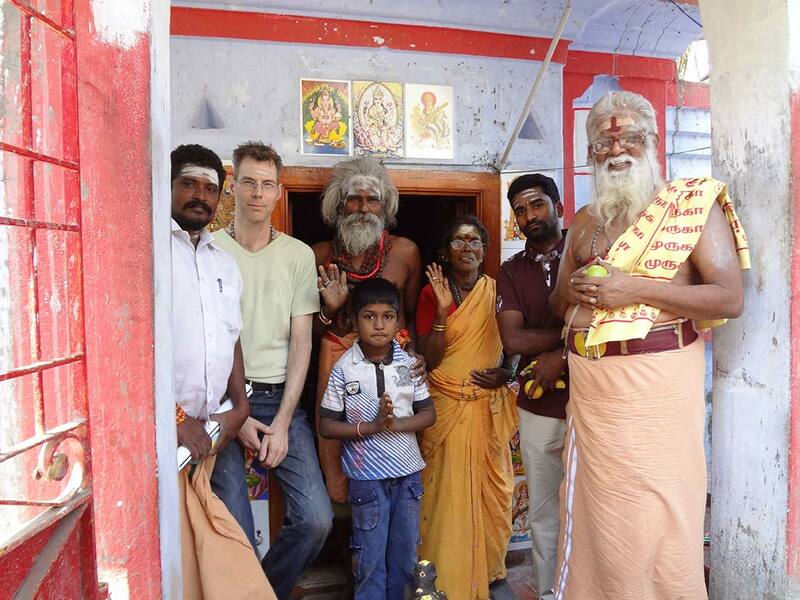 This works everywhere - even if one had to walk into a temple or any other holy place. 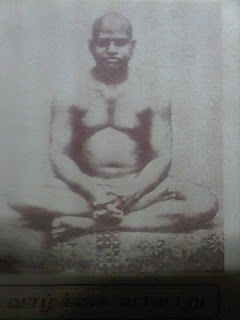 Meditating at Jeeva Samadhis in the 'right' way with the 'right' approach brings in the desired results and much beyond. 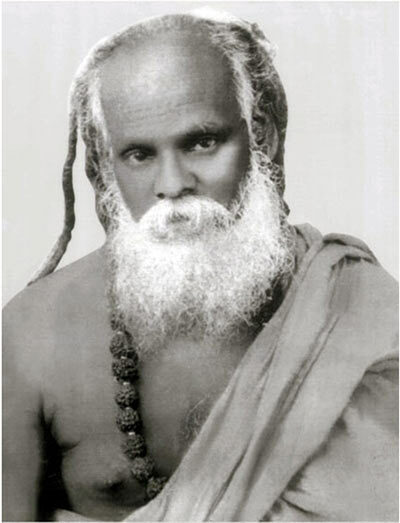 It is better to spend at least a minimum of 20-30 minutes at a Jeeva Samadhi in meditation. 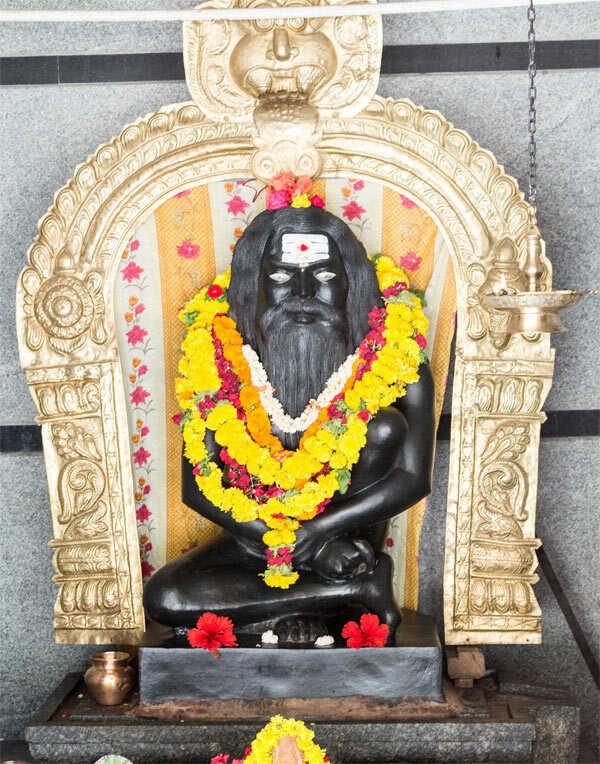 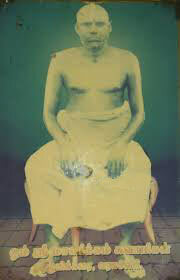 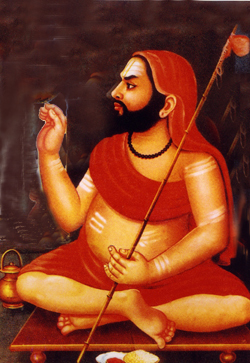 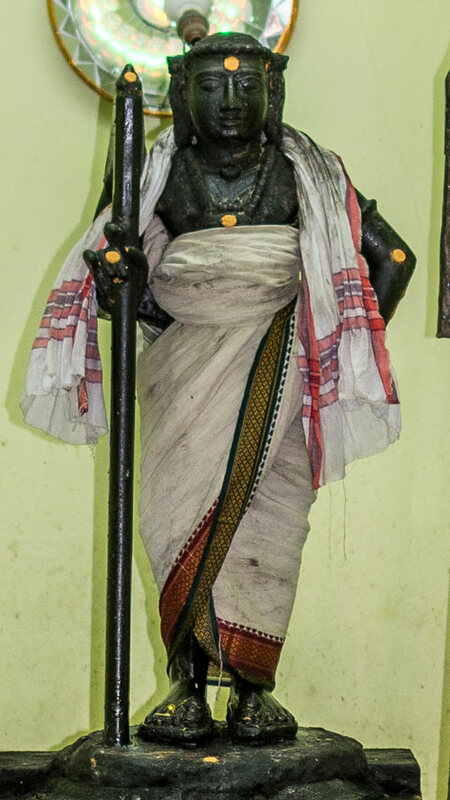 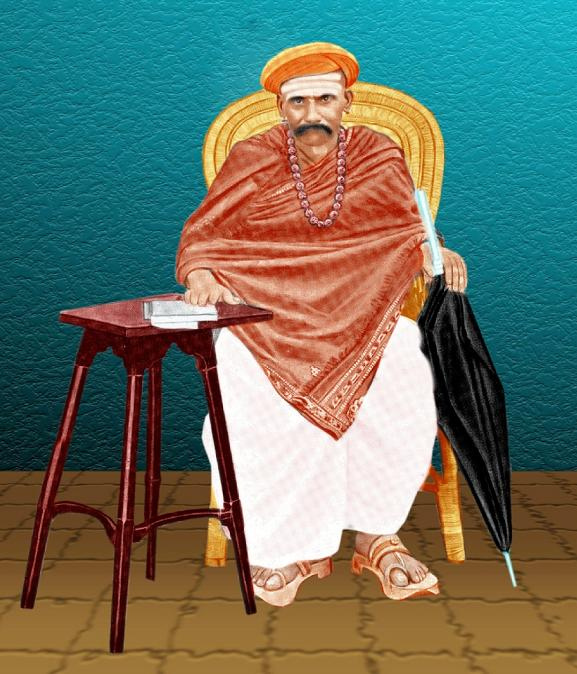 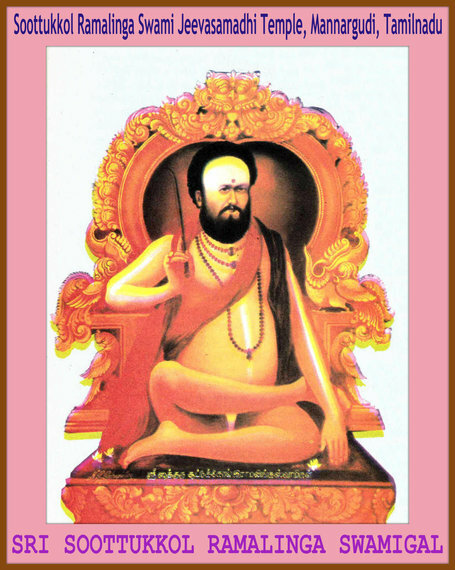 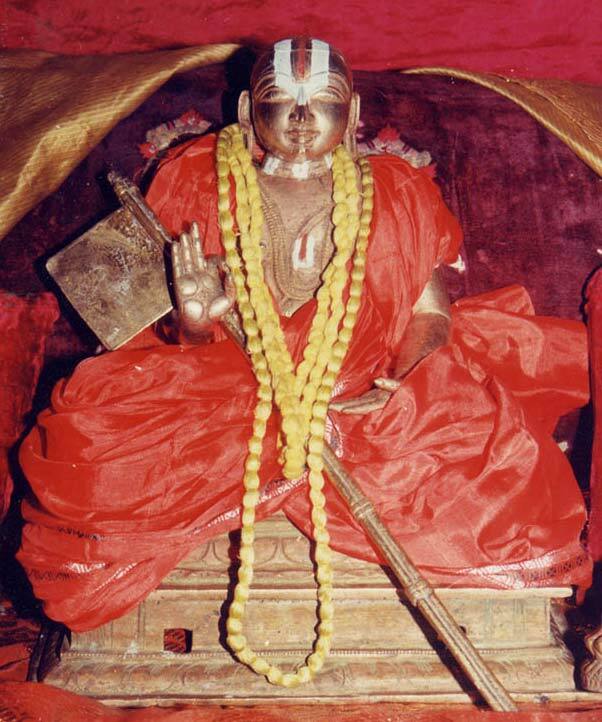 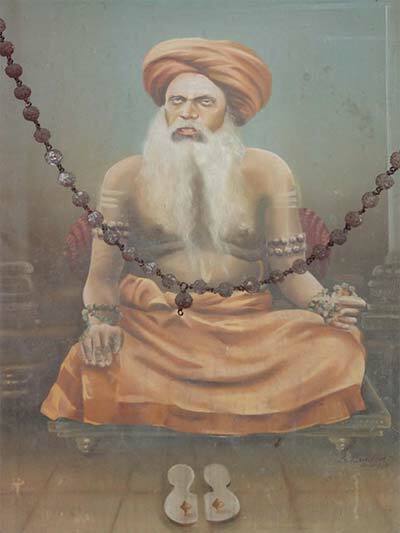 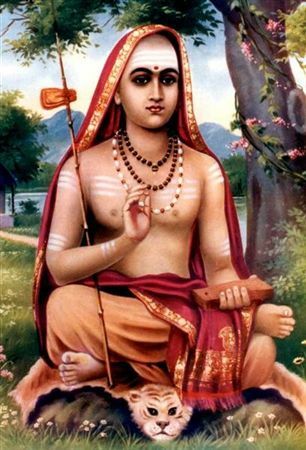 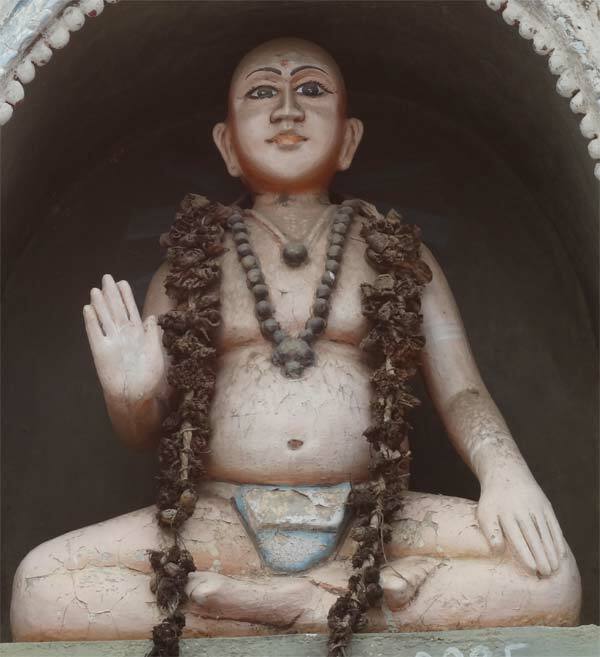 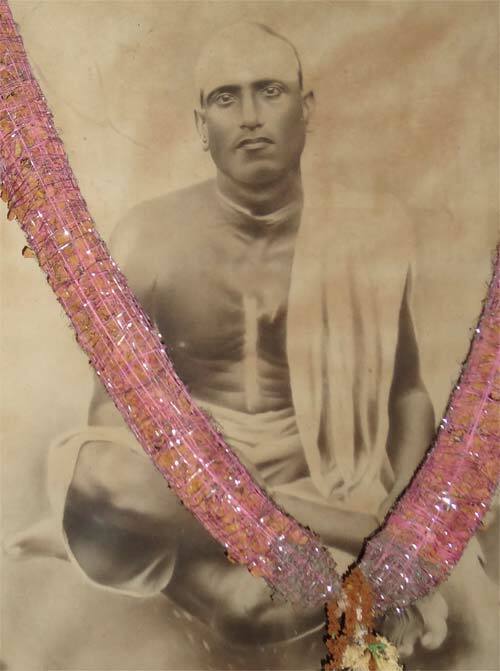 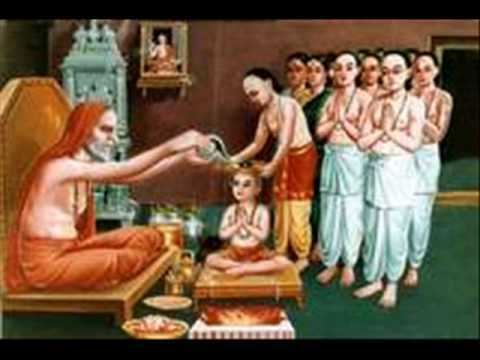 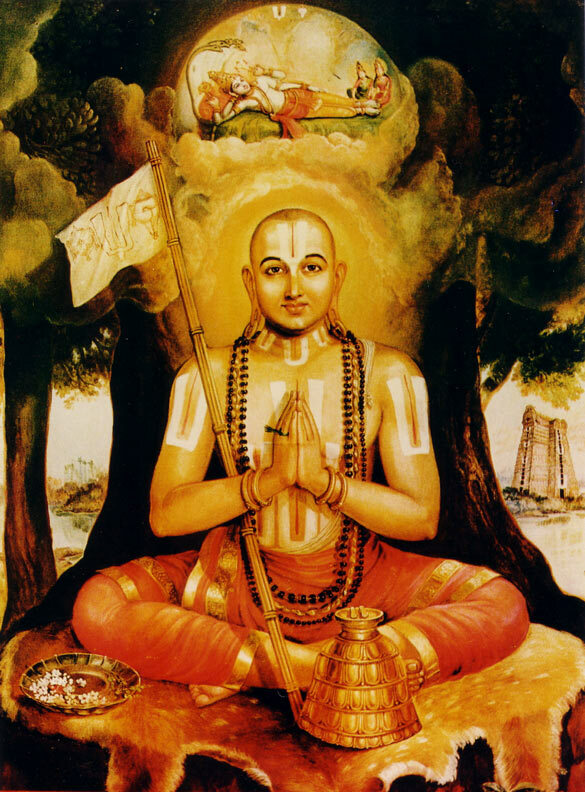 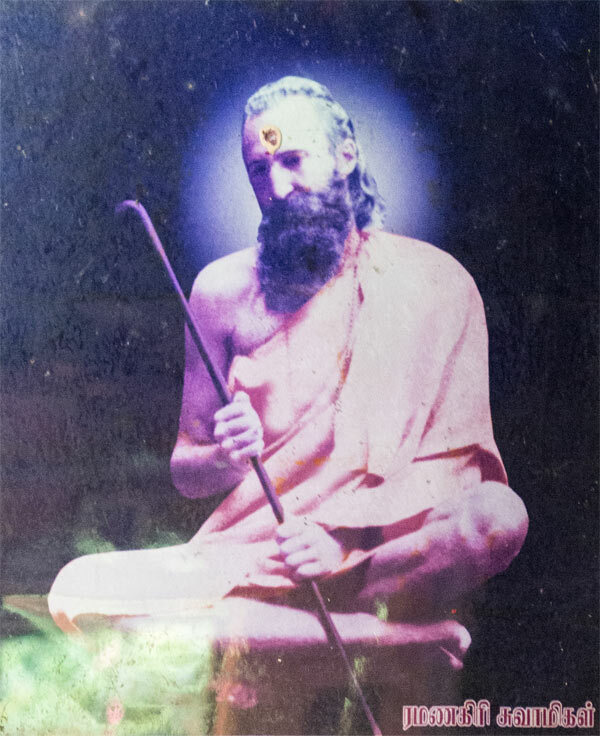 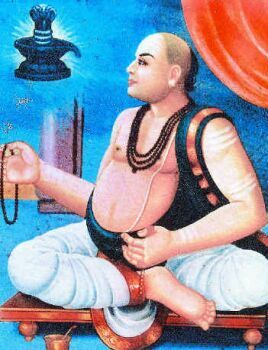 Knowing by now how the Siddhas work it would be foolish to say that one has to go to the physical vicinity of Jeeva Samadhis to receive their energies but one can even connect from wherever they are. 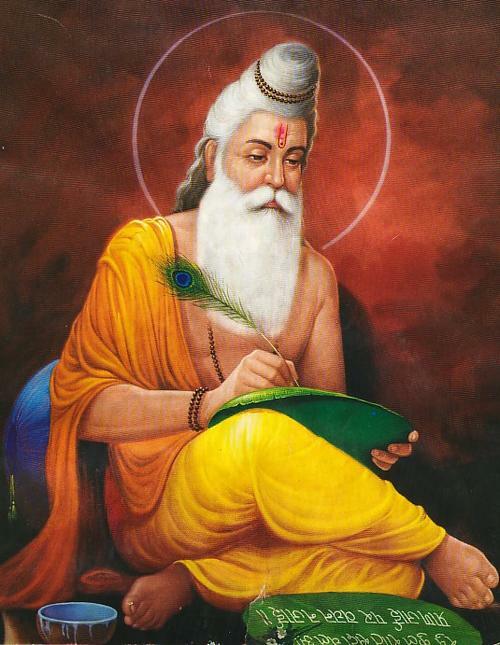 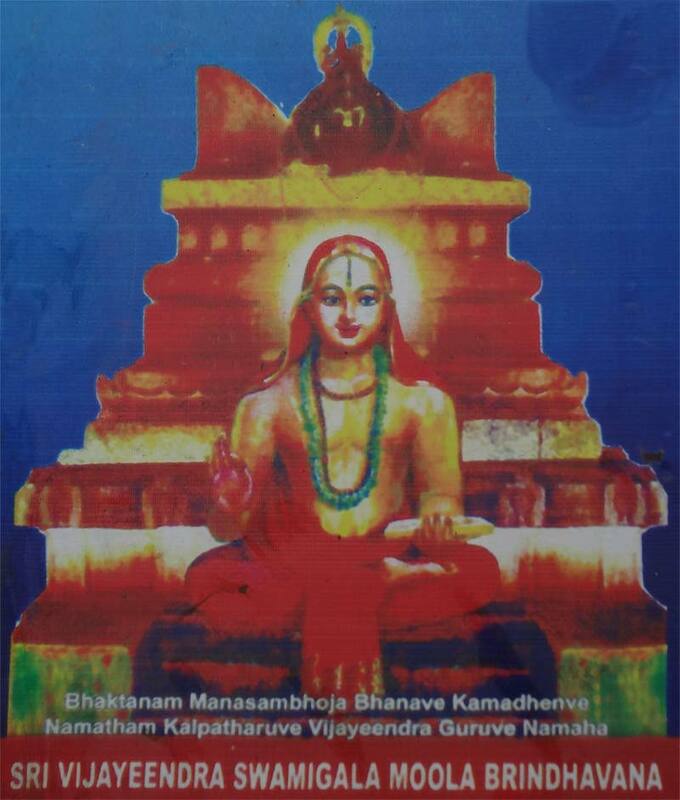 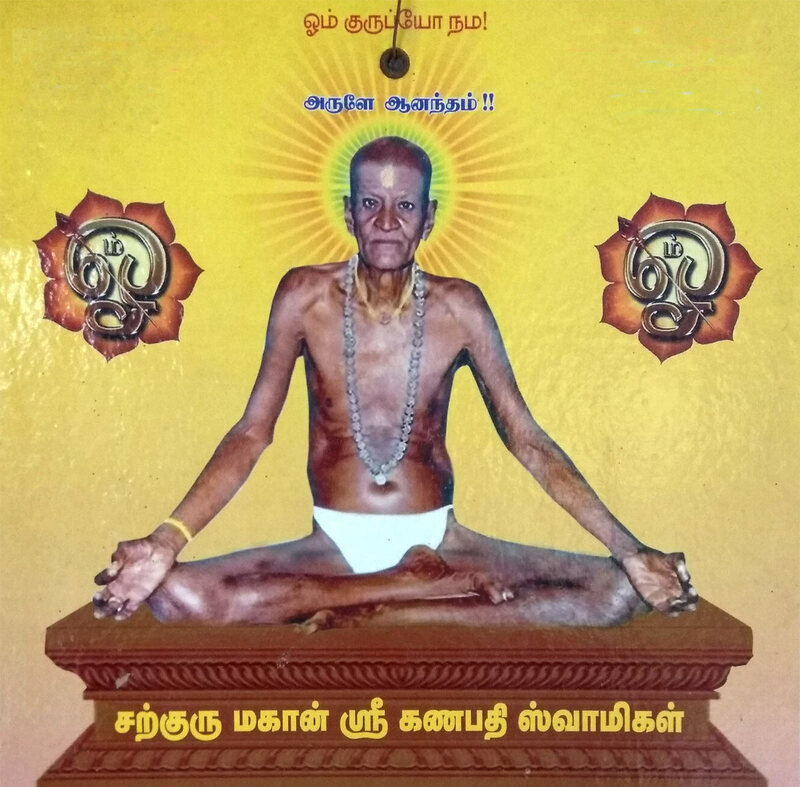 That is one of the reasons why this webpage came into existance so as to make it much easier to connect to the jeeva samadhis and receive their blessings as just reading about it. 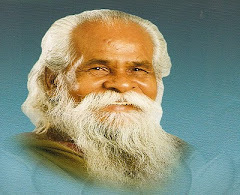 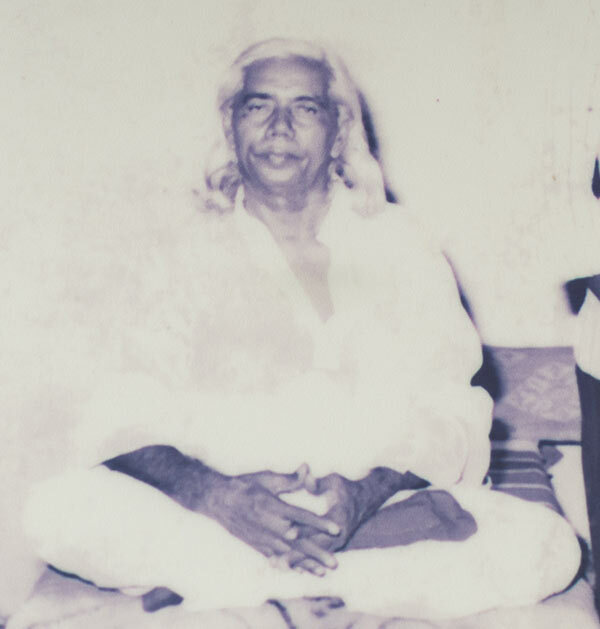 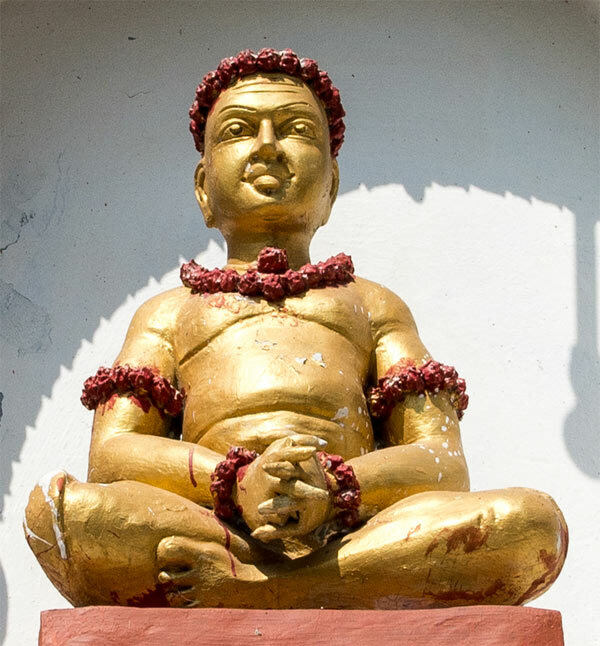 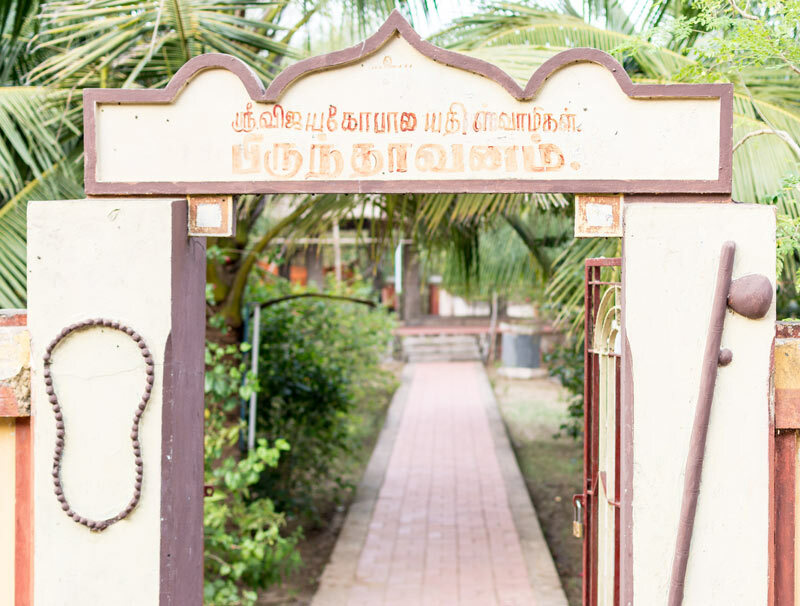 However, the main intent of sharing on Jeeva Samadhi is so that even if you ever come across one, you would not want to miss spending some time there and connecting to the Siddha and their loving and powerful energies. 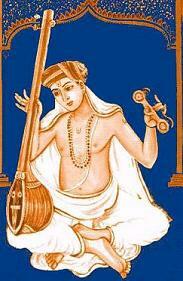 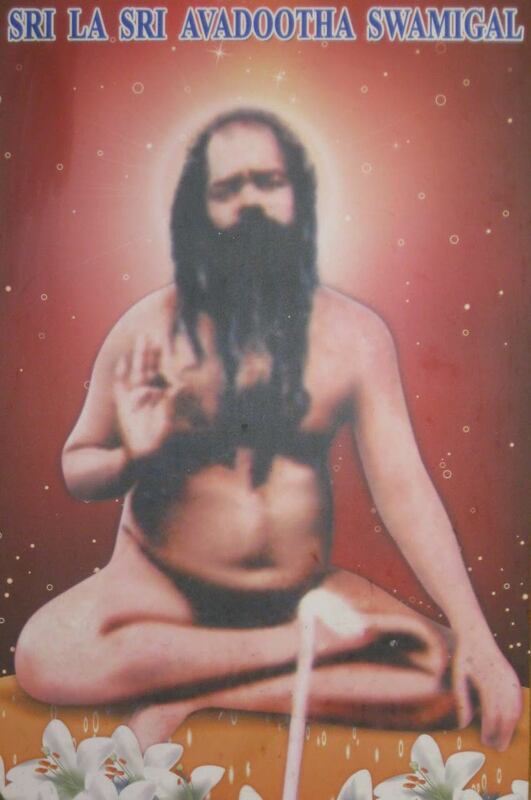 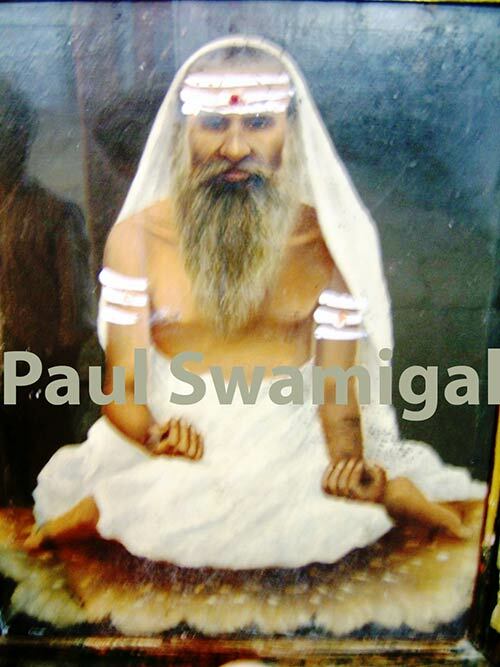 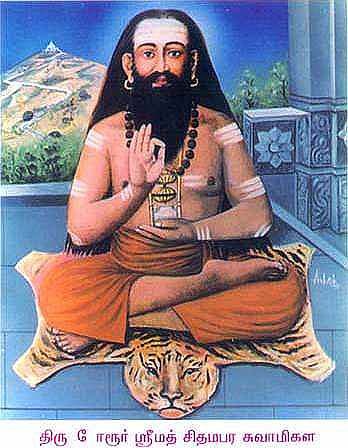 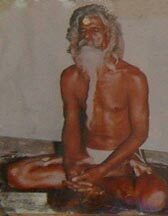 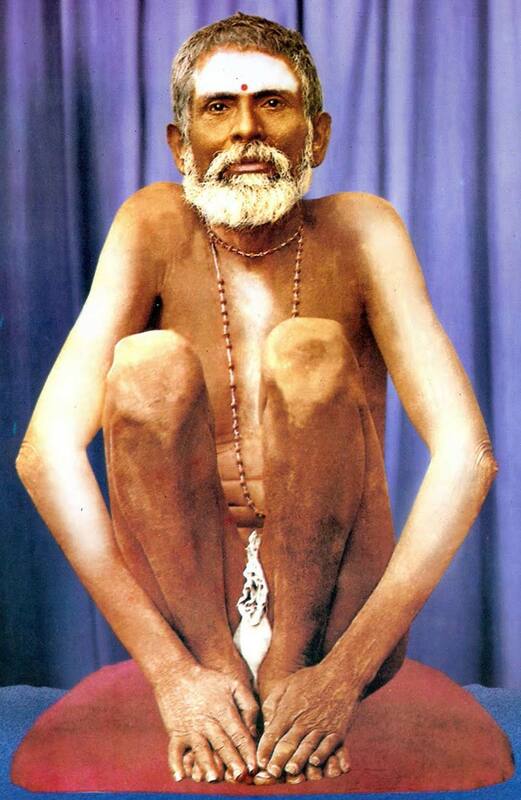 Jeeva Samadhis are energy spots or energy banks supplying infinite amount of kundalini energy at all times. 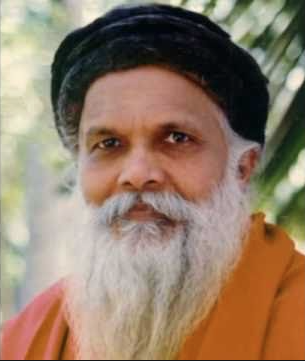 Such is their compassion for all that they are alive only for others who silently work for the well being of the creation. 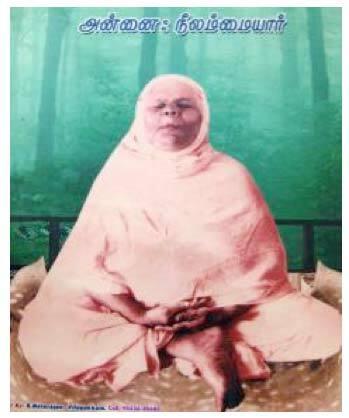 Mahavatar Babaji says that had it not been for these Holy Siddhas who are spread all around the world in the form of Shree Chakra, the world would have moved by now rapidly towards doom. 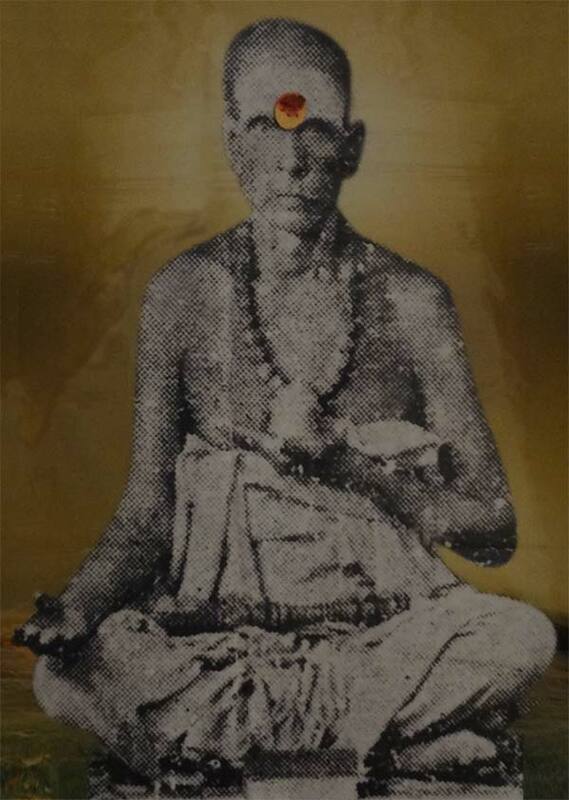 It is only due to their constant and silent efforts in the background that things are kept in balance. 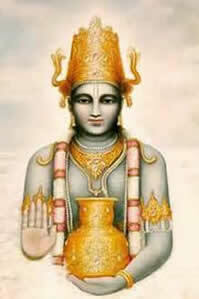 They have also averted many such dooms in the past created by human ignorance. 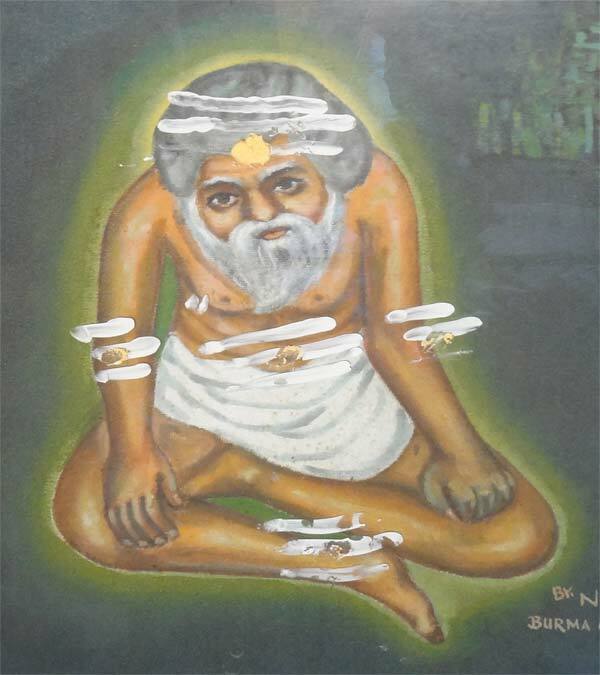 Jeeva Samadhi is one such way by them to create energy pockets at different locations. 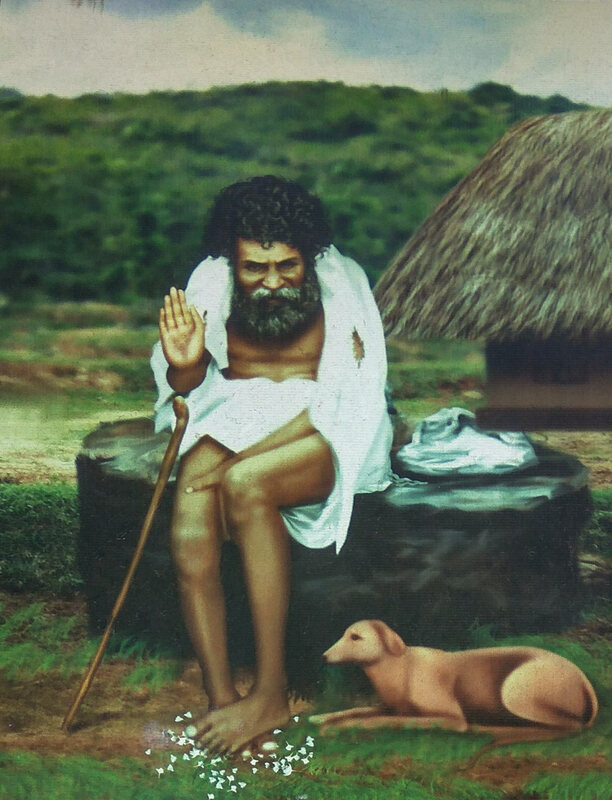 In all my travels i was amazed to see Siddhas and Jeeva Samadhis in the most least expected locations, from remote villages to places of filth, crime and mishaps to the most modern cities. 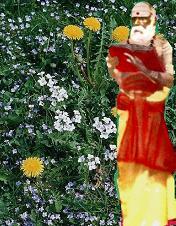 The reason why they choose such locations, only they know. 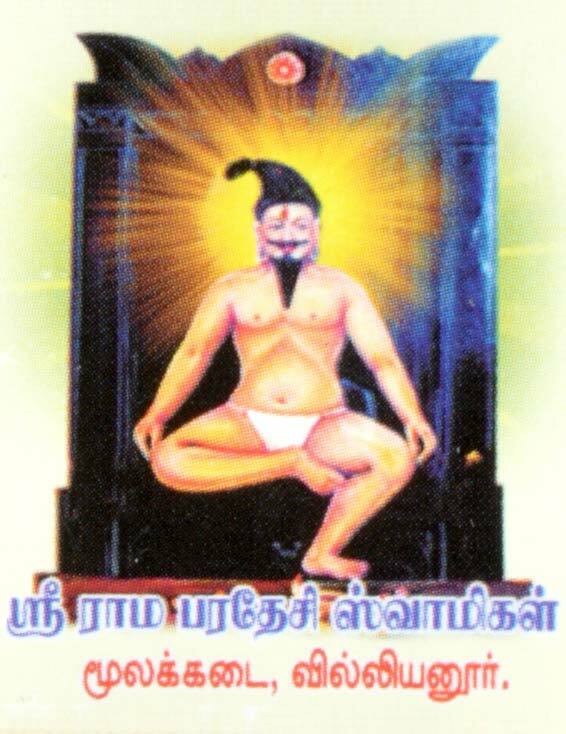 It is clear that Tamilnadu has one very intelligent way of making use of Jeeva Samadhis. 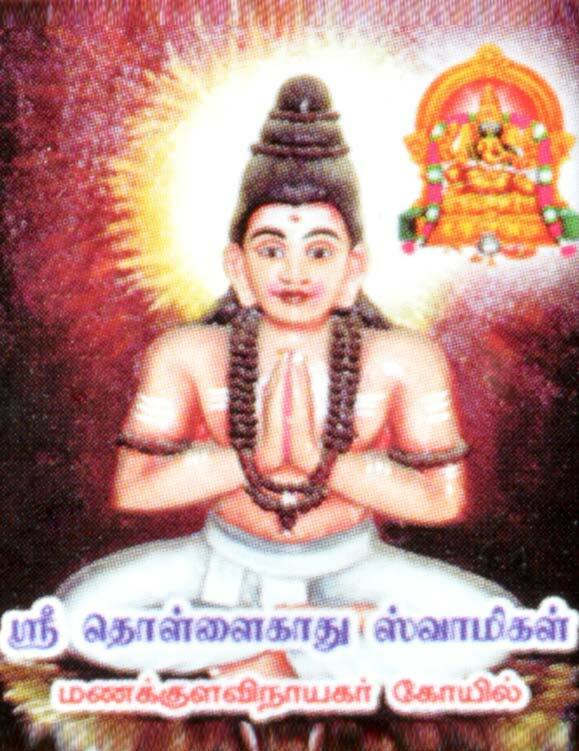 Almost all holy and ancient temples in Tamilnadu HAS to have a Jeeva Samadhi! 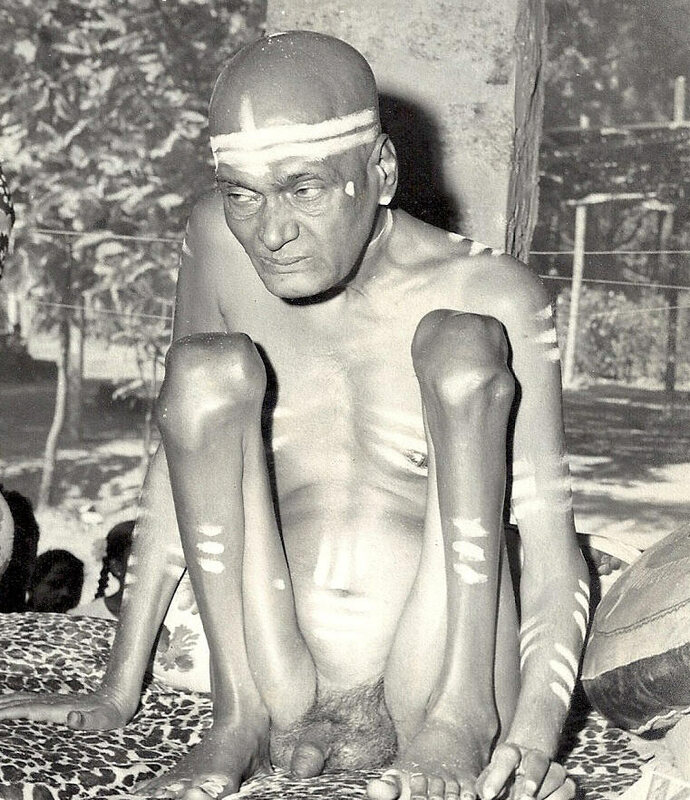 Interesting? 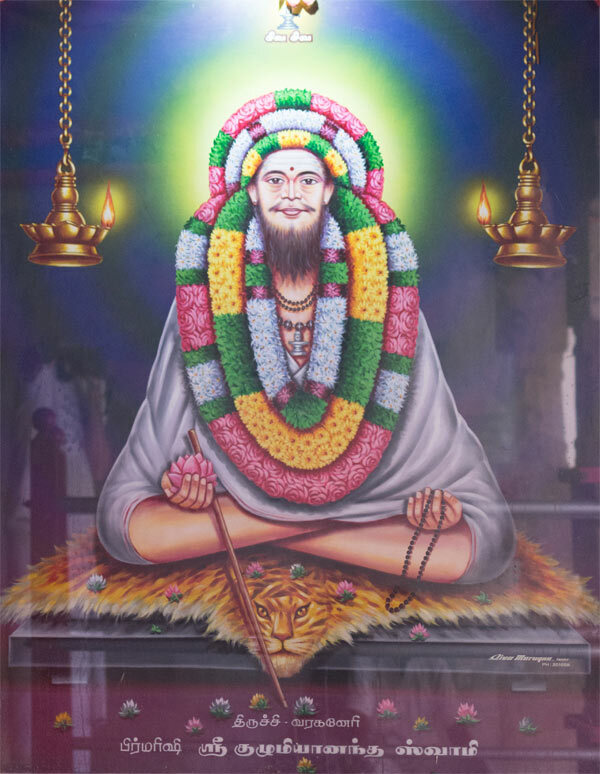 We got so accustomed to this that whenever we saw a very ancient temple we were sure there is a Siddha in there in a Jeeva Samadhi! 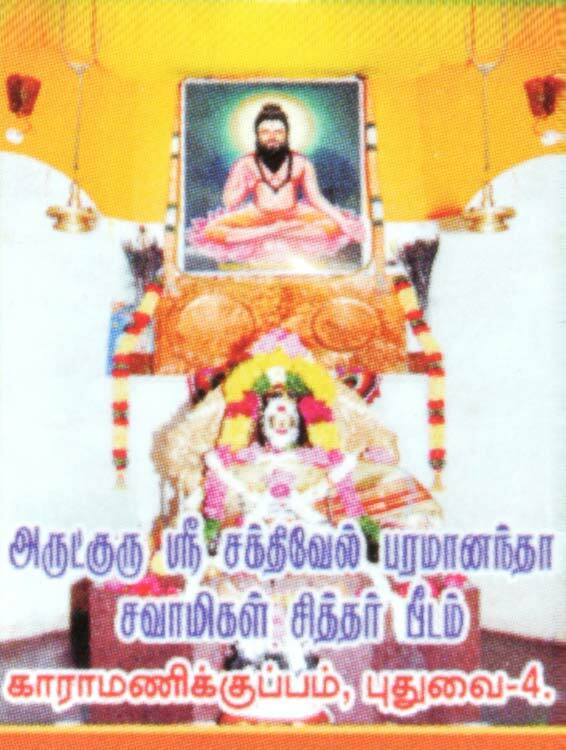 Now the intelligent way people of Tamilnadu have worked it out is that they built temples around the Jeeva Samadhis. 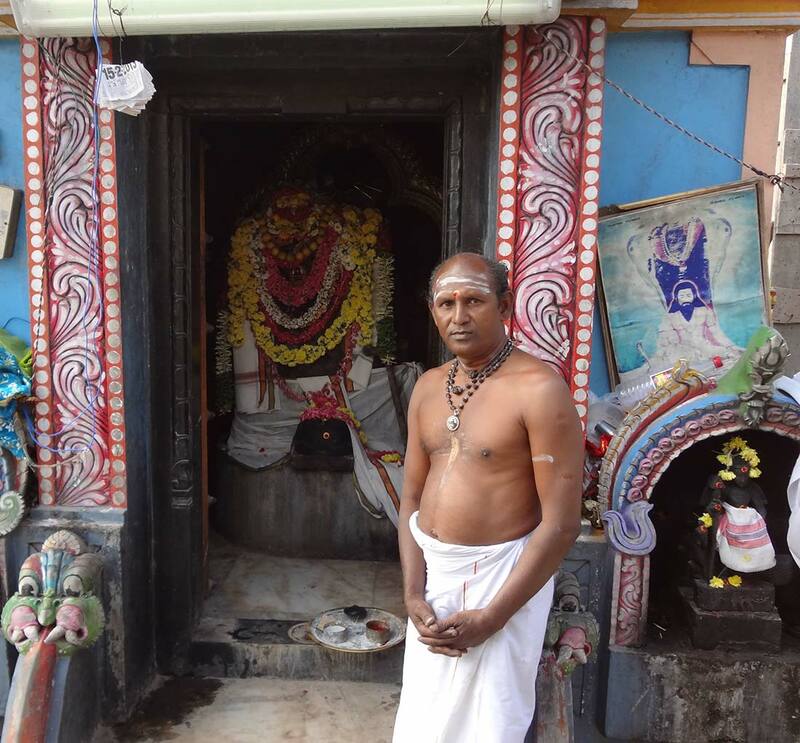 People going to these temples are benefited when they go to pray to the deity there and many report feeling relief, peace, spiritual upliftment and their prayers being answered. 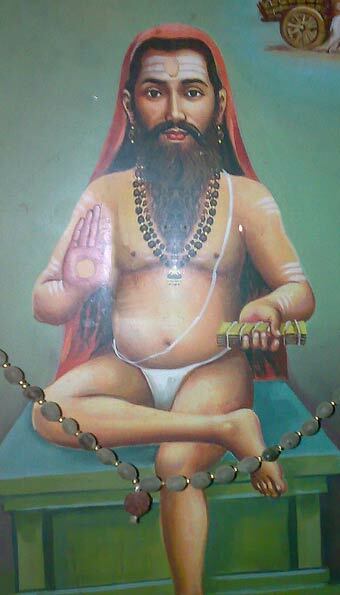 The main powerhouse of energy here are the Jeeva Samadhis. 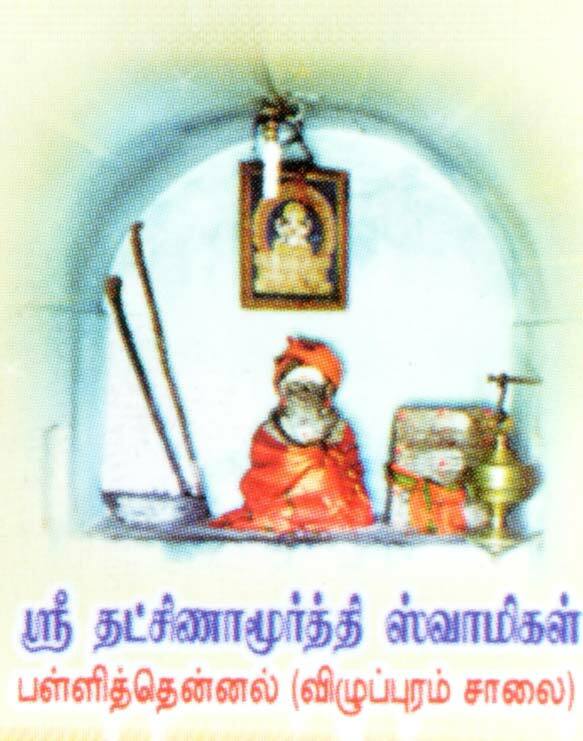 Normally, it is thought that Siddhas took Jeeva Samadhi in temples, but in fact it is the other way round - temples were built where Siddhas took Jeeva Samadhi :) Ancient temples you can find in every nook and corner of Tamilnadu including Chennai City. 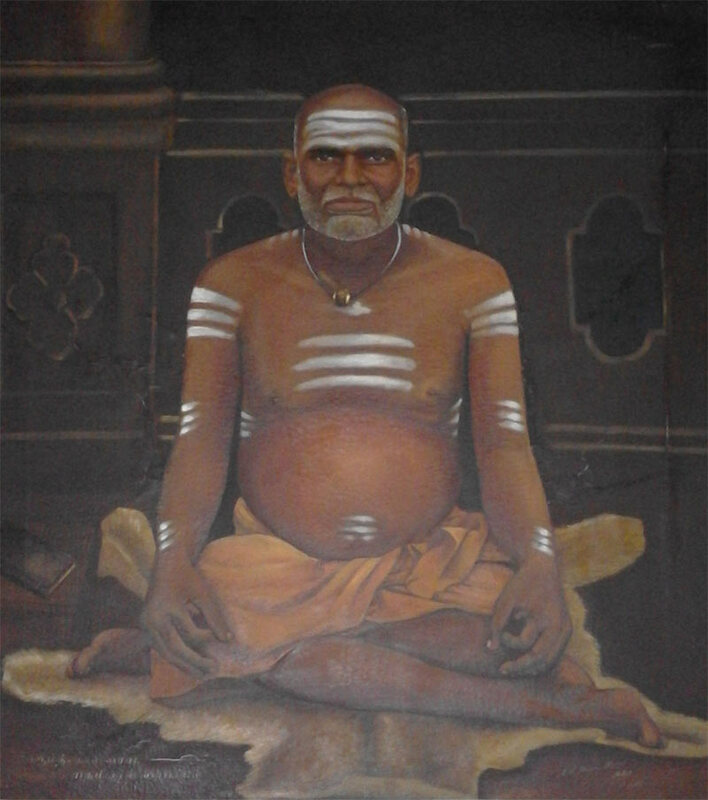 There are close to about 300 Jeeva Samadhis in Tamilnadu itself. 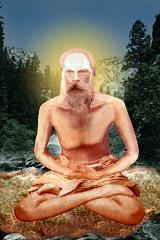 Unfortunately many samadhis have poor maintenance or no maintenance at all. 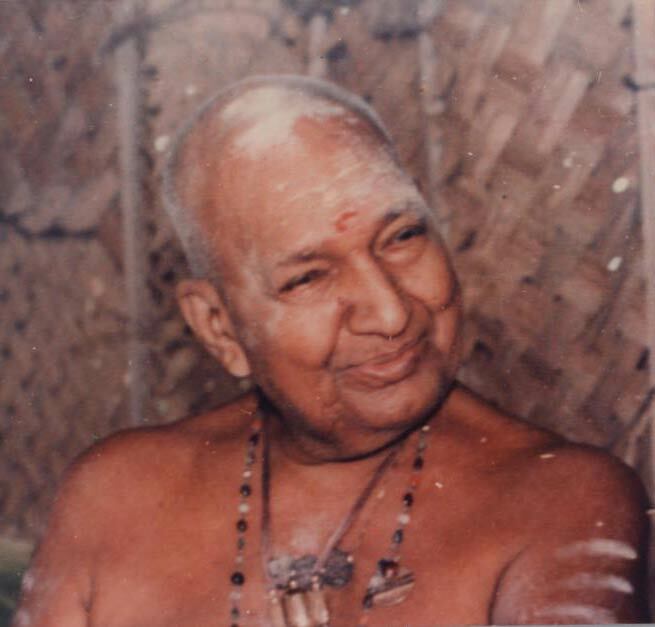 Most of the time many do not know what it is. 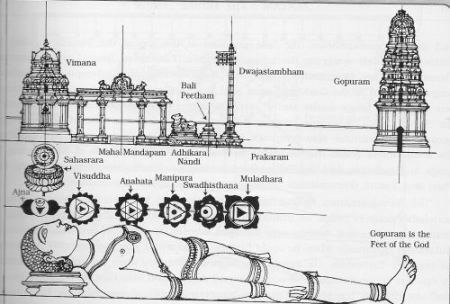 Sometimes they are just worshiped as temples. 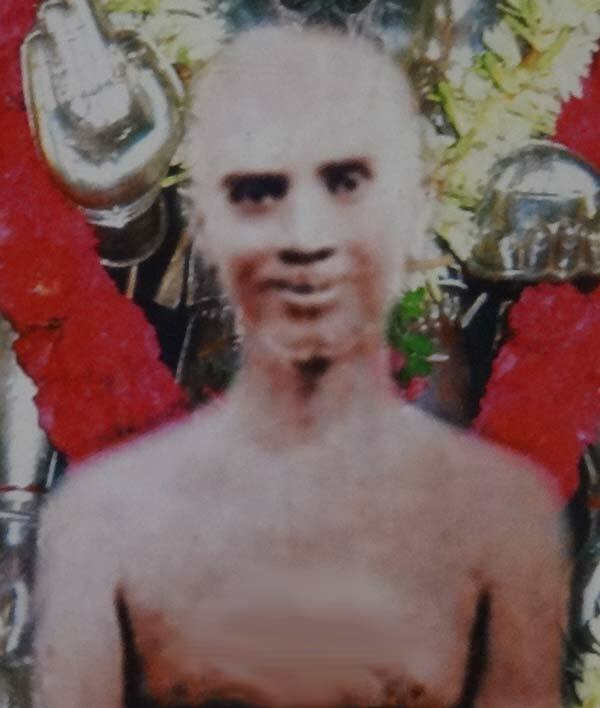 I have seen Jeeva Samadhis in very bad physical condition. 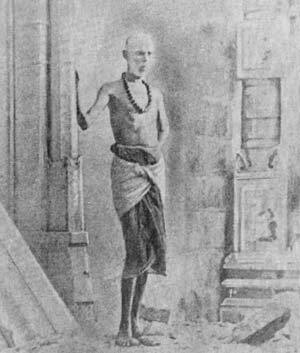 At one place the whole temple was destroyed and the owner of the land died, only the jeeva samadhi survived as it was placed underground. 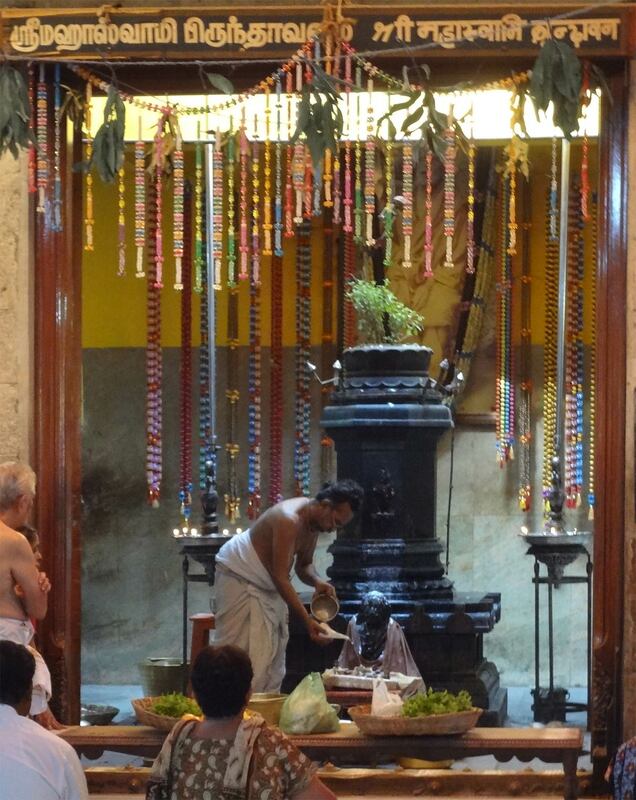 However, even though there was no temple or structure, the energy was very powerful! 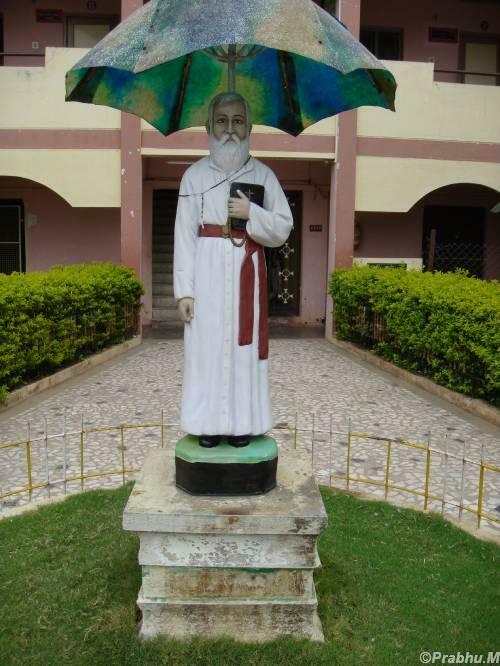 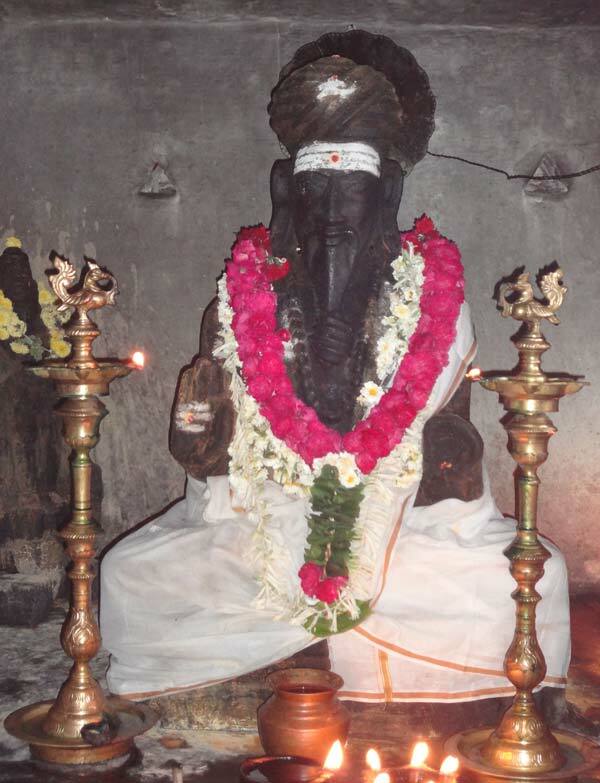 In some places the caretakers were not even aware that it is a Jeeva Samadhi such as St Lourdes Xavier near Thirukattupalli. 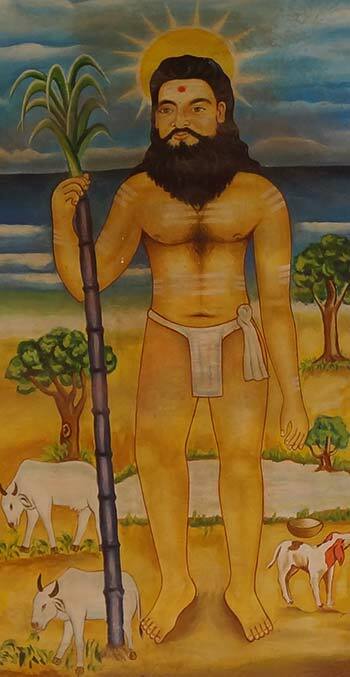 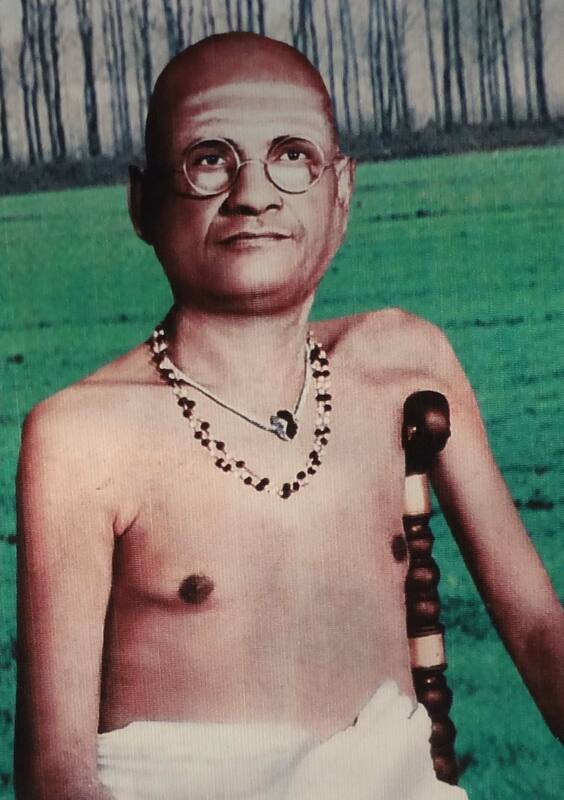 Some samadhis have 'rules' where one is not allowed in at certain timings or unless men take off their shirts. 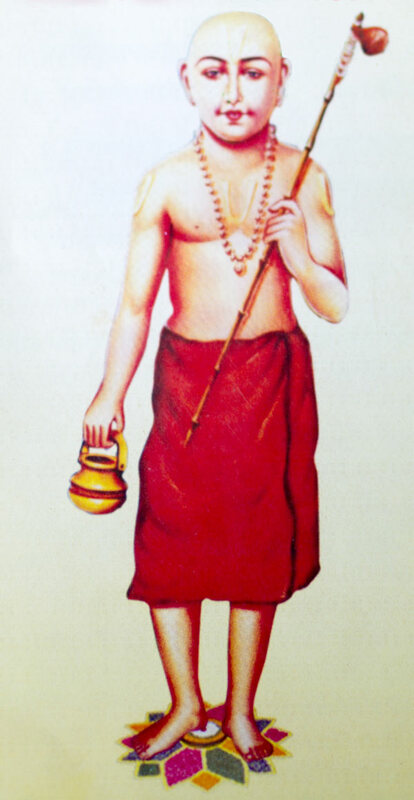 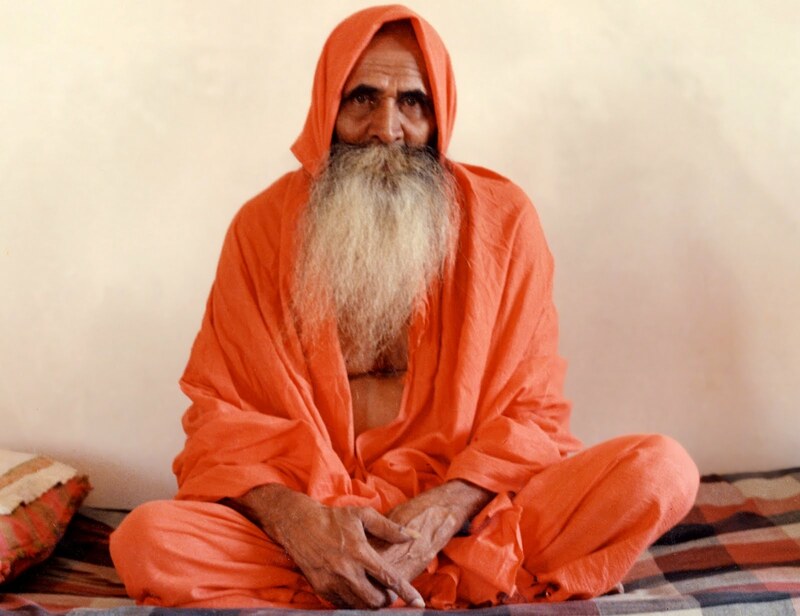 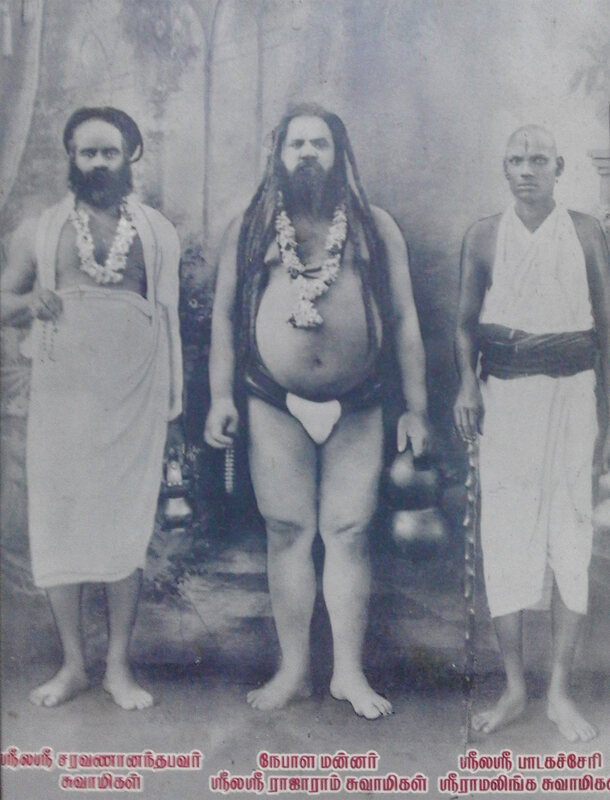 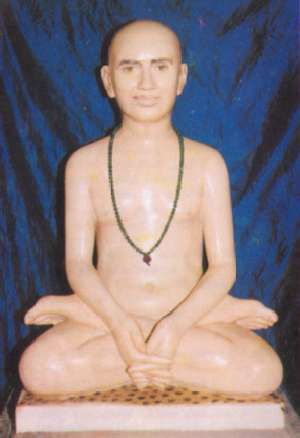 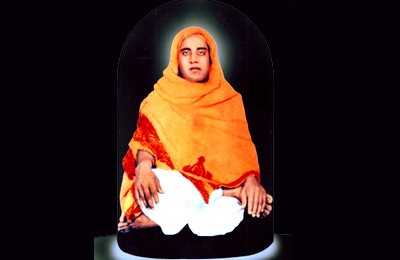 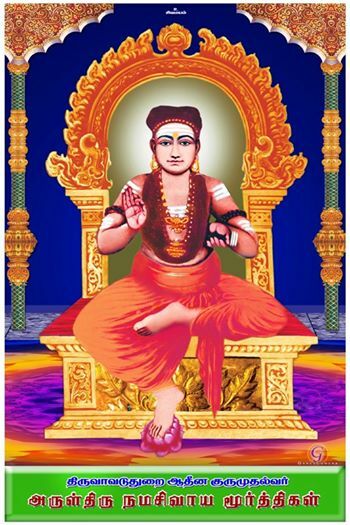 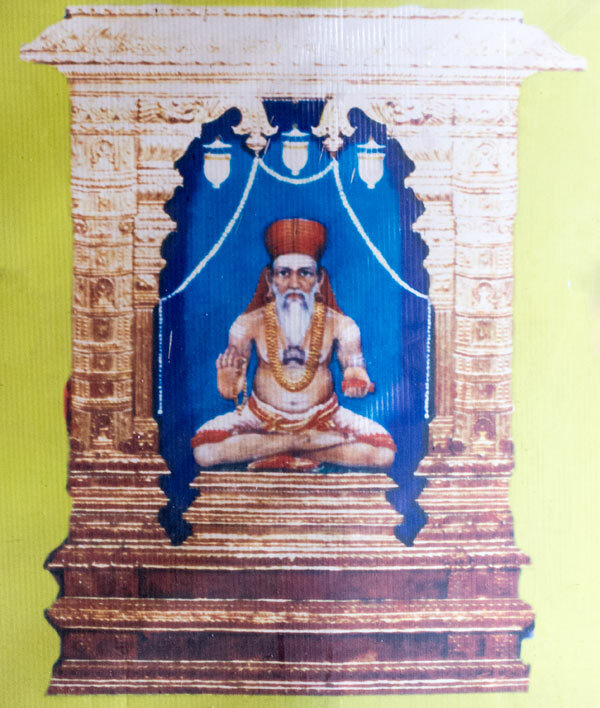 Most of the samadhis/temples do not allow short pants, T-shirts, Caps or anything that does not on Indian tradition. 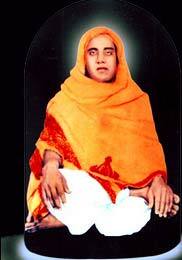 These have to be adhered to so that the sanctity and respects to their sentiments are maintained. 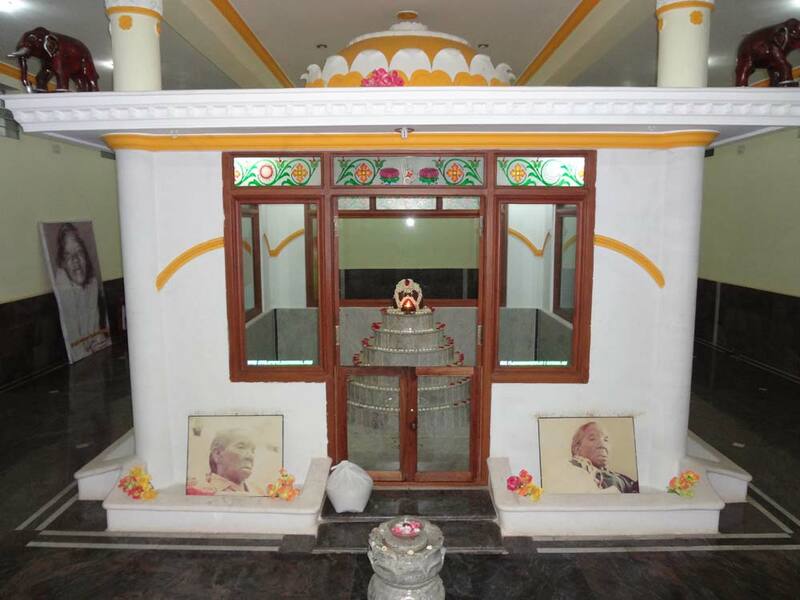 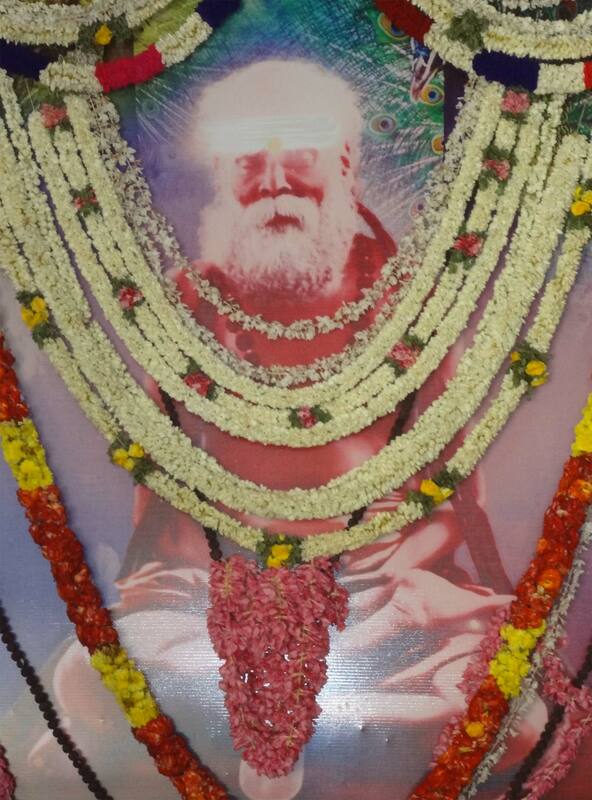 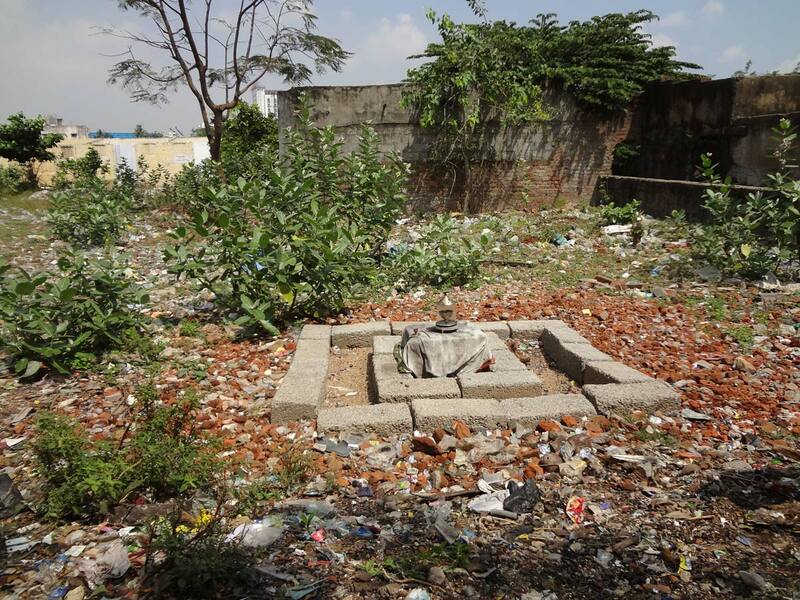 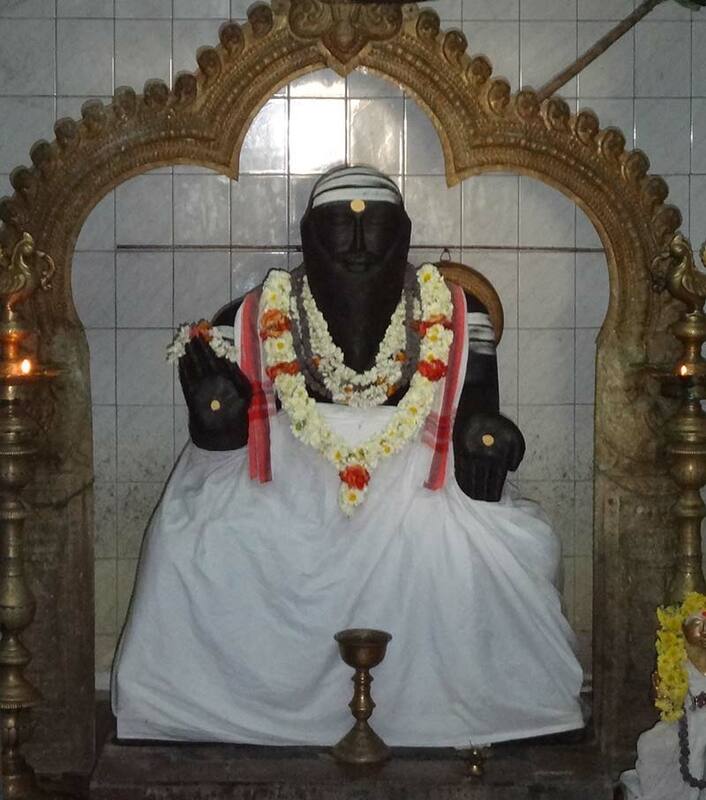 Example of a Jeeva samadhi in Chennai where it is even expected from you to touch the samadhi of the saint itself. 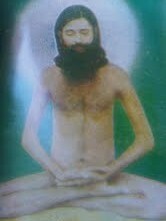 Some samadhis are very prominent and can be known from a distance but some will deceive the eyes. 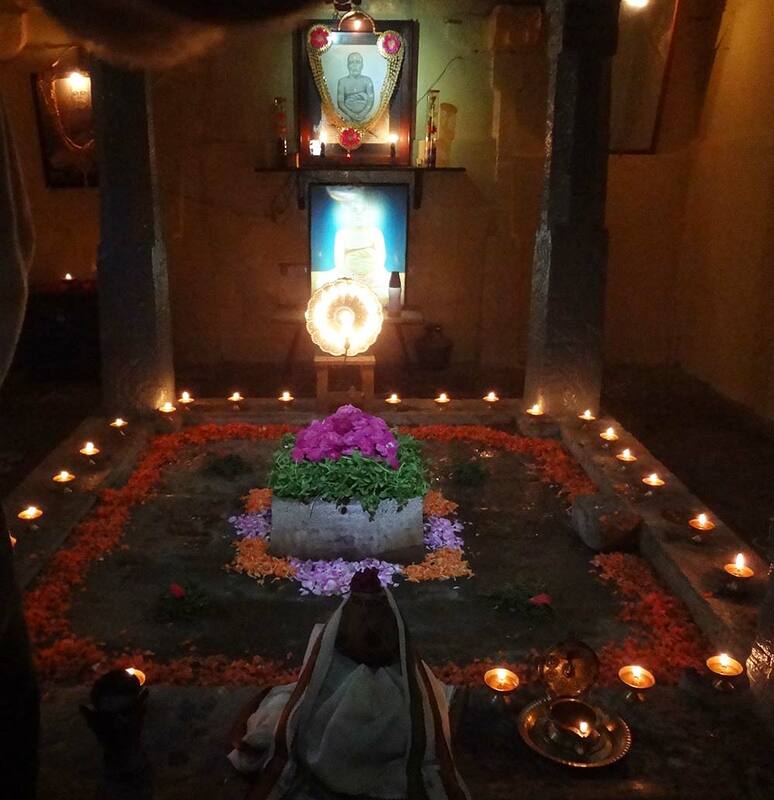 They can be huge tomb built on it or it might be just one small Shivalinga on the ground and nothing else around. 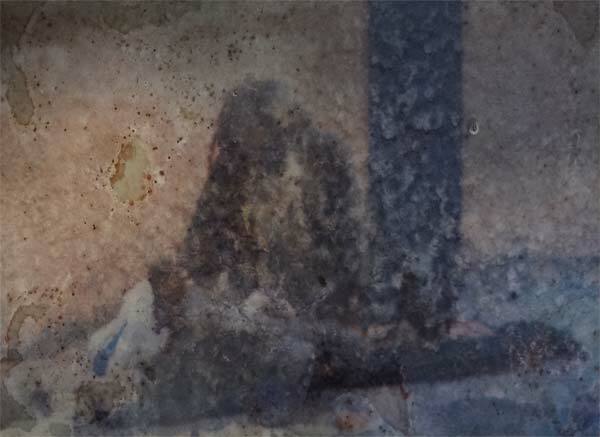 Some may even be just a small stone. 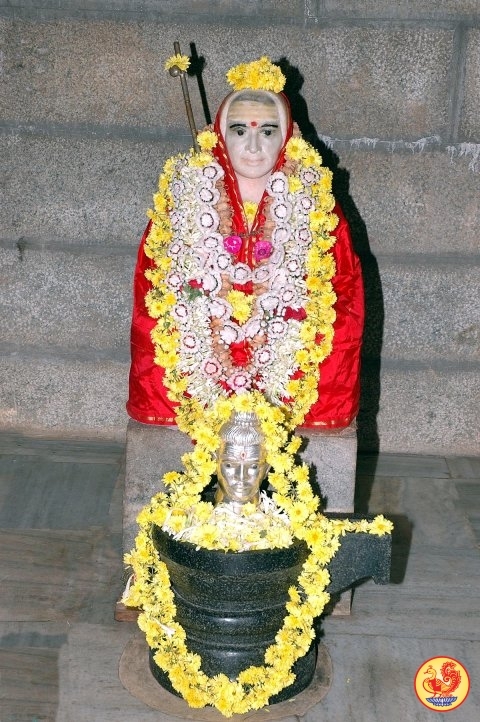 Sarbasiddhar-Adi-Jivapidam-Govindaraj-Nakar-Mangadu Jeeva samadhi temple, an example of just a stone, but then a big one. 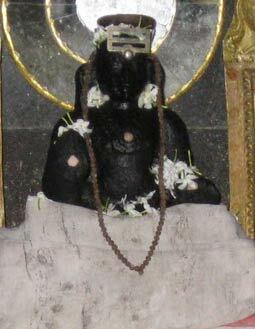 The Jeeva samadhi is under the stone. 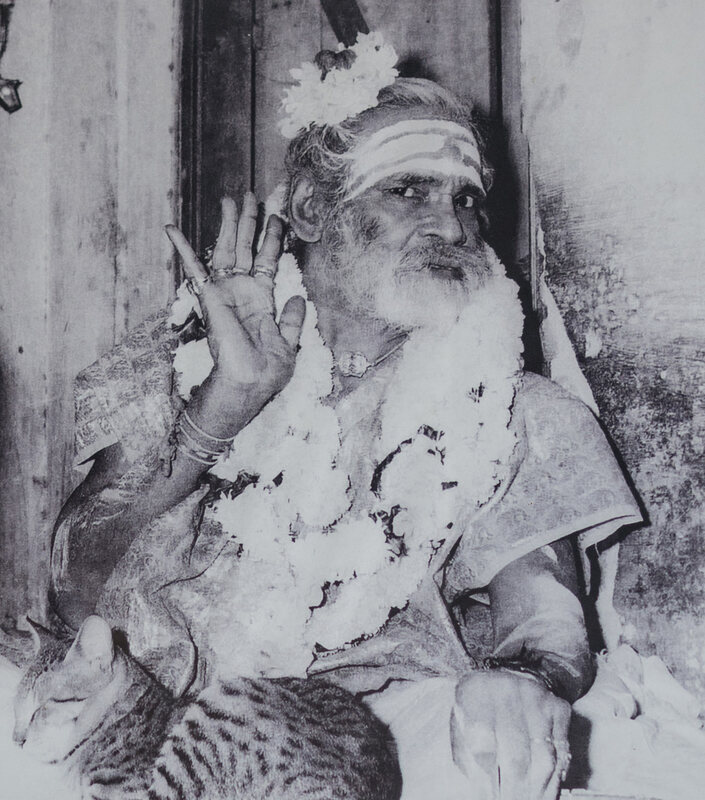 The story goes that on one day the caretaker came to the temple and opened up its door to find that the big stone had turned 180 degrees by itself. 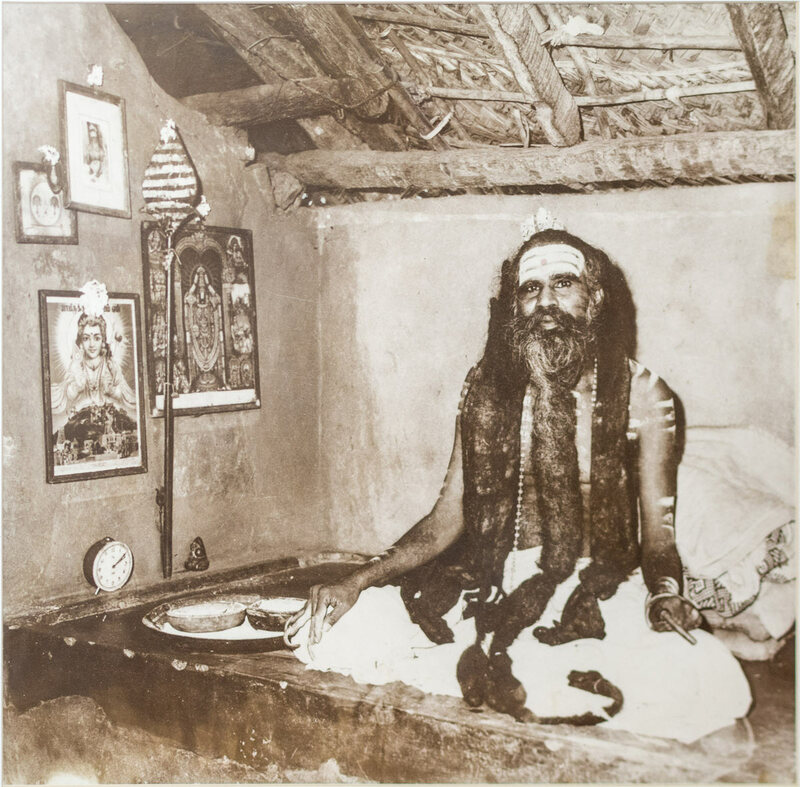 Some jeeva samadhi's are build near to or on top of the saints meditation spot such as a cave or meditation room and these places still have their personal items there such as their bed and clothe as they too emit some of the energy from the saint. 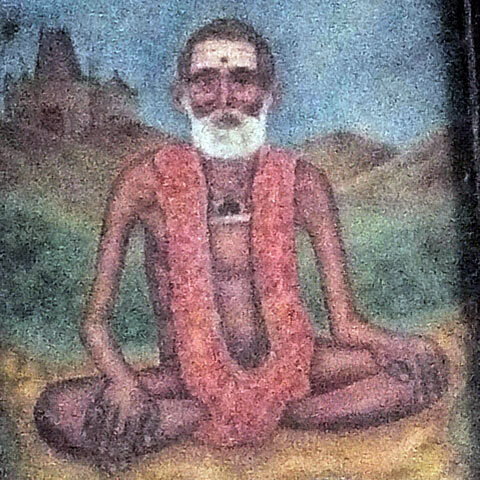 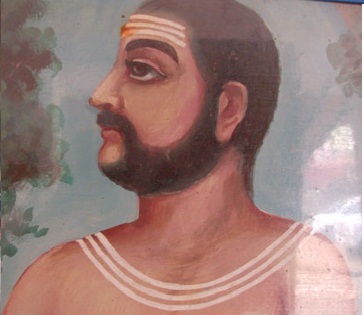 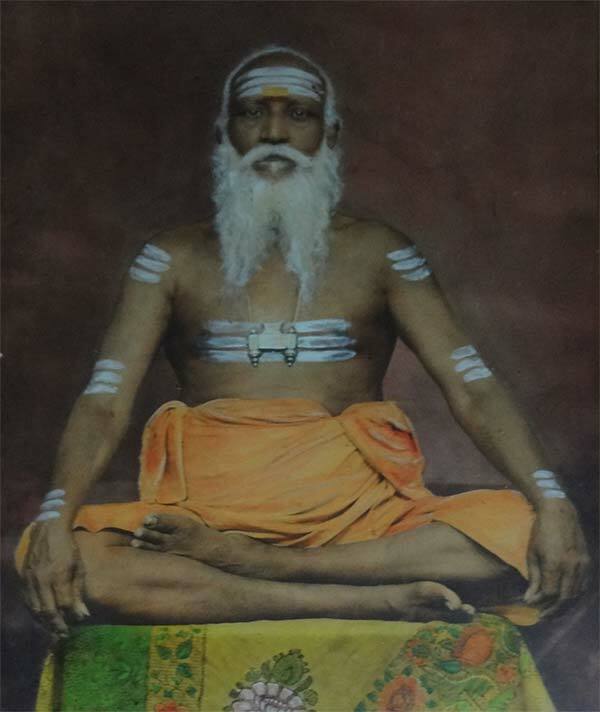 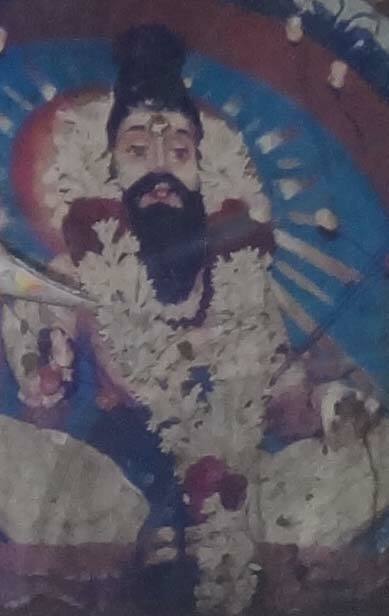 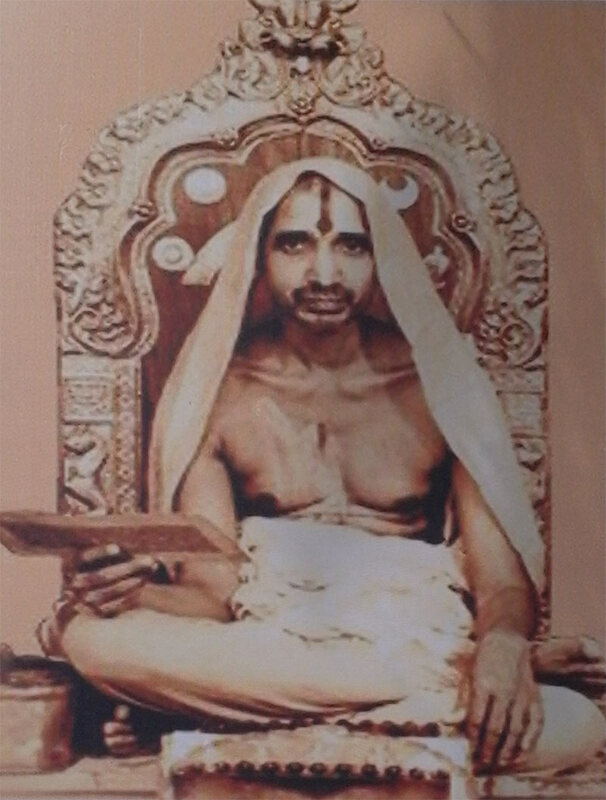 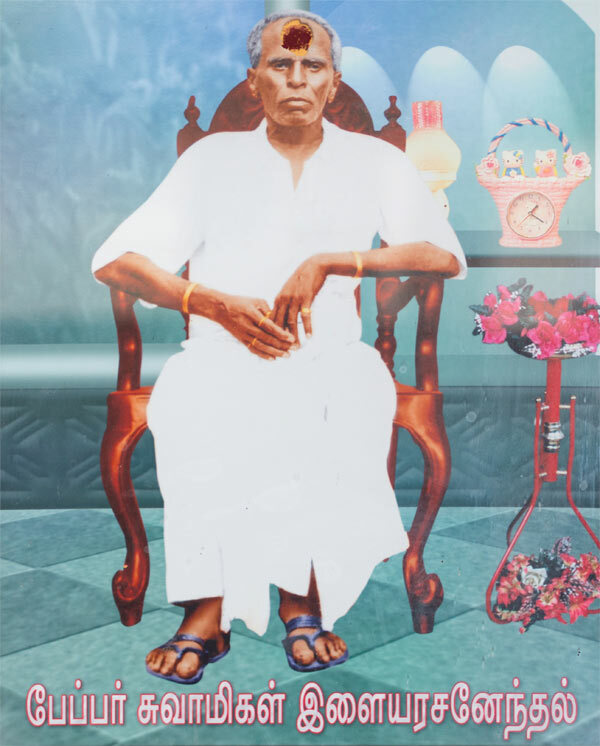 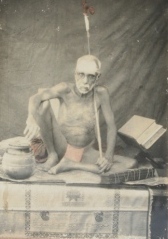 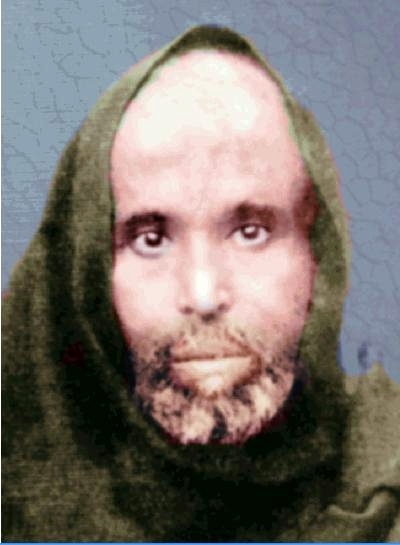 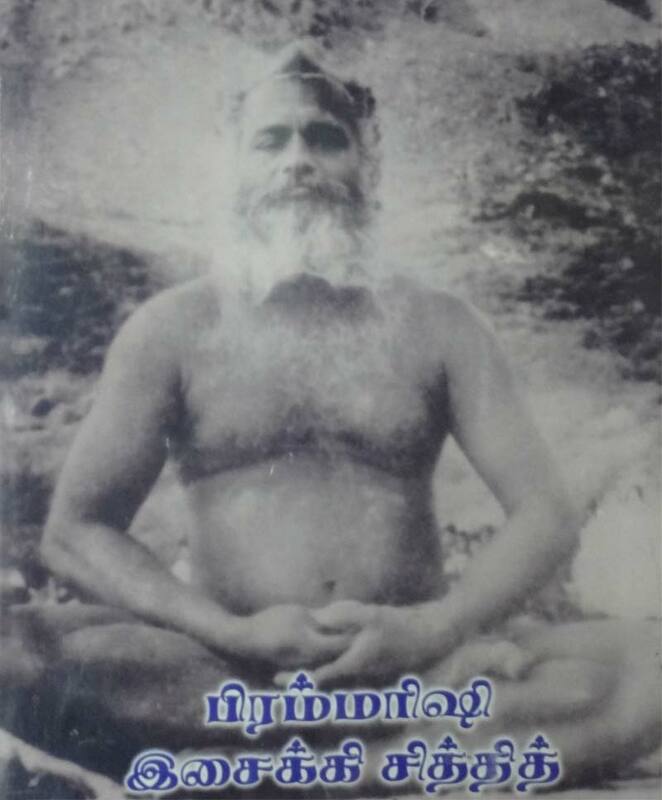 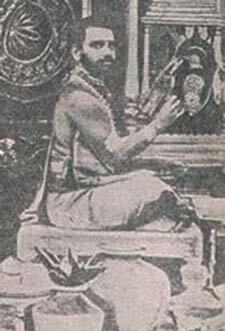 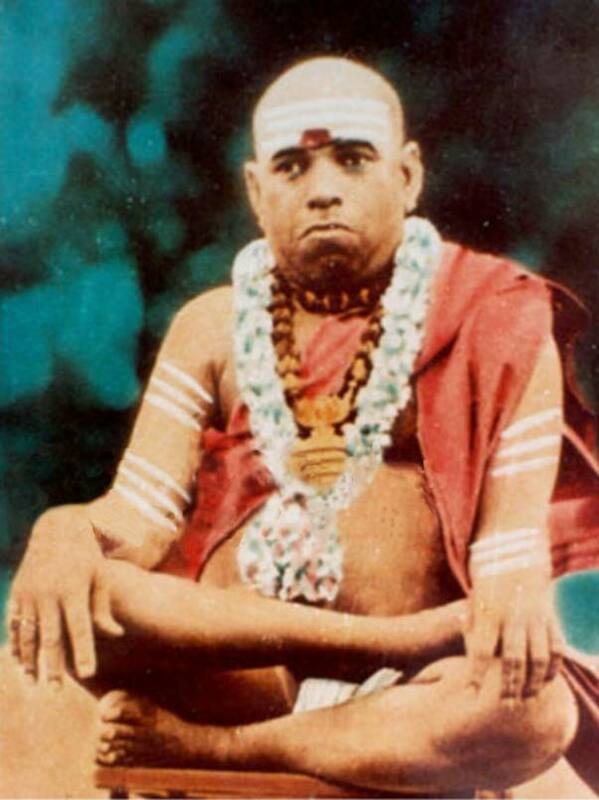 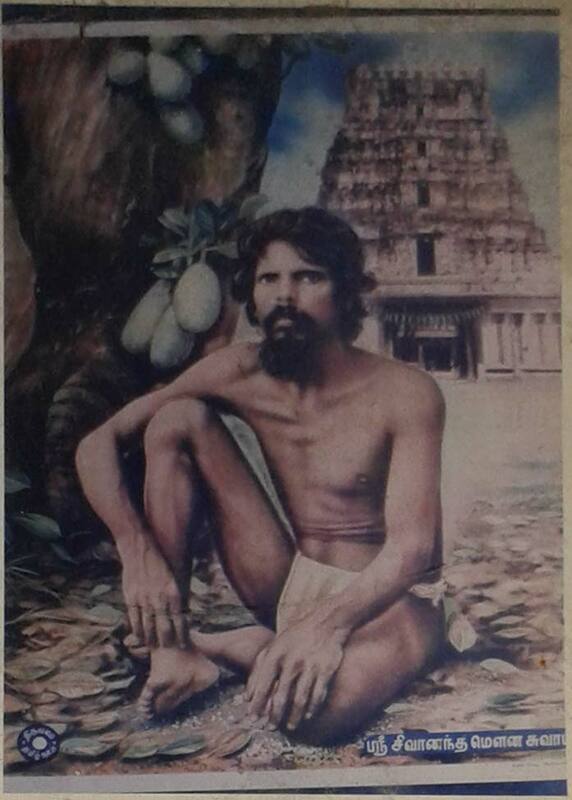 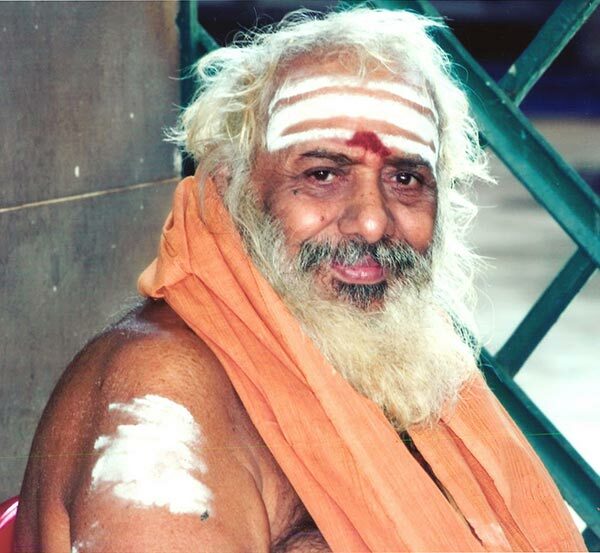 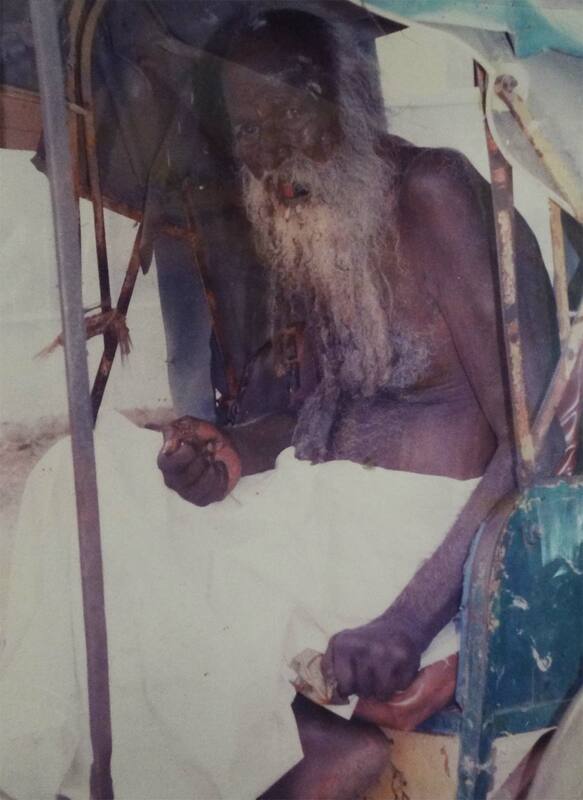 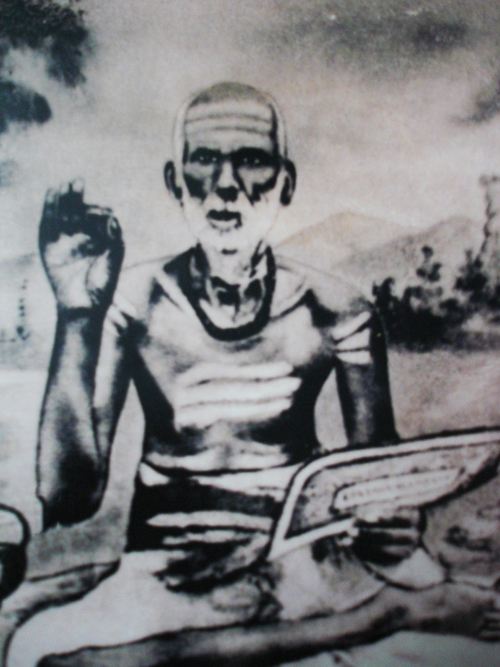 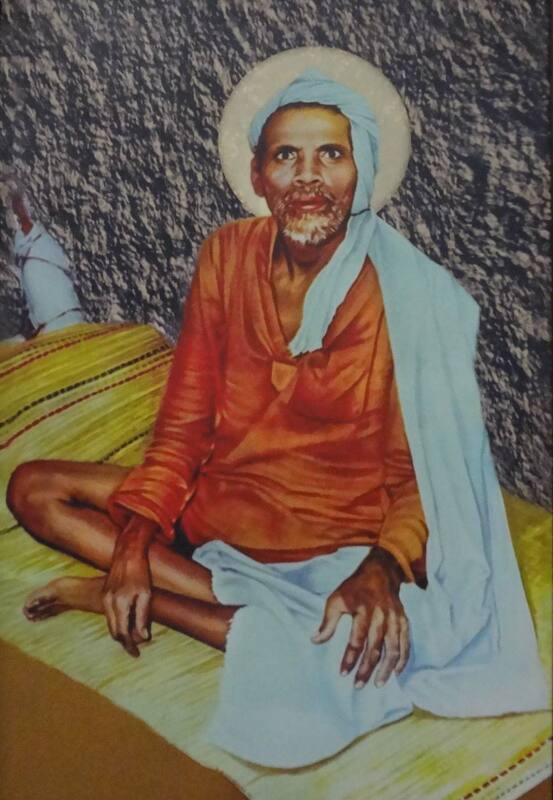 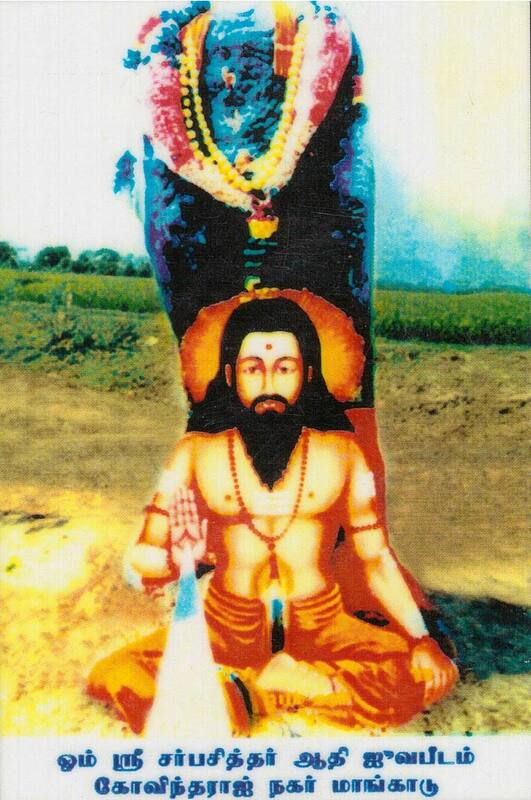 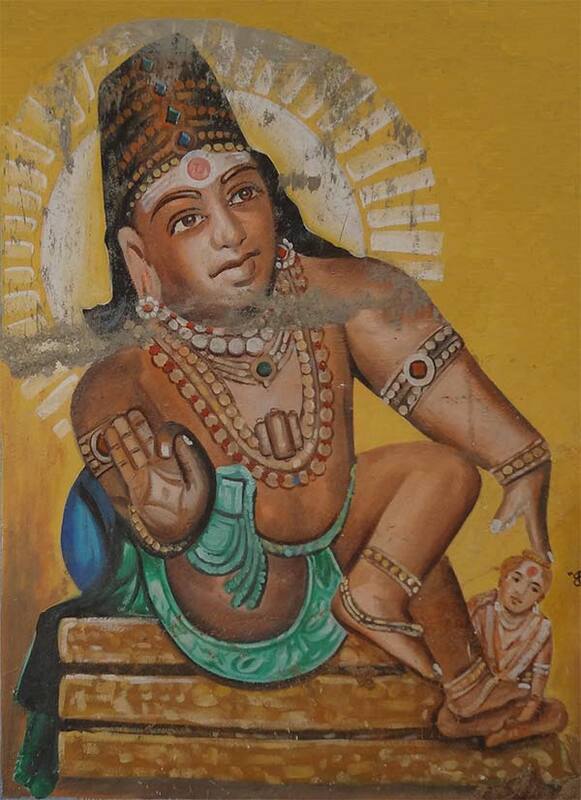 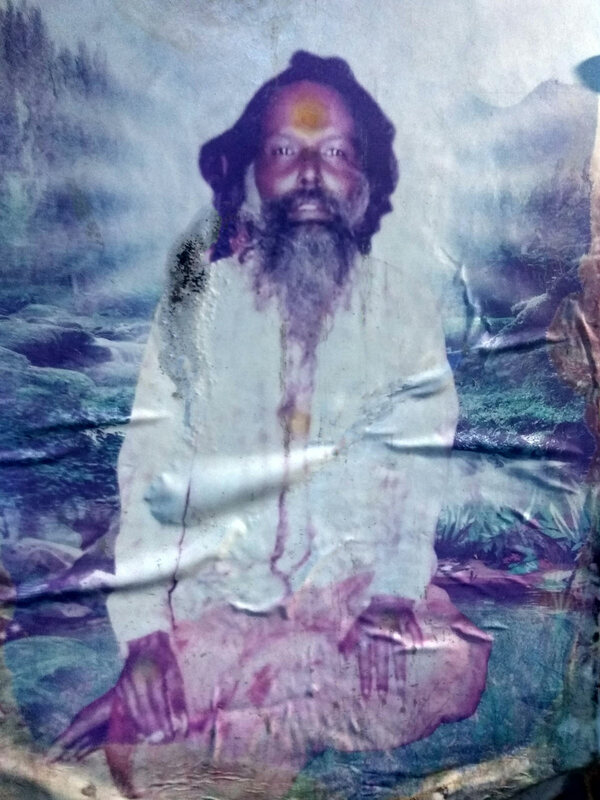 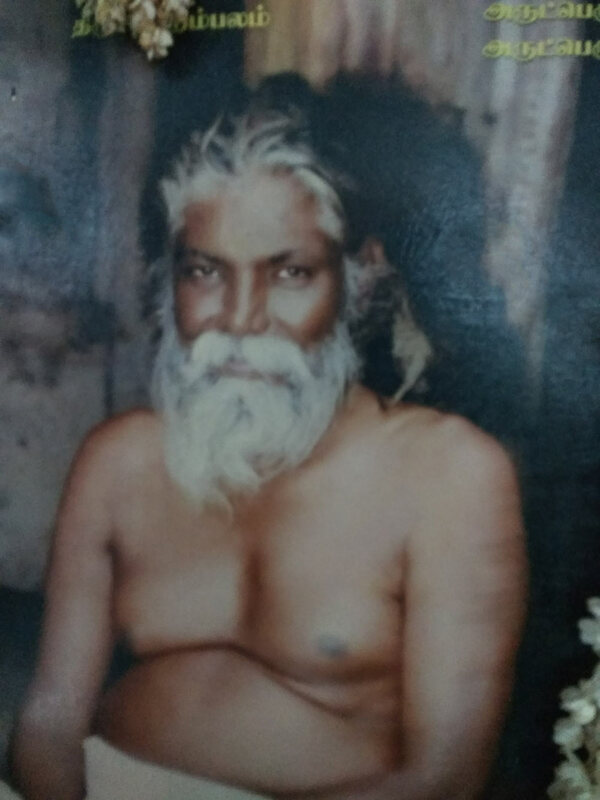 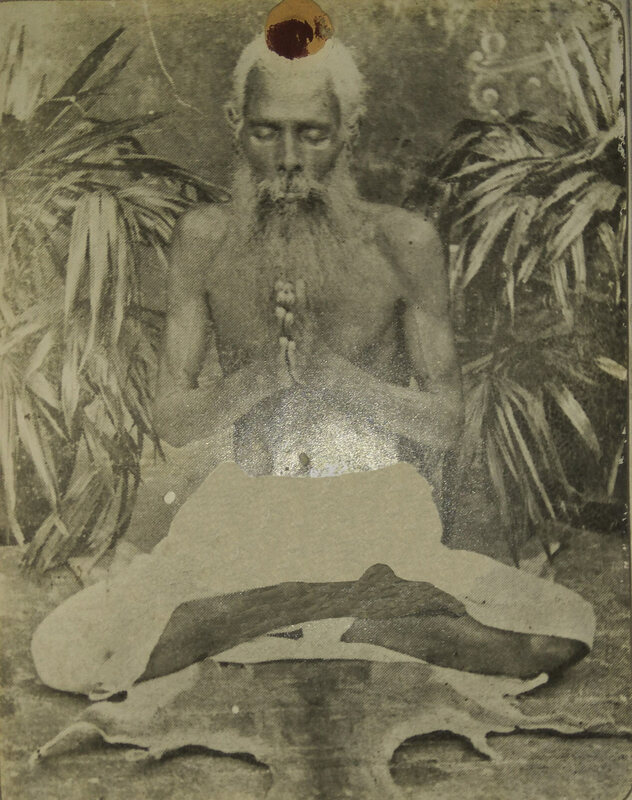 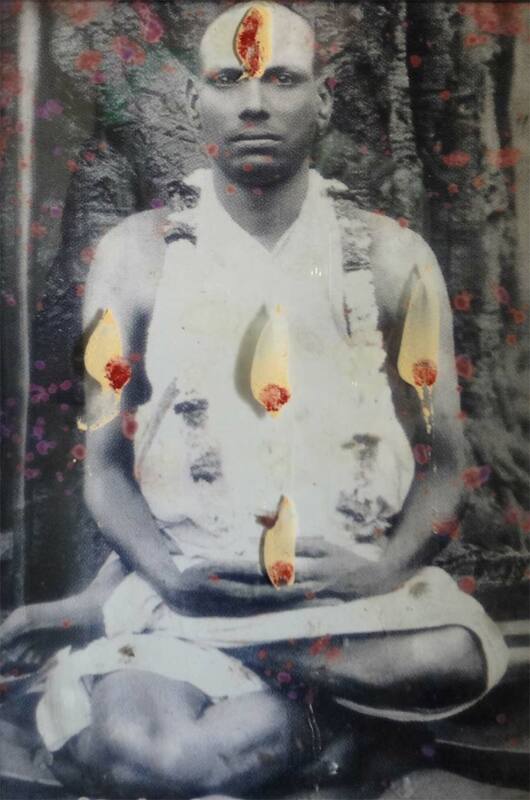 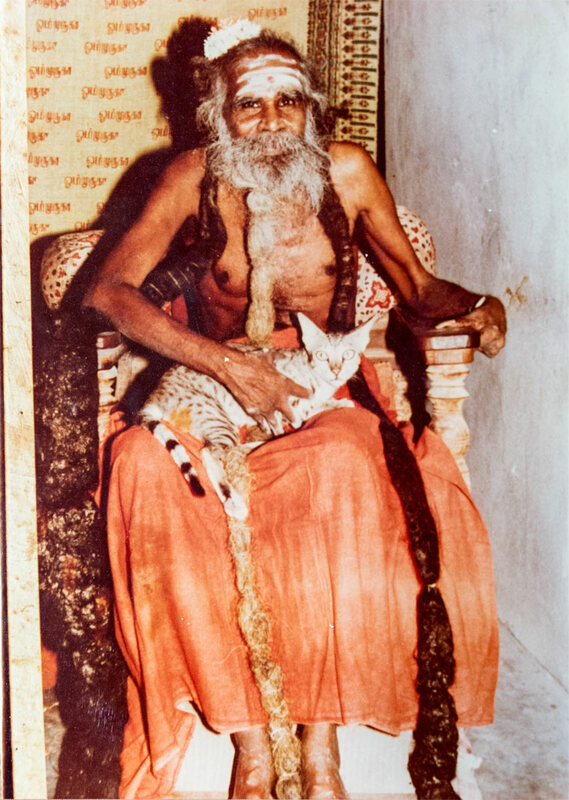 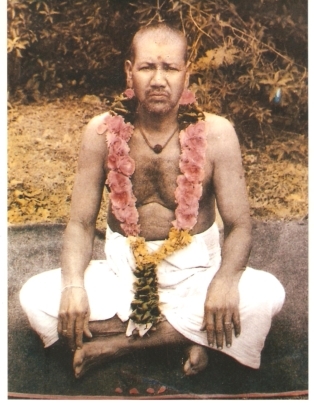 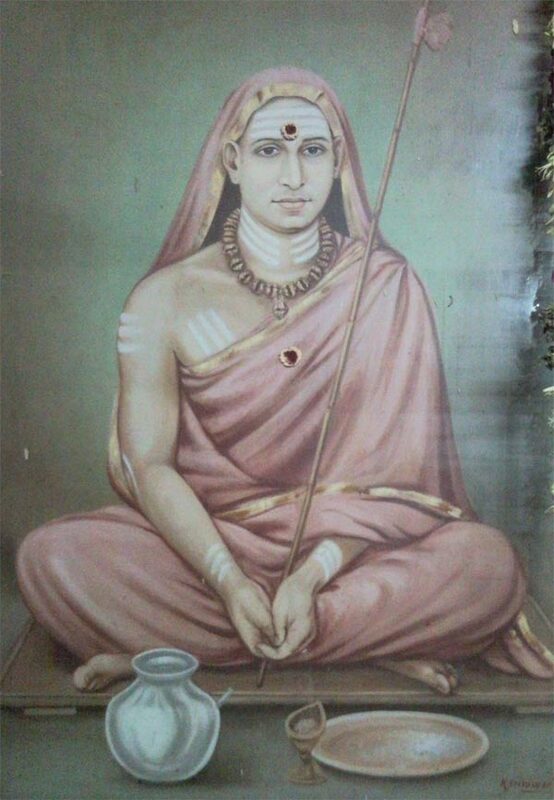 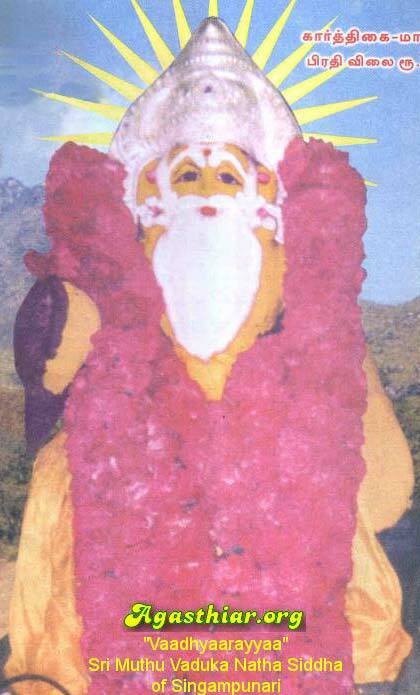 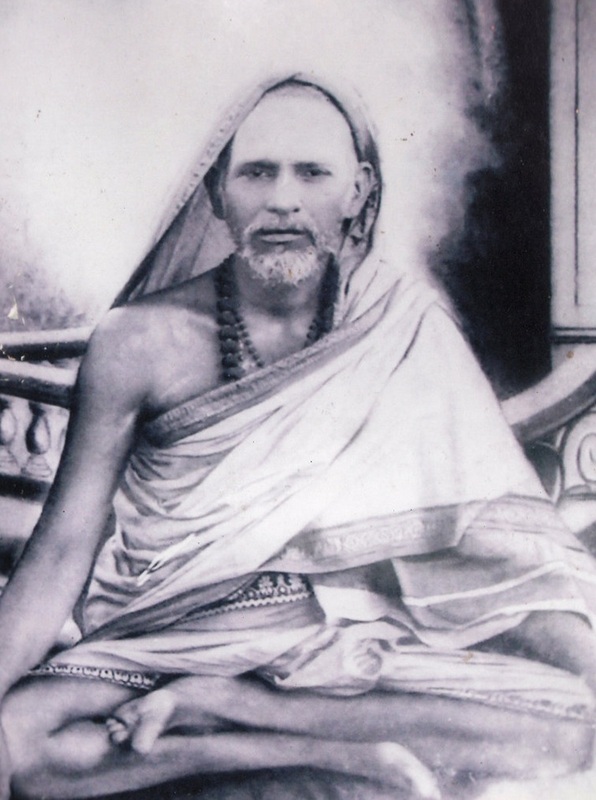 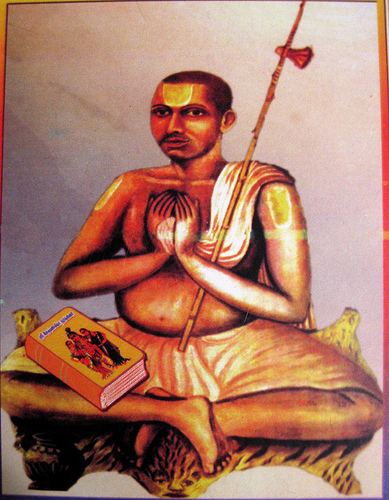 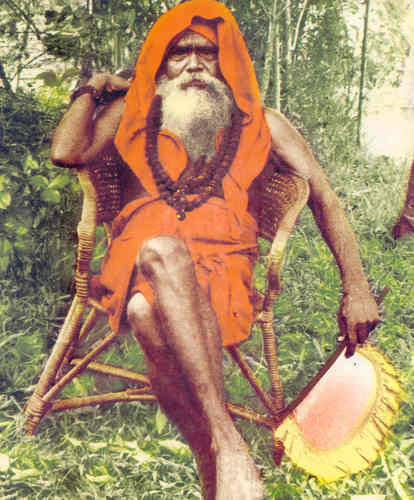 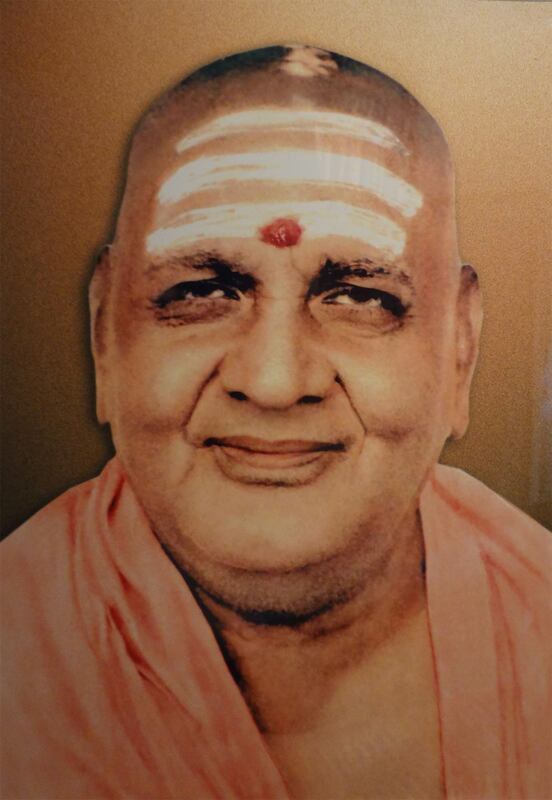 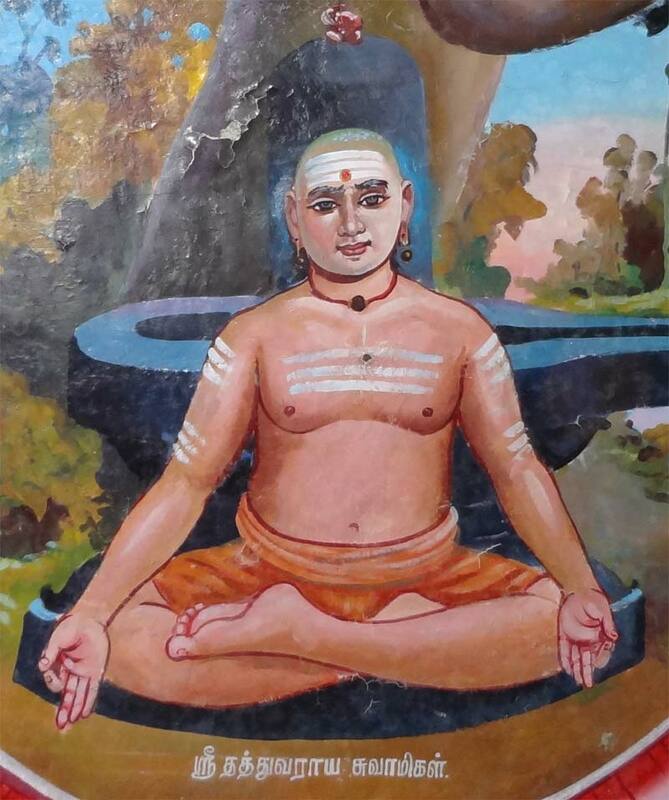 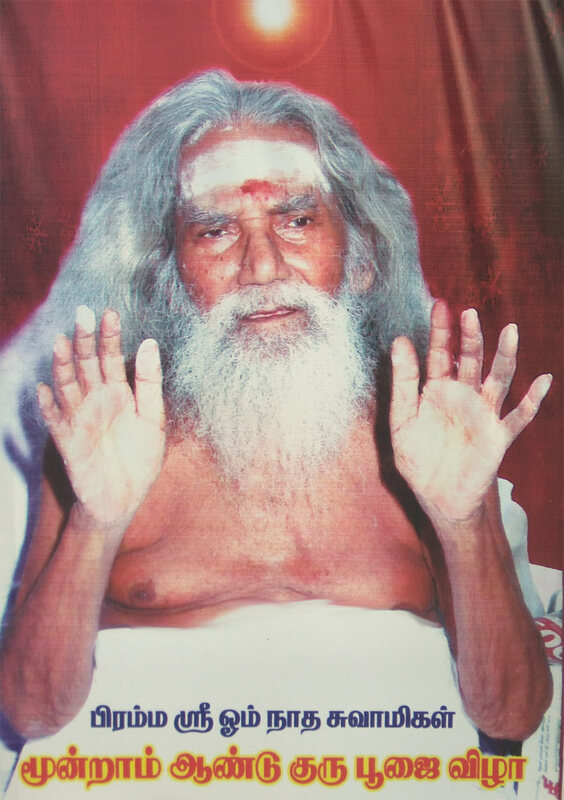 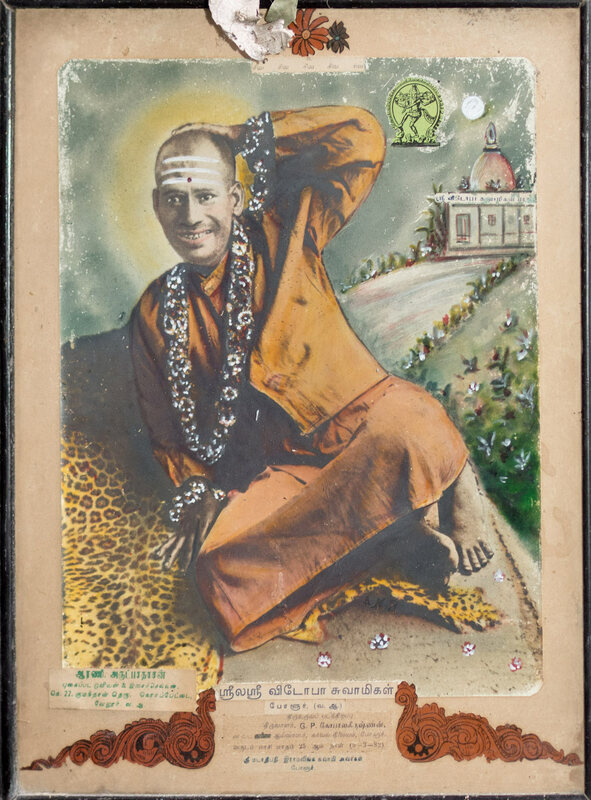 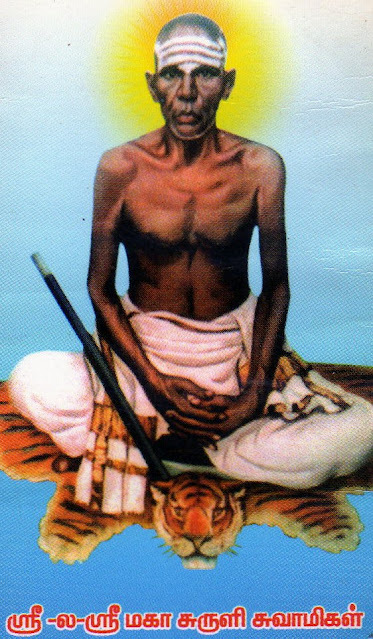 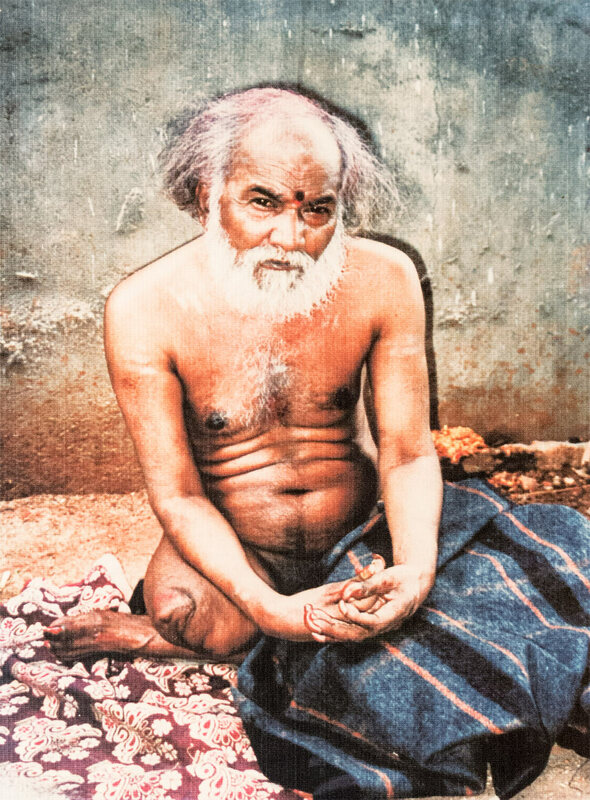 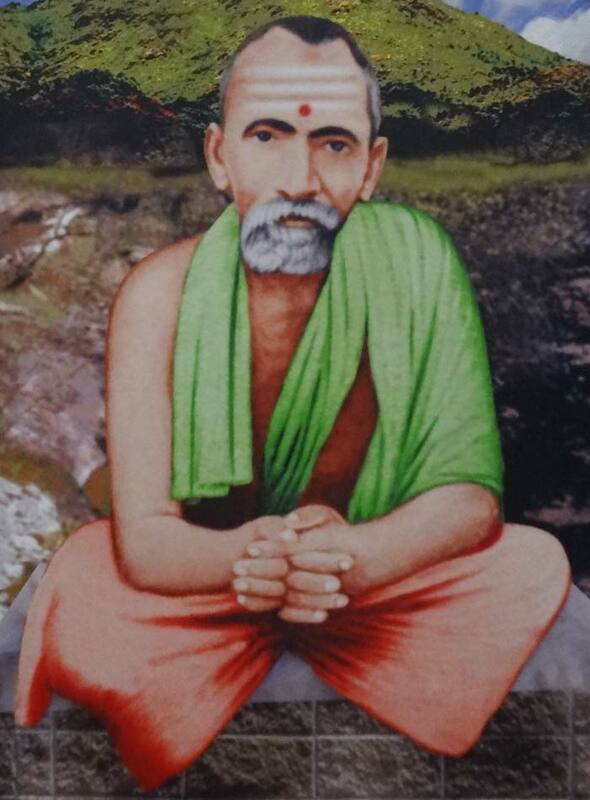 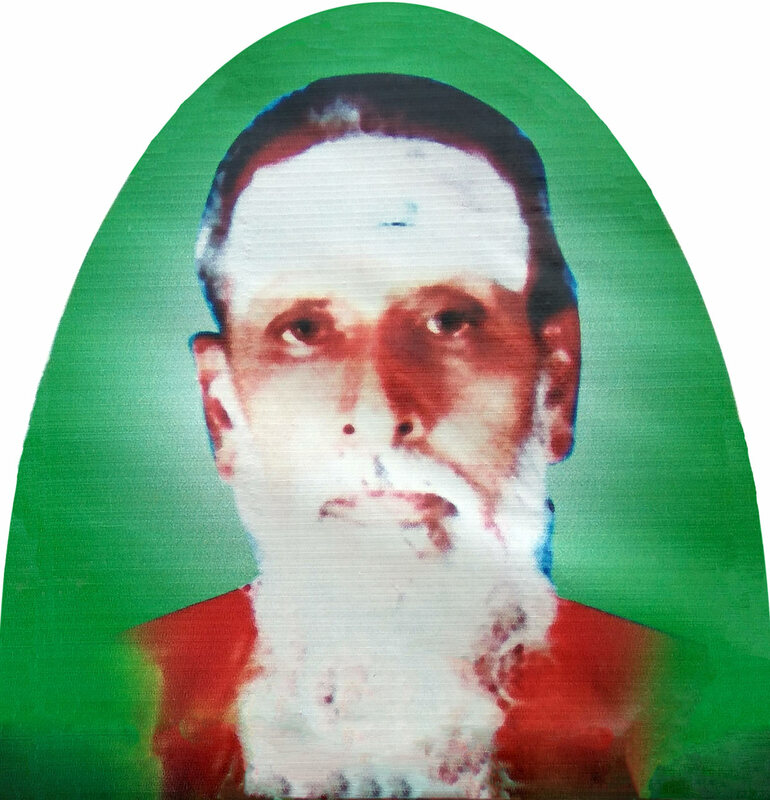 Mouna nirvana swamigal temple, next to his jeeva samadhi where he used to meditate and sleep. 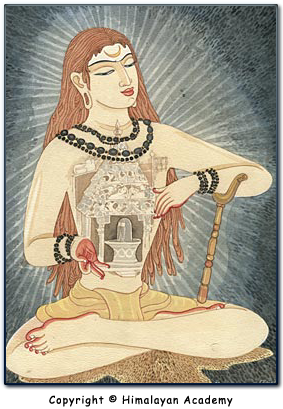 It is a boon for a seeker if he is energy-sensitive and can detect and connect to it easily. 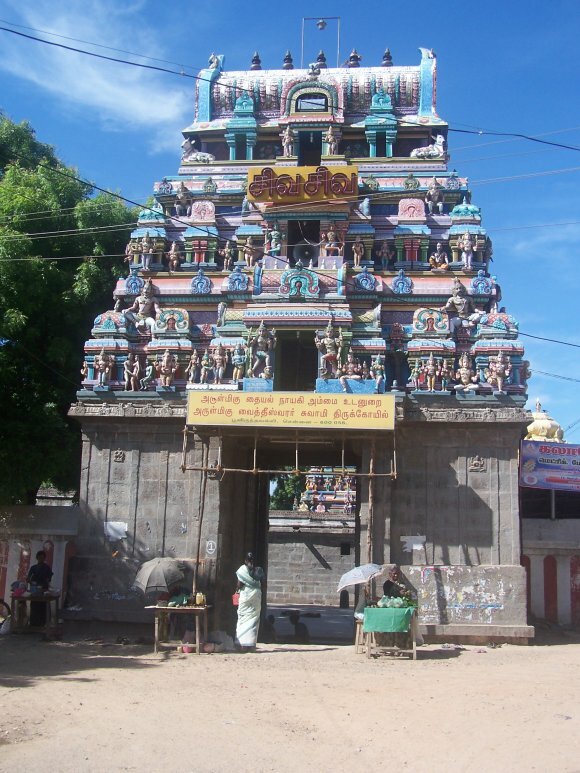 Most of the samadhis/temples remain closed from 12 p.m. to 4 p.m. and some till 6 p.m.. 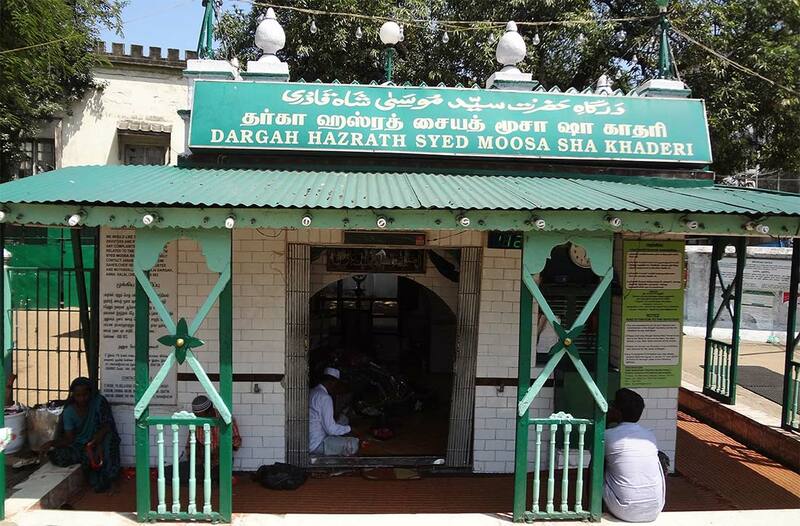 They open at 6 a.m. and close by 8 p.m. No entry is allowed in closed timings. 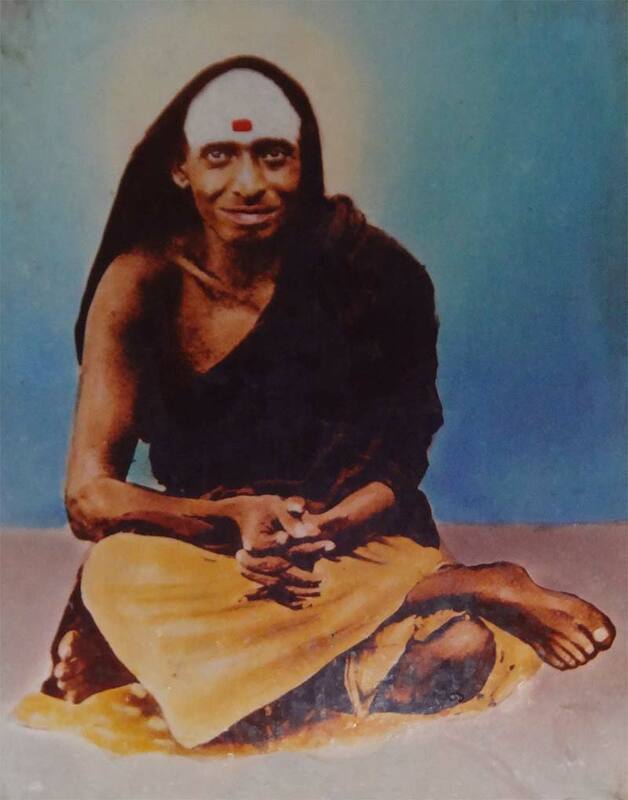 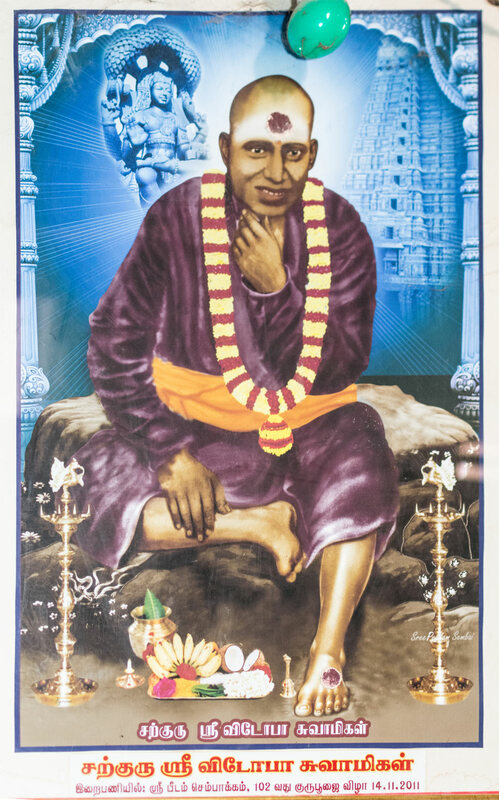 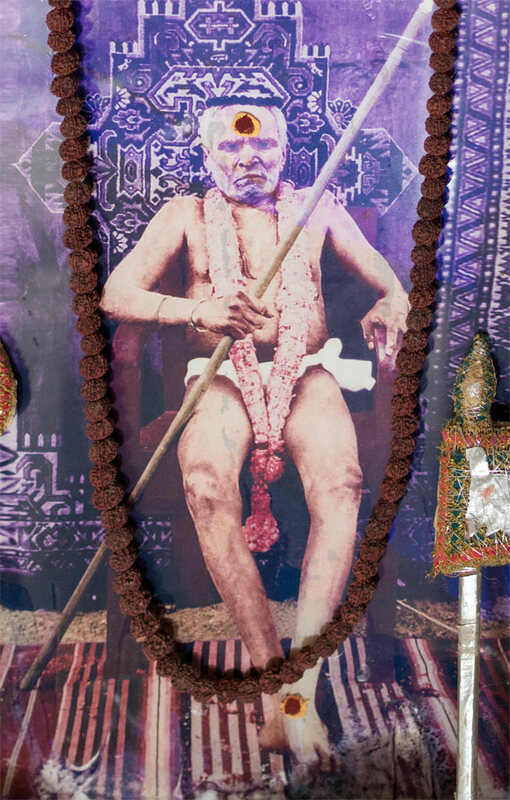 However, if the jeeva samadhi saint wants you to be there even at closure time, miracles will happen and the temples will remain open, I have seen this many times. 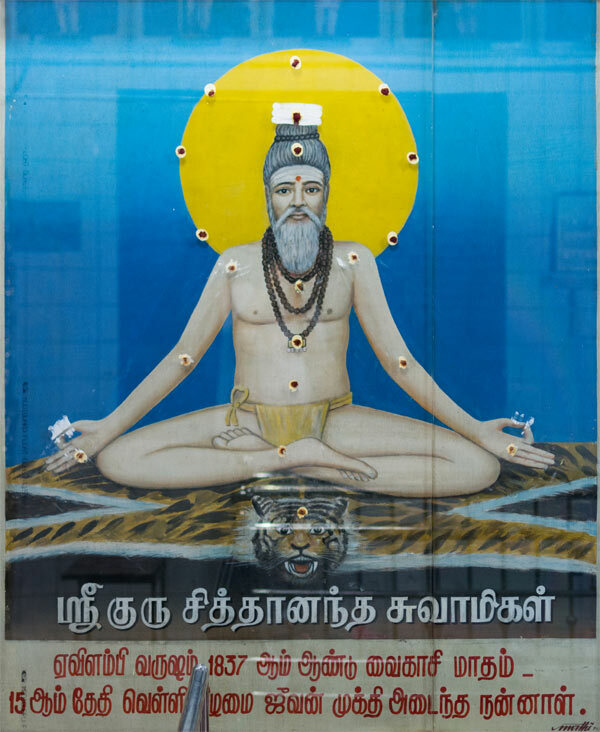 If you are interested in more info about these Jeeva Samadhi's or even want a tour to find them personally you can contact these two options below or arrange it yourself as how I did it. 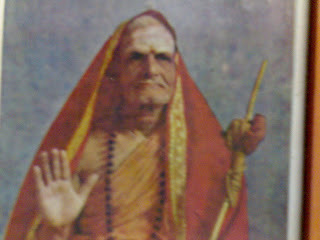 Another great source who has visited many of these sites as well is Praba Kara. 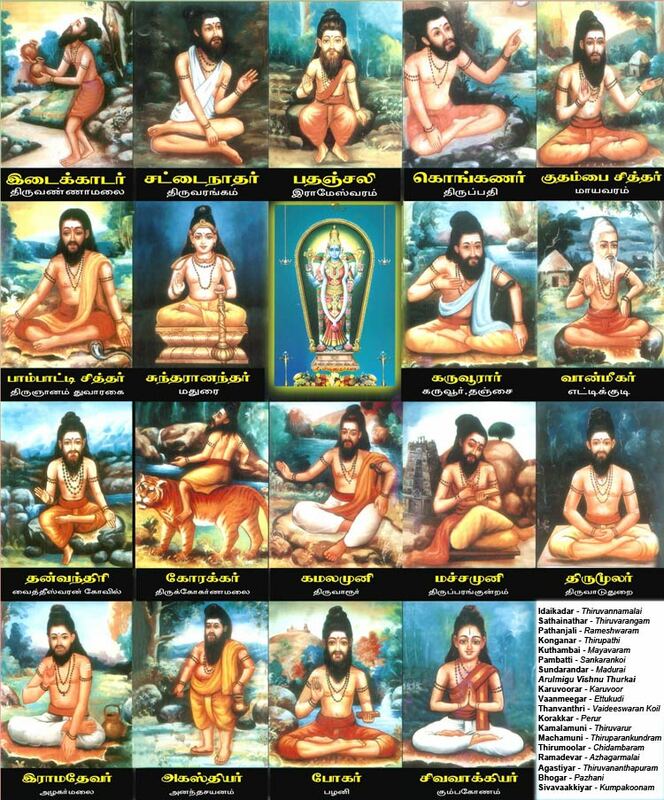 Click on the Tamil Nadu map to enlarge as to find many of the jeeva samadhi locations of the saints below. 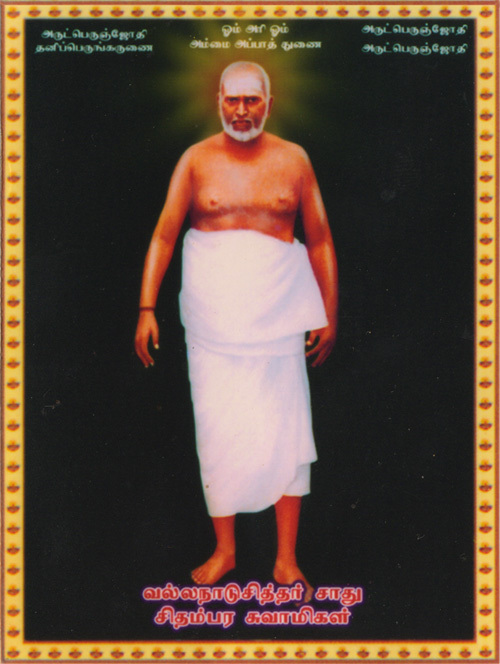 Some numbers are double because the location contains more then 1 jeeva samadhi. 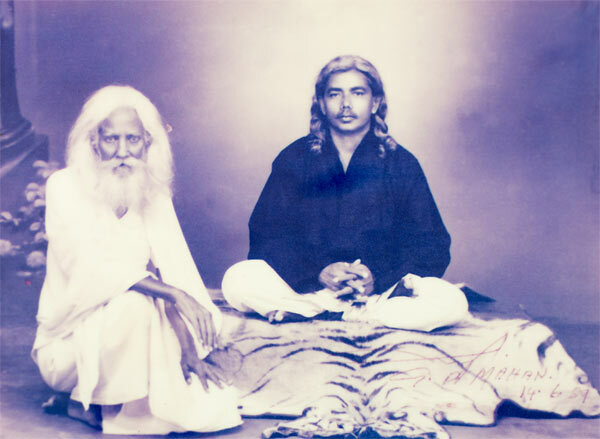 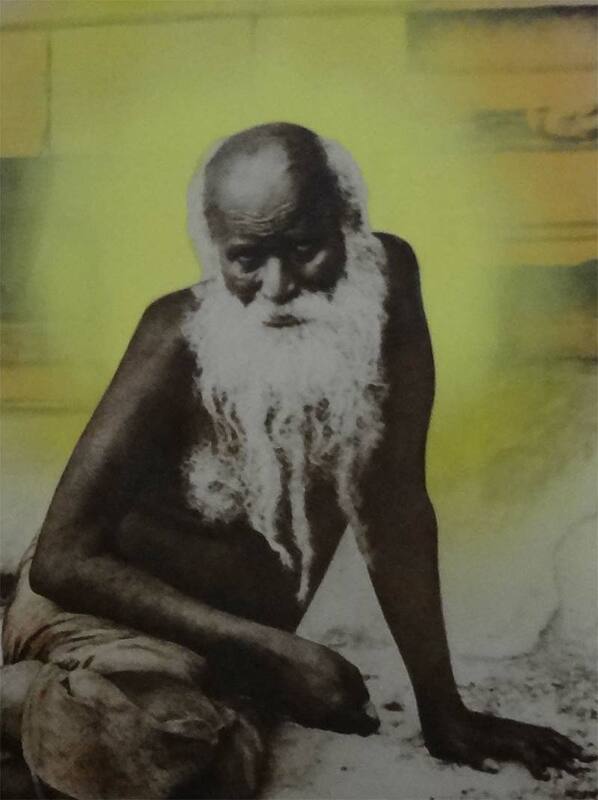 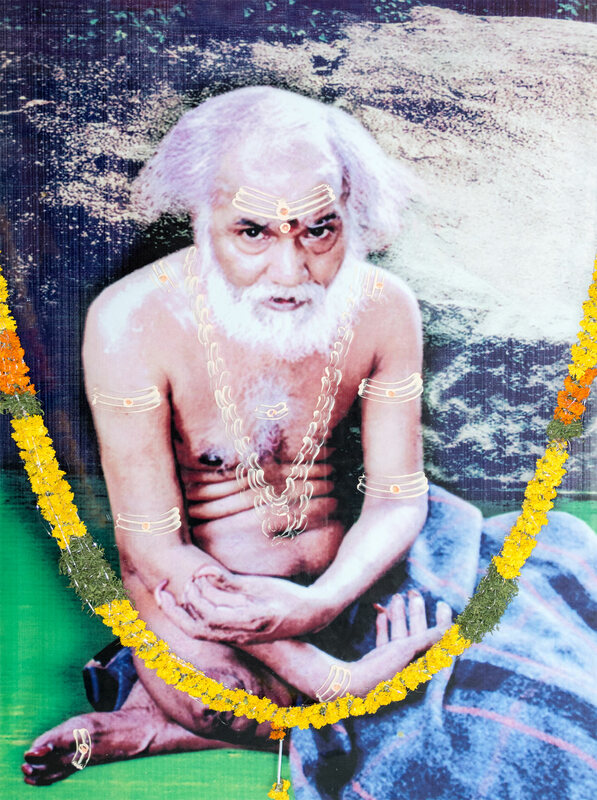 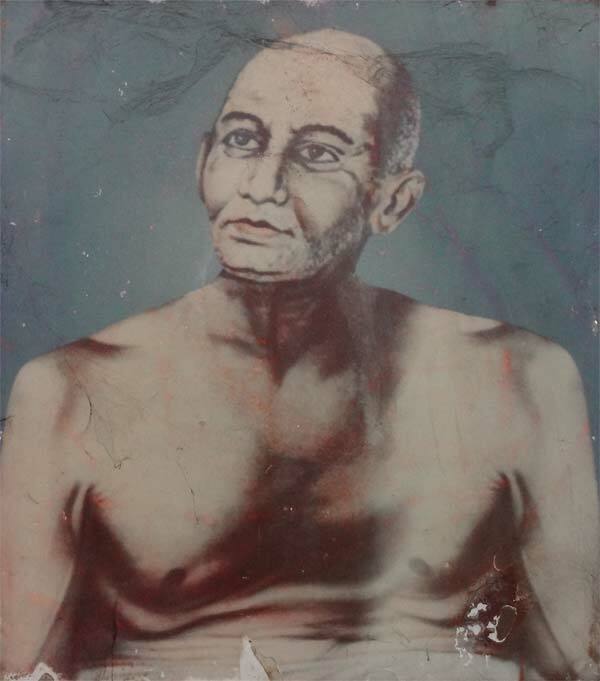 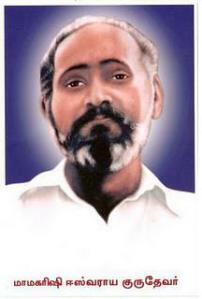 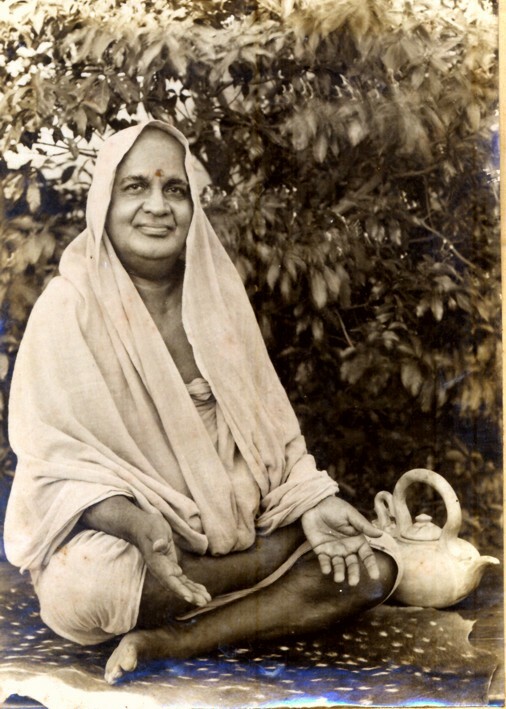 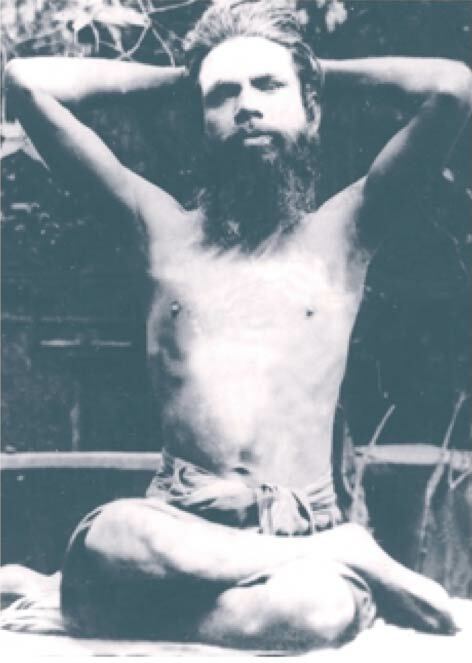 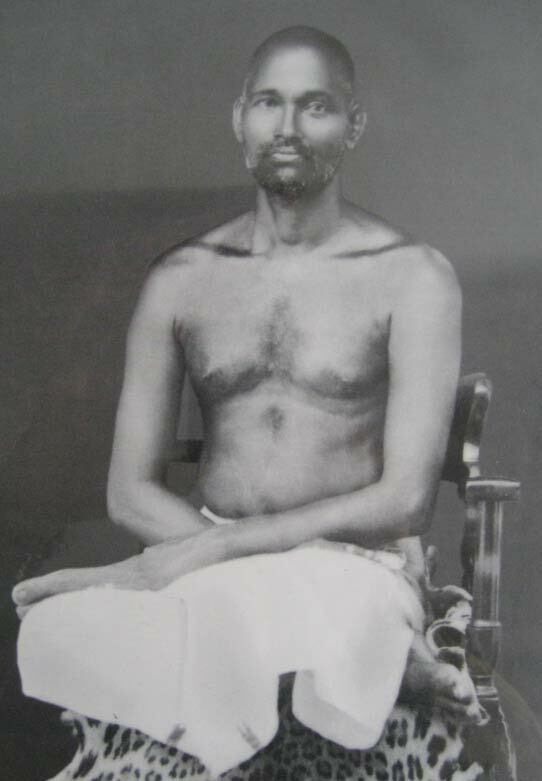 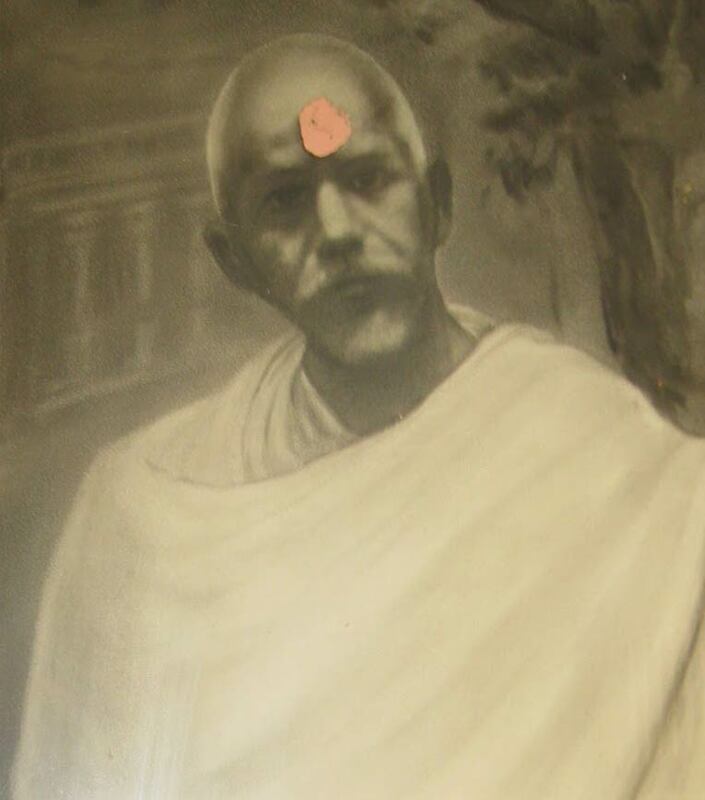 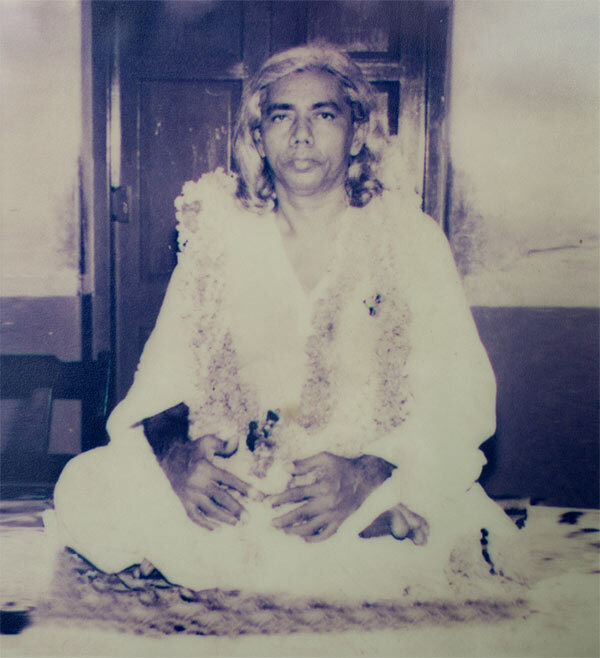 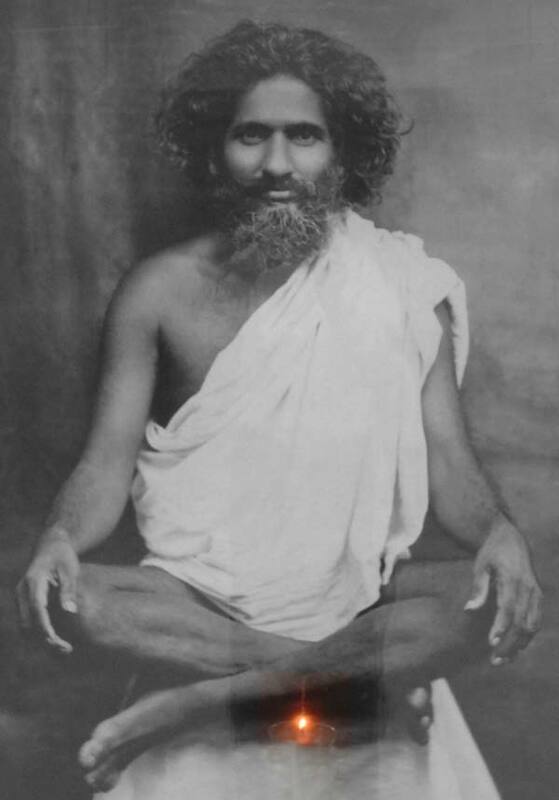 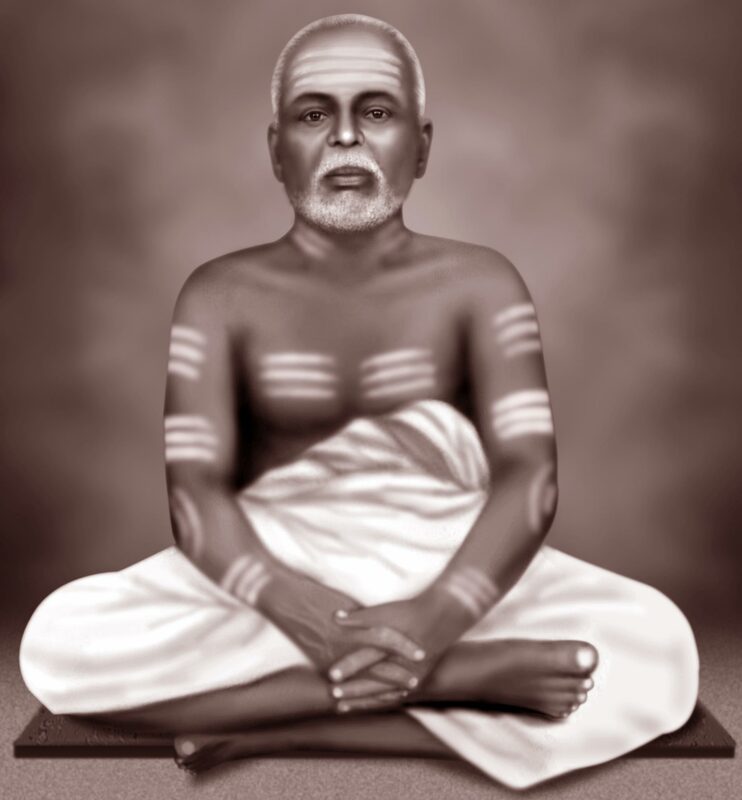 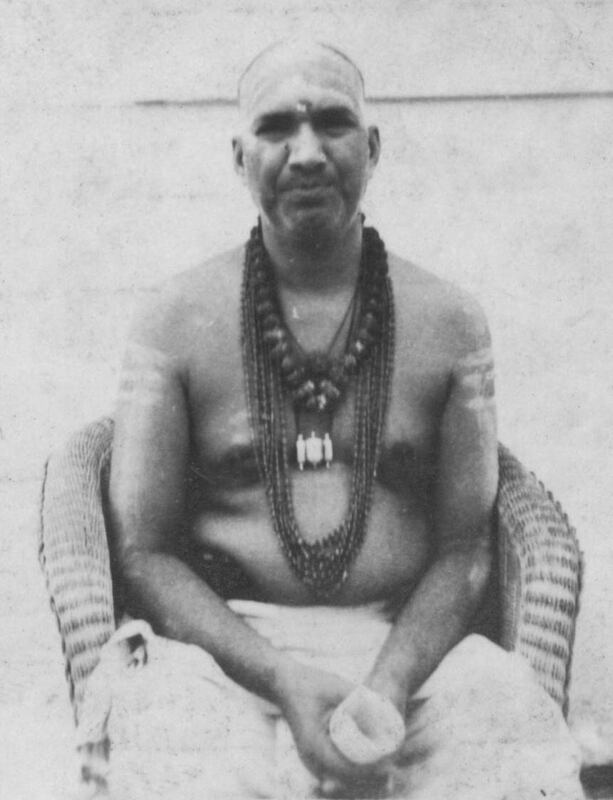 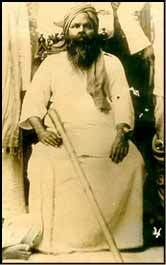 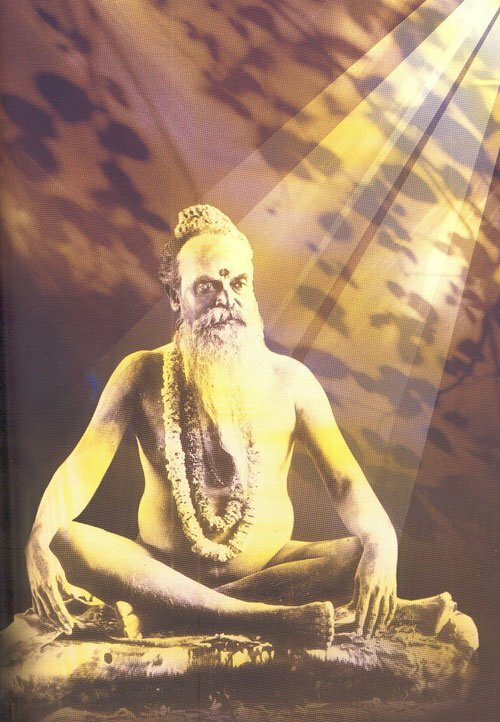 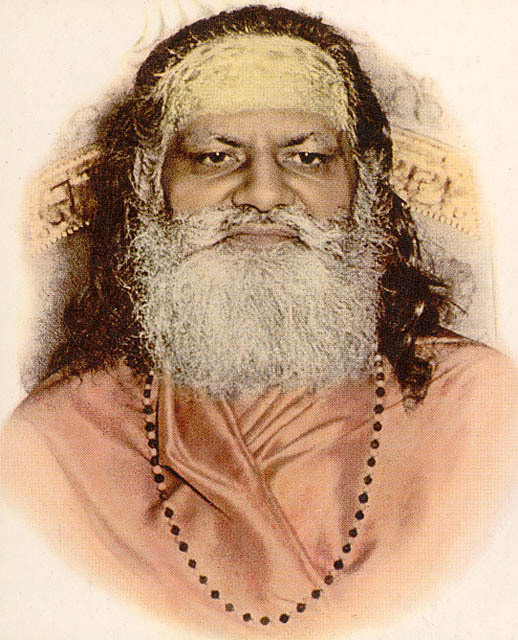 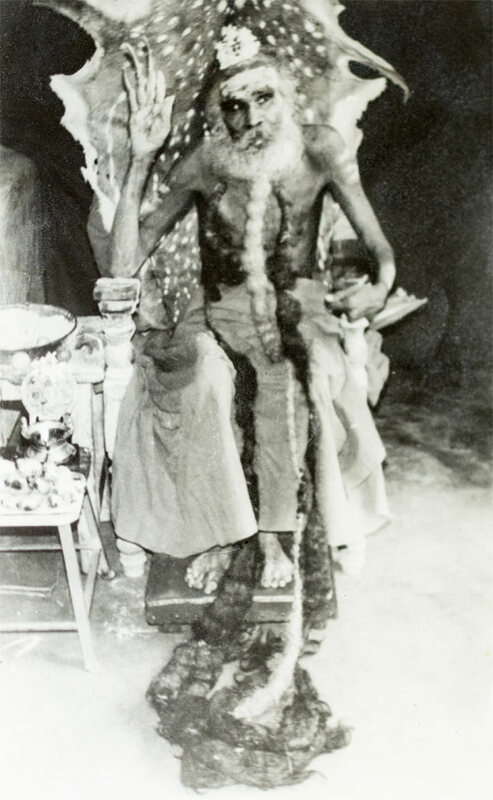 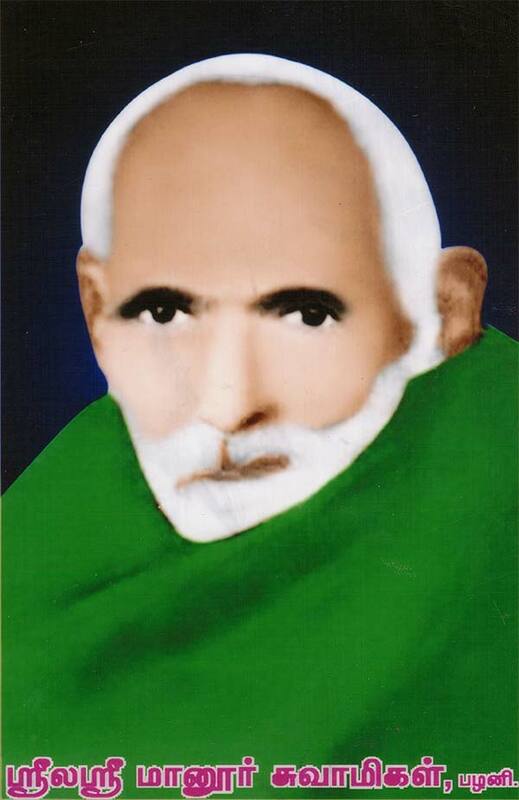 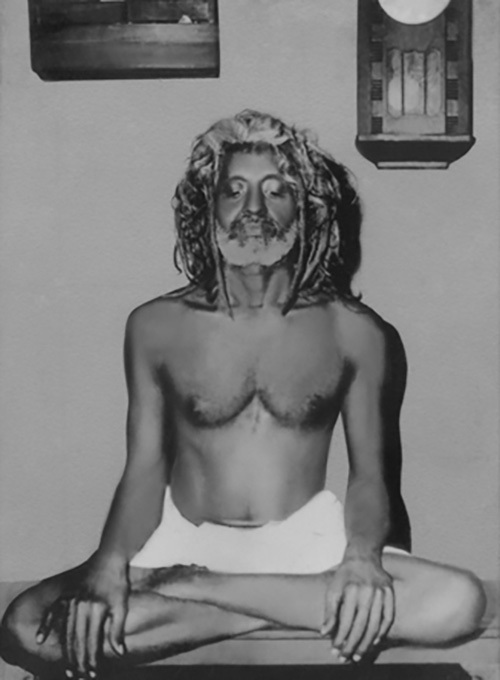 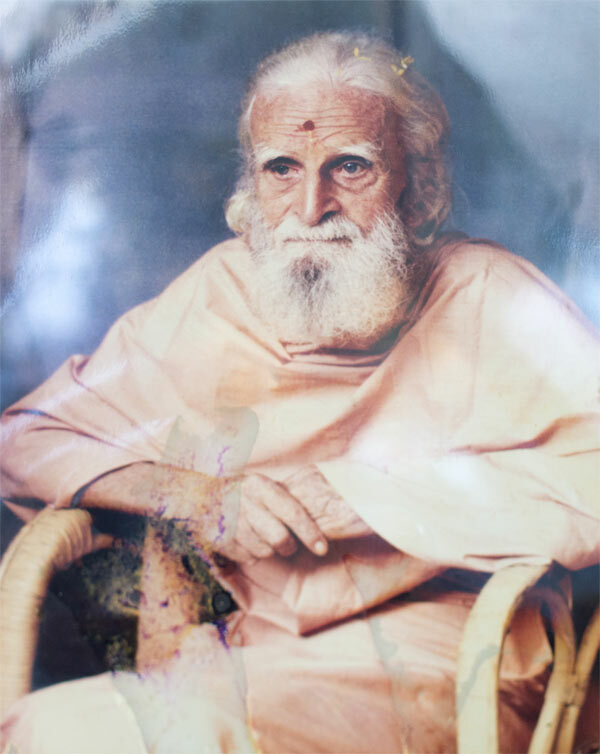 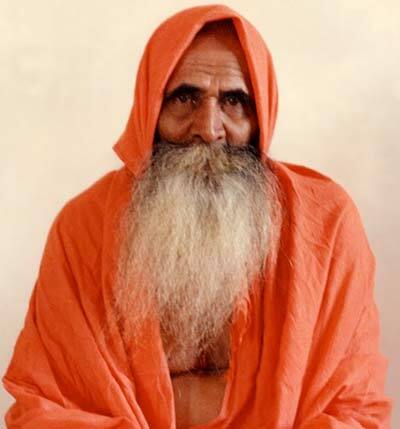 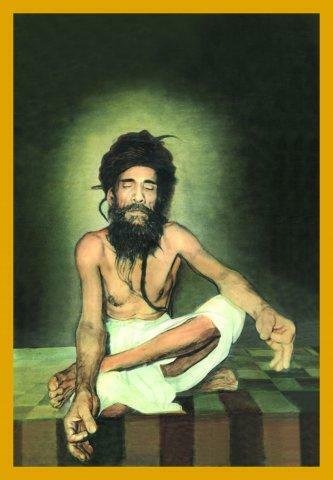 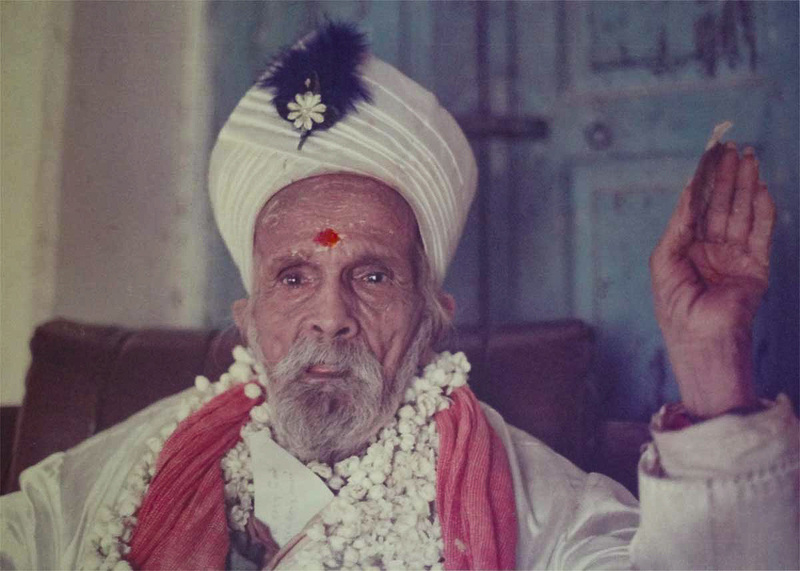 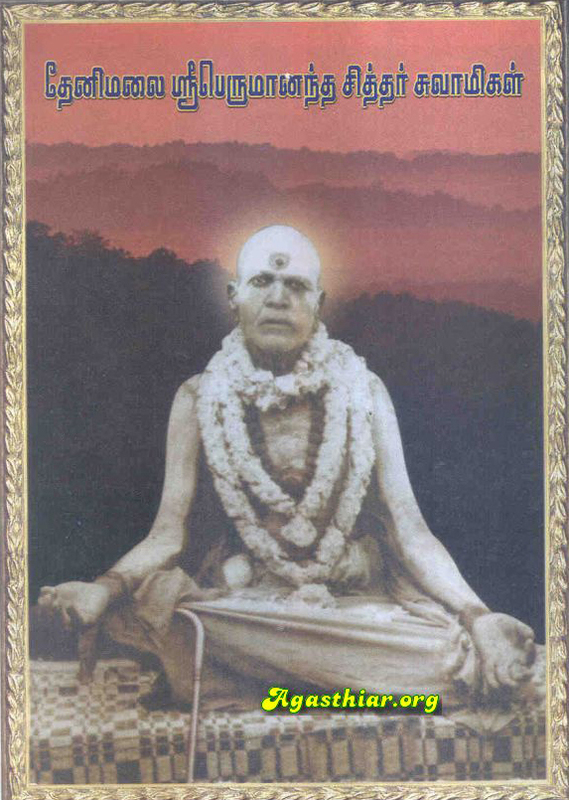 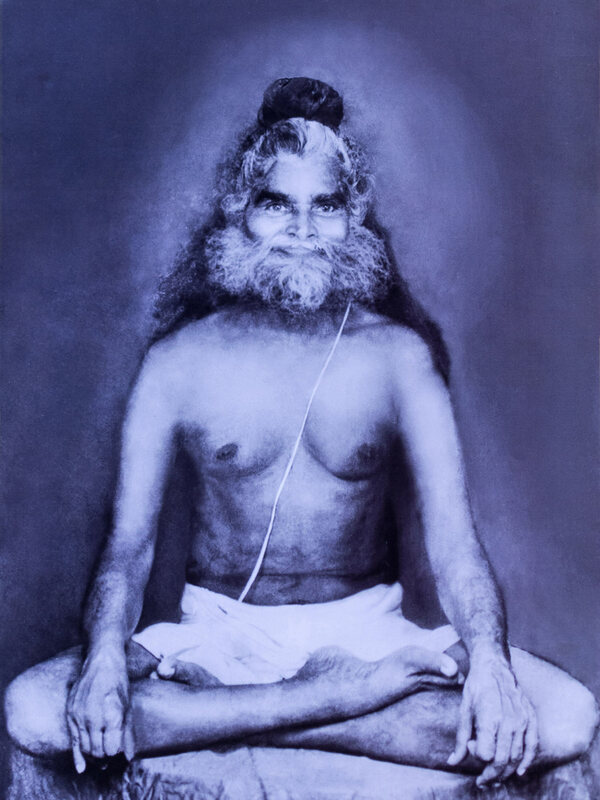 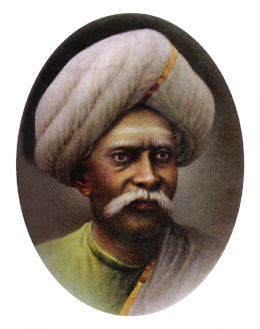 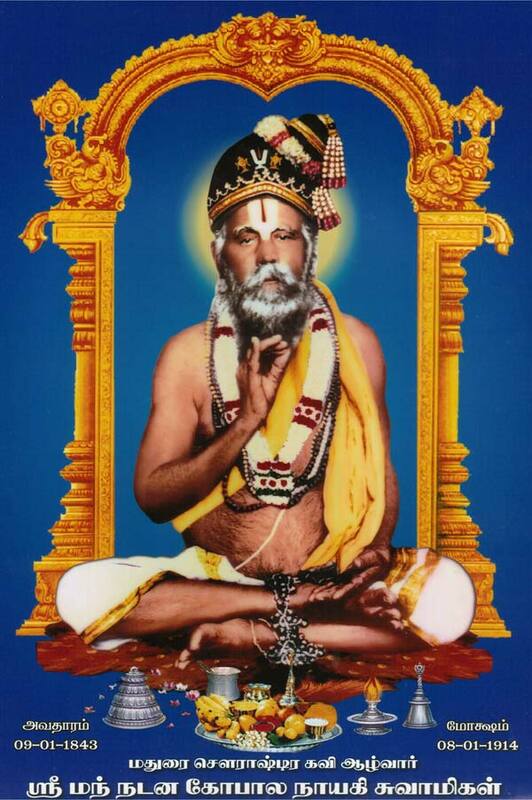 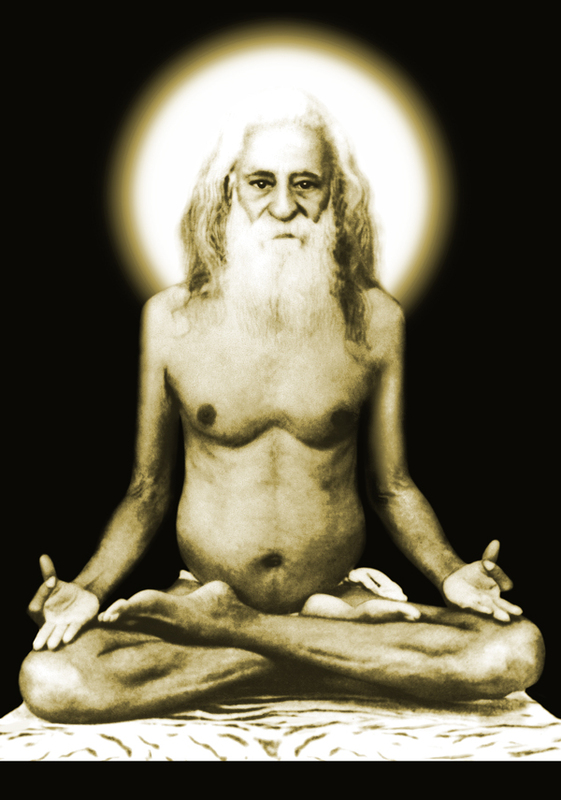 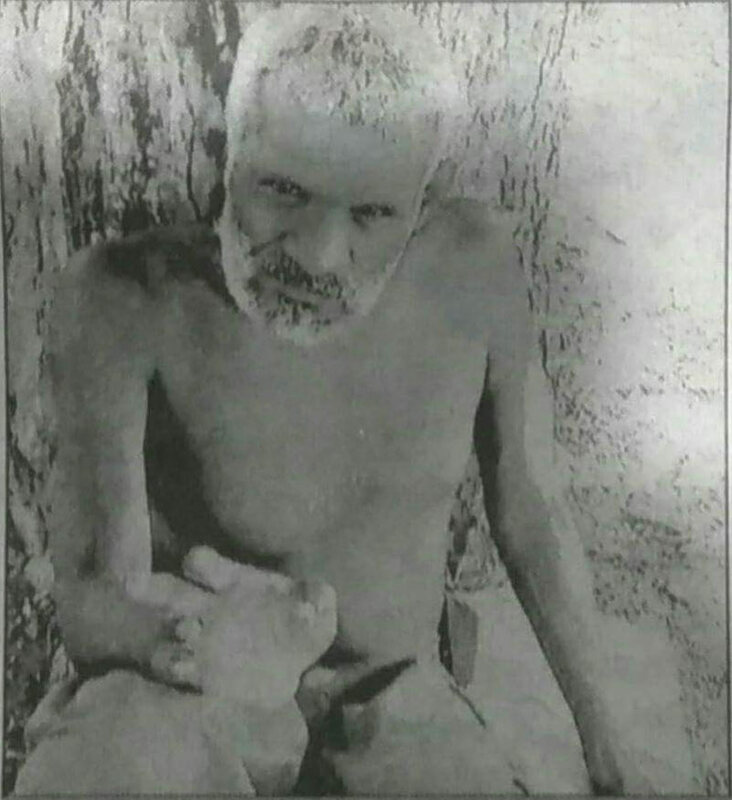 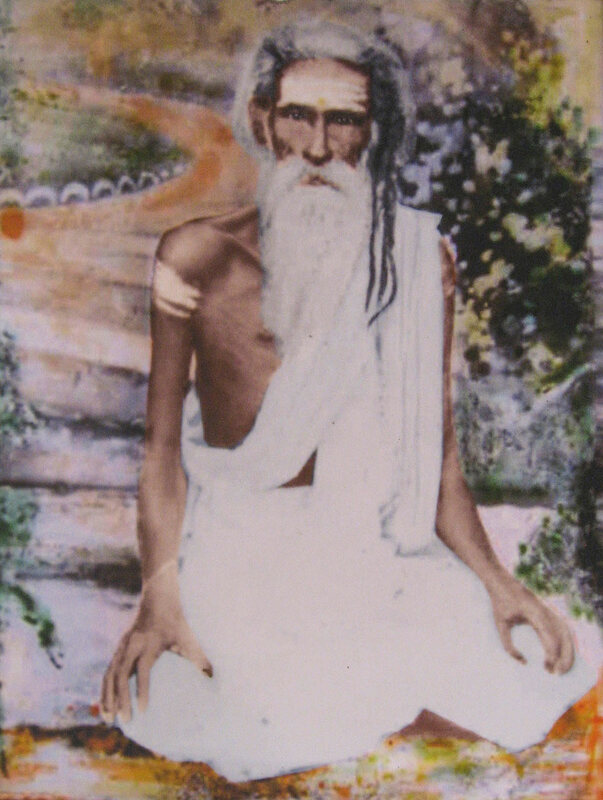 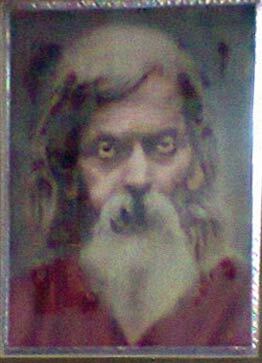 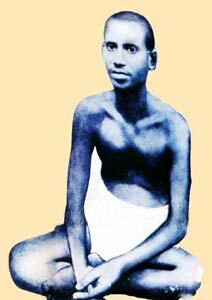 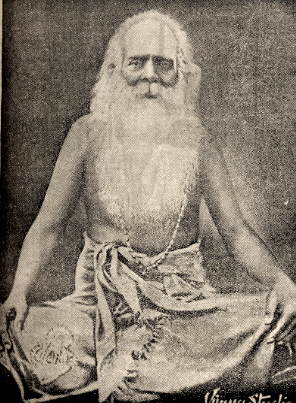 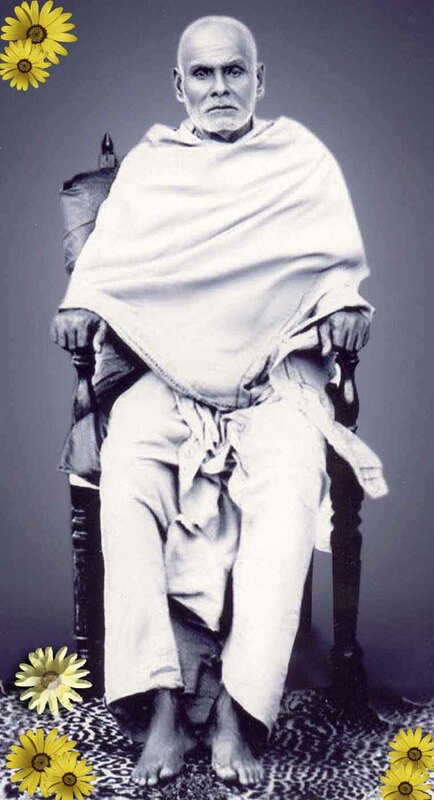 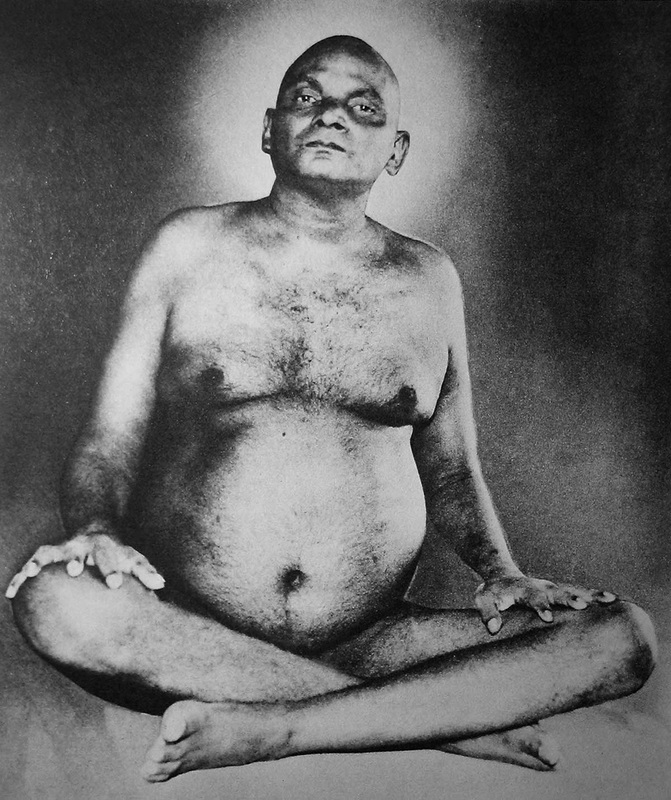 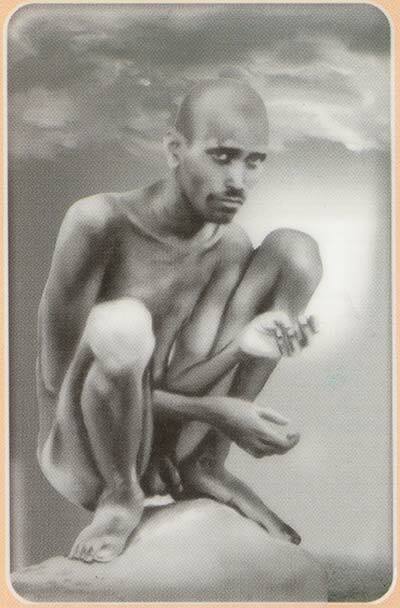 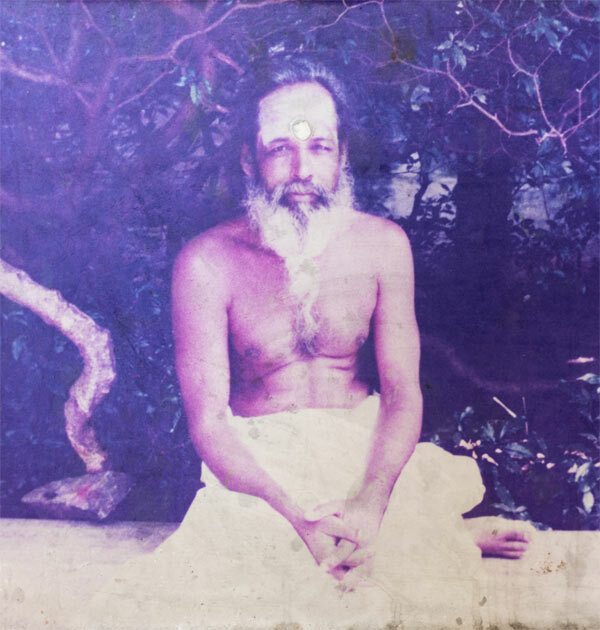 He was Ramana Maharshi's guru. 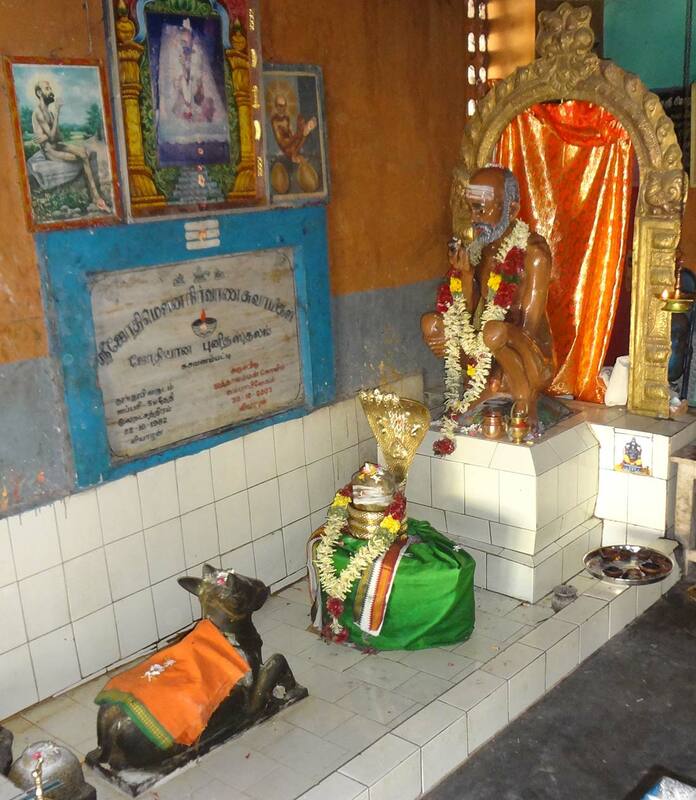 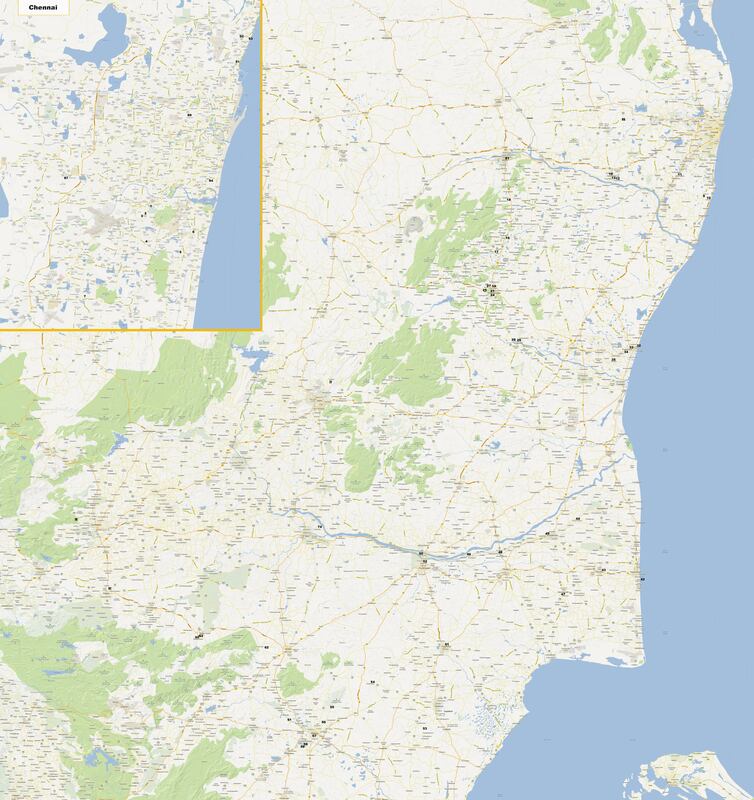 location: Irumbudur, which lies between Vriddhachalam and Chidambaram. 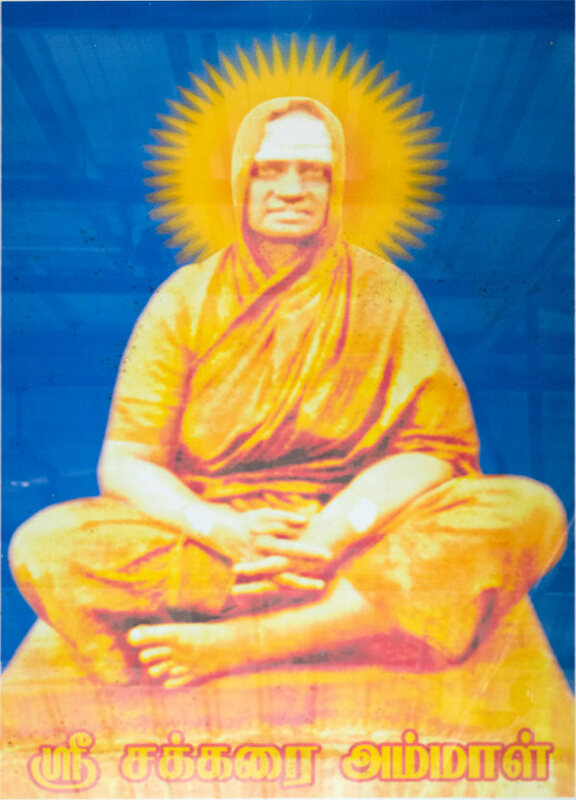 Start from light house of marina beach road and go around 200 meters you will find vivekananda house, take immediate left road.This road is Dr.Beasnt road. 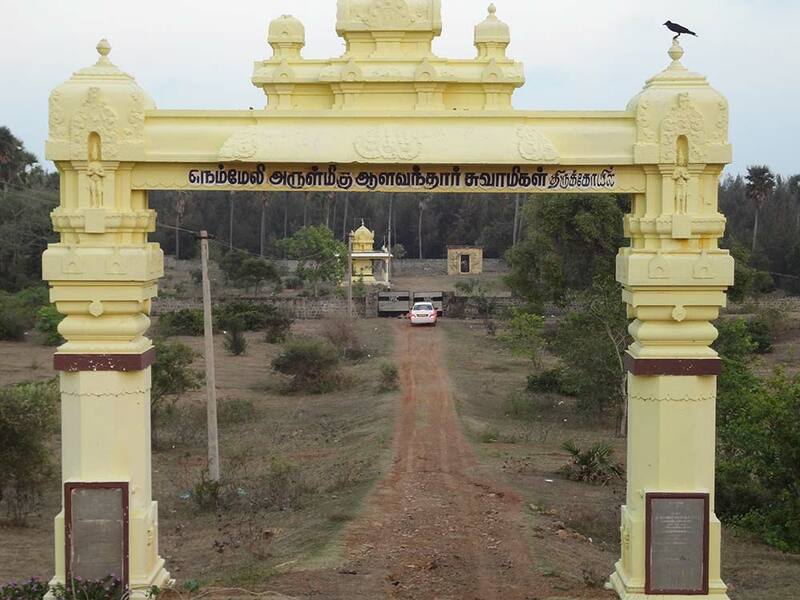 Take second left in that road and take first right and go around 150 meters then you will find the jeeva samadhi temple at the left side. 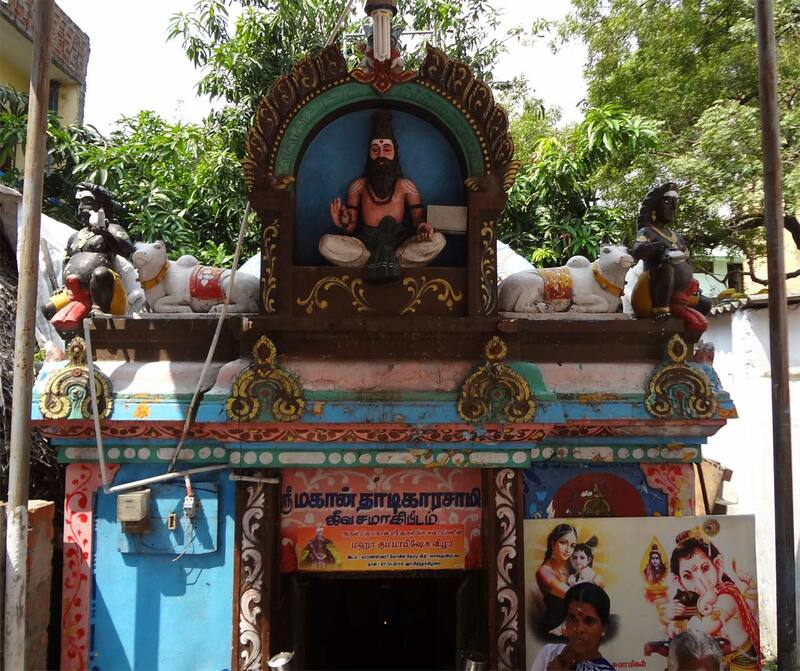 18kms from Dhindivanam,Before Thirukazhmkundram Siva temple you will find petrol bank in your right adjacent to that that is the Jeeva samadhi temple in the main road, when u come from chengelpattu via thirukalukundram. 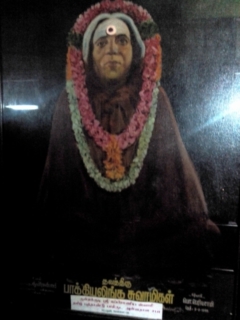 Location: Karanaipuducheri village via Oorapakkam. 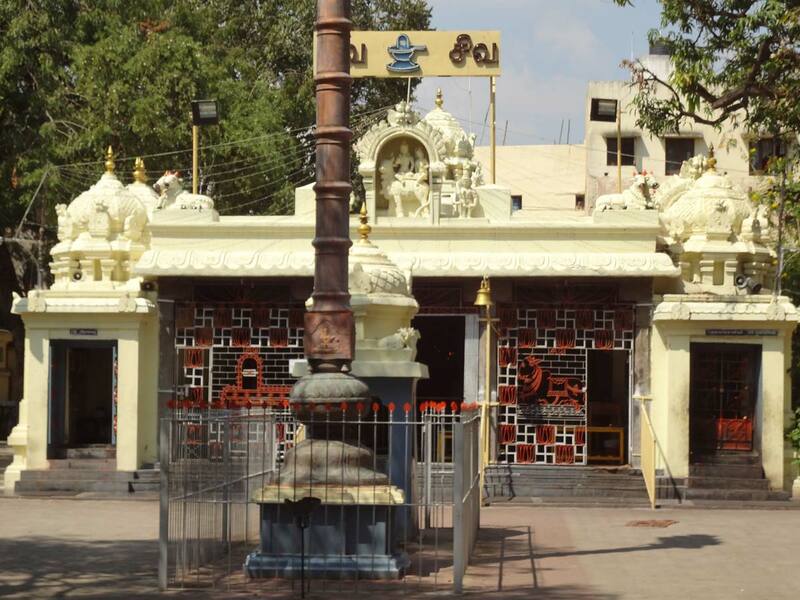 7, Mariamman Koil street Karanaipuducheri. 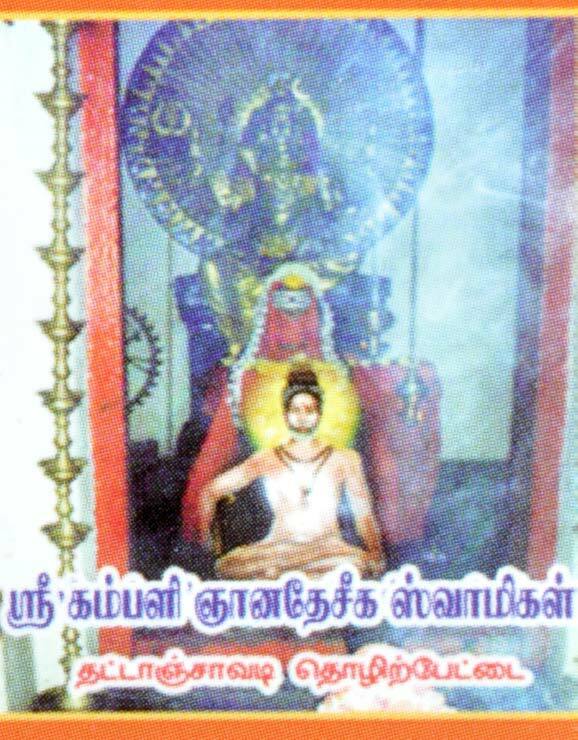 Inside sankara madam near to ekampareshwarar temple,kancheepuram. 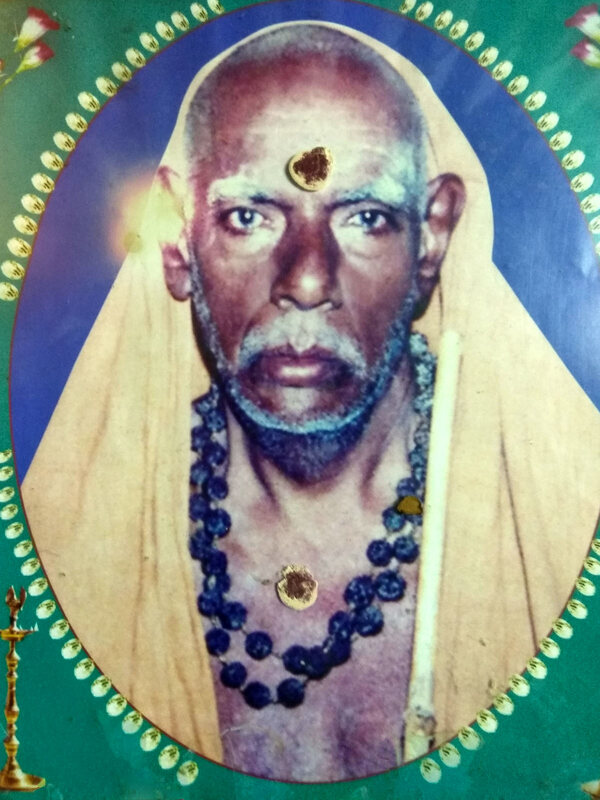 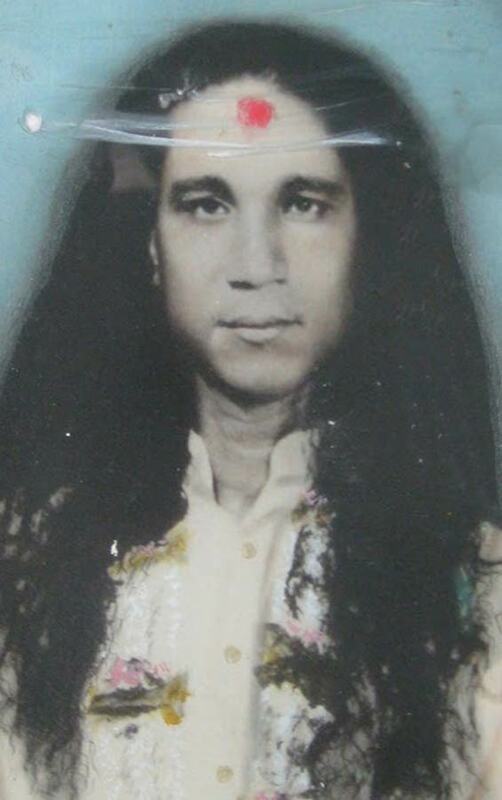 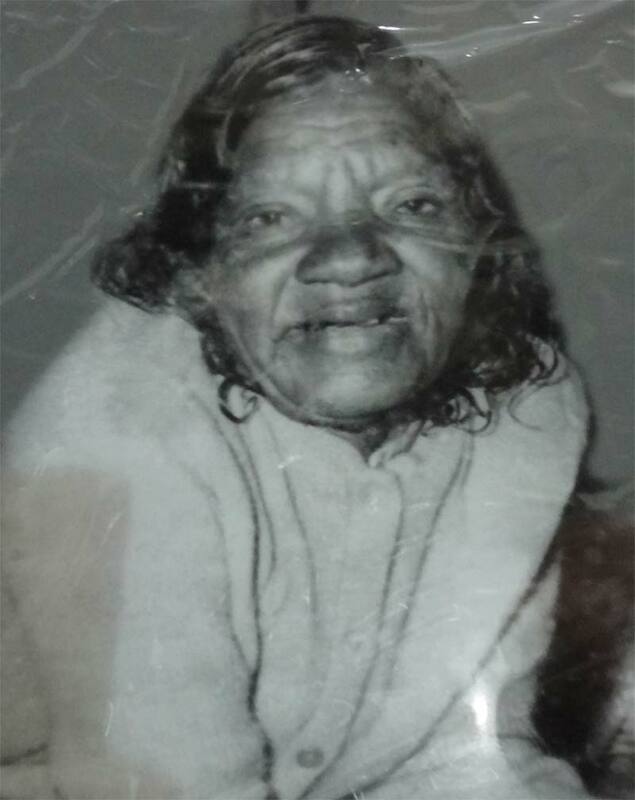 Thavathiru Veera Subbaiah Swamigal Madam, 52, Perambur barracks road, Vepery, Chennai .Ph: 26691475. 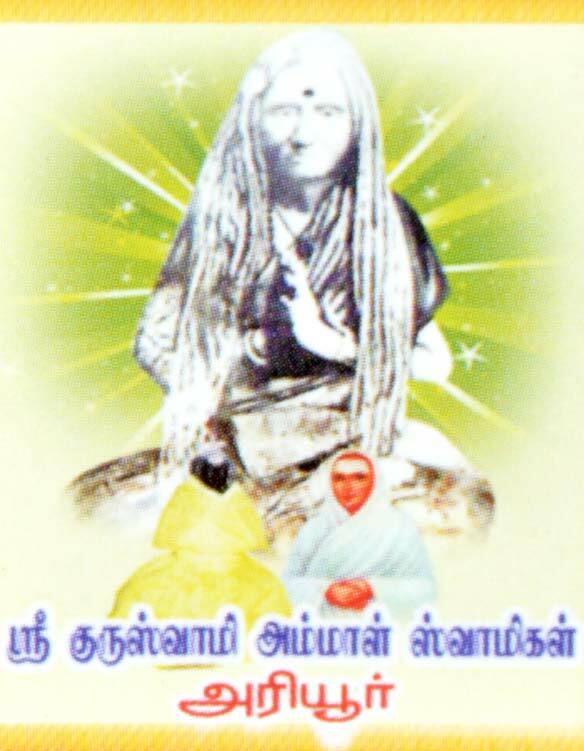 OTNo.52,Mouna Swami Madam street,ambattur OT,chennai-53.Inside amdattur OT bustand two roads will be going take the left road .this road is muona swamigal madam street.Go around 300 meters then you will find the 52 inside the house at the left end is the samadhi temple. 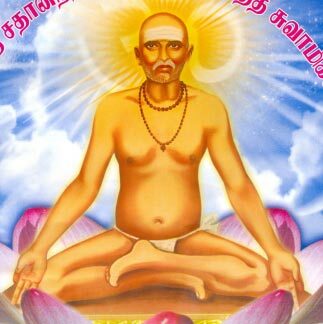 From TRICHY CENTRAL BUS STAND travel to KEERANUR BUS STAND, Then take bus which goes to UPPILIYAKUDI and get down at SURULI SWAMI TEMPLE. 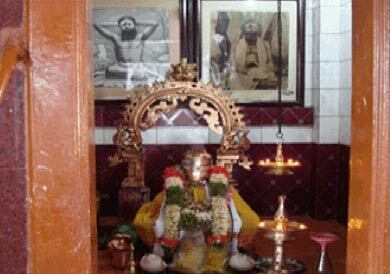 All the 18 siddhars of Tamil Nadu and the 84 Maha siddhars have their own Jeeva samadhi's. 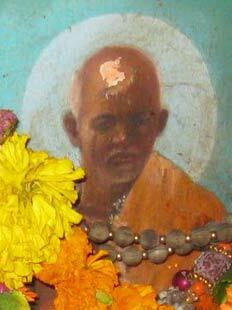 Some of them just like the 16th Karmapa have reached the state of rainbow body but still entered jeeva samadhi. 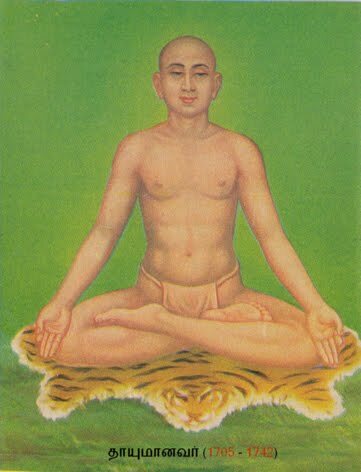 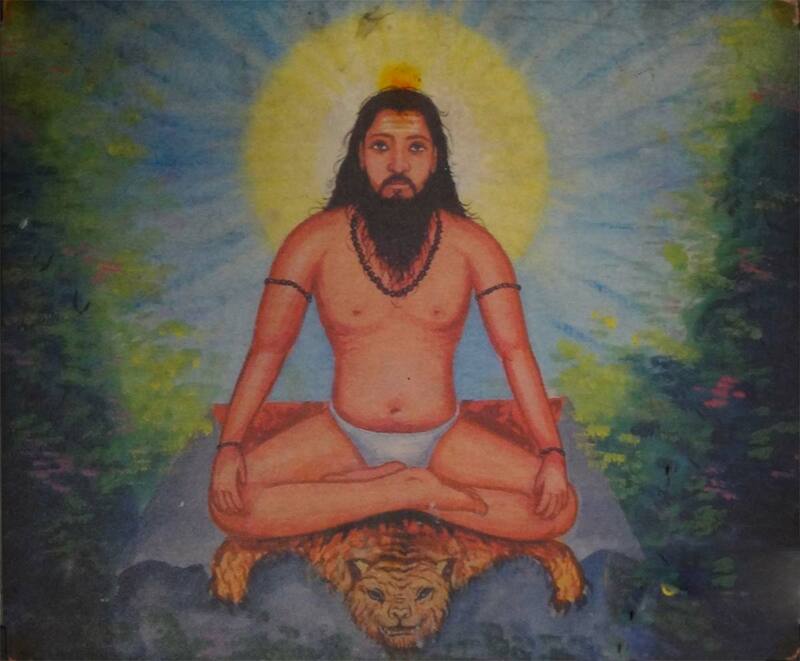 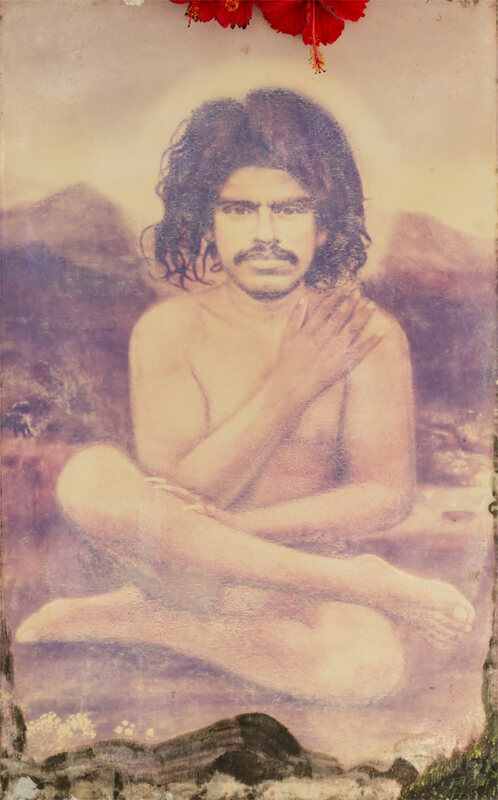 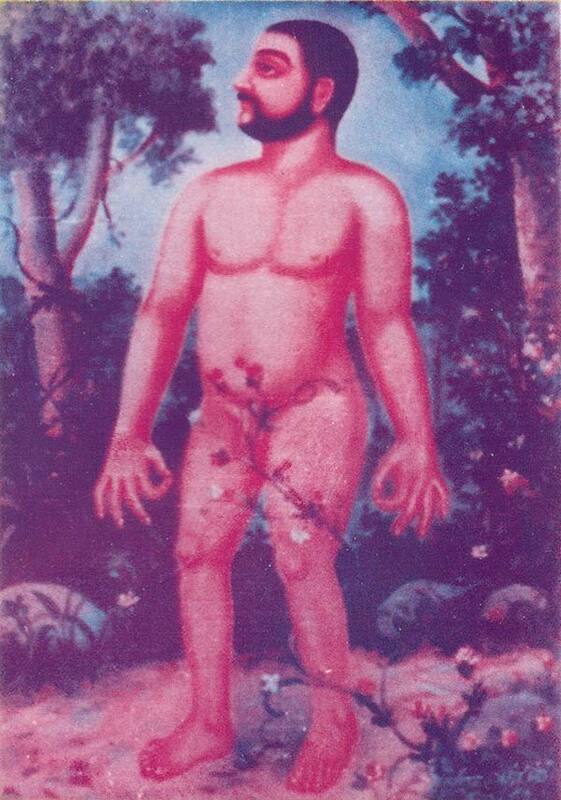 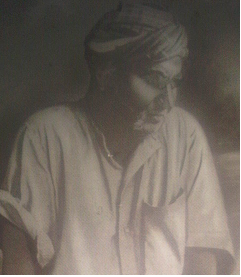 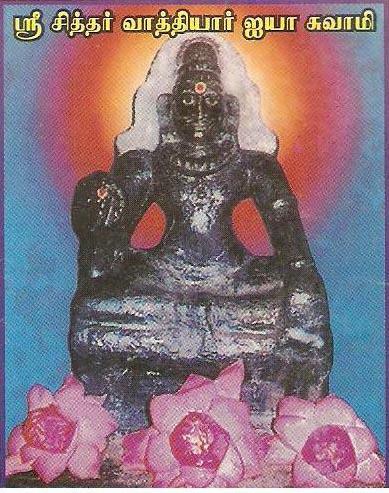 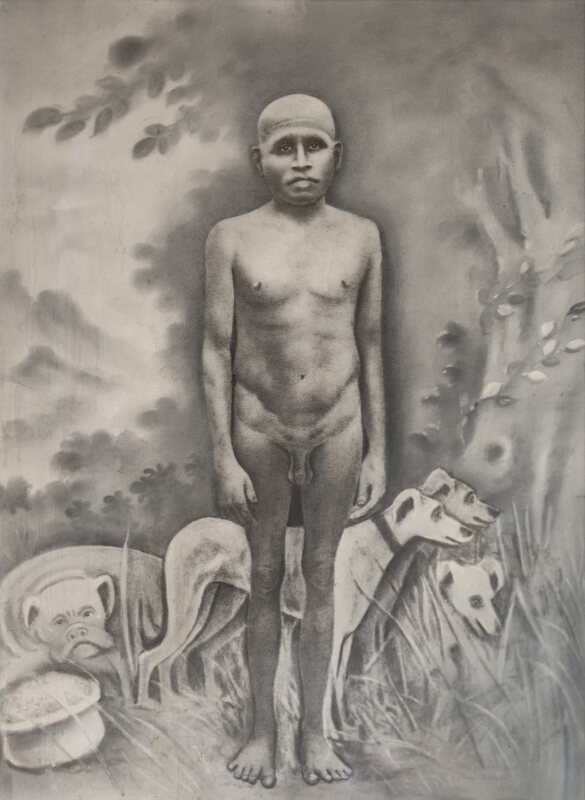 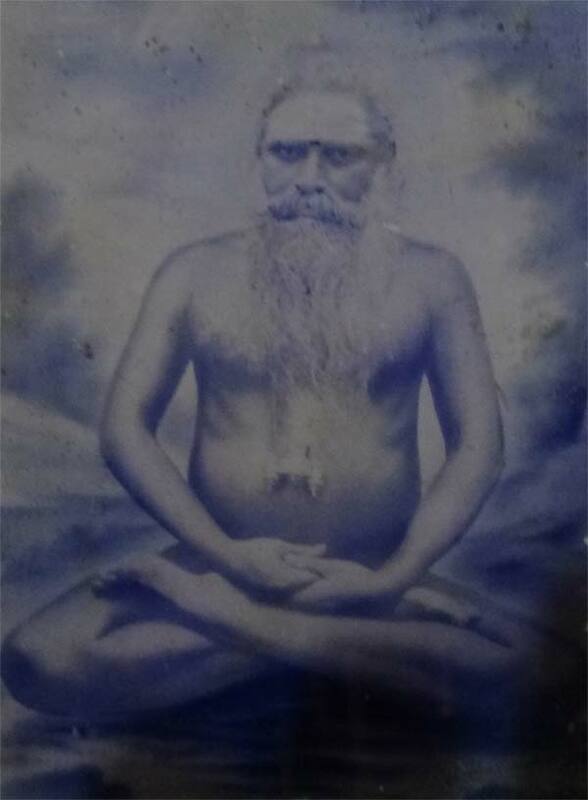 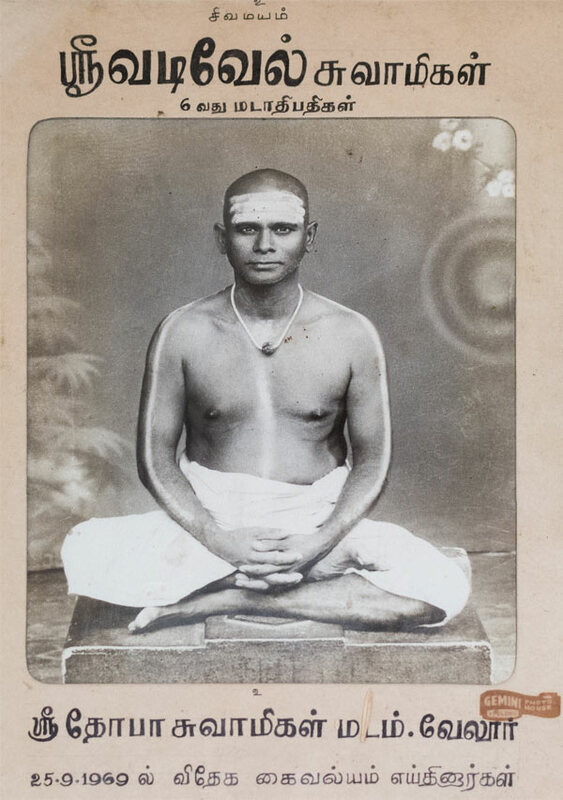 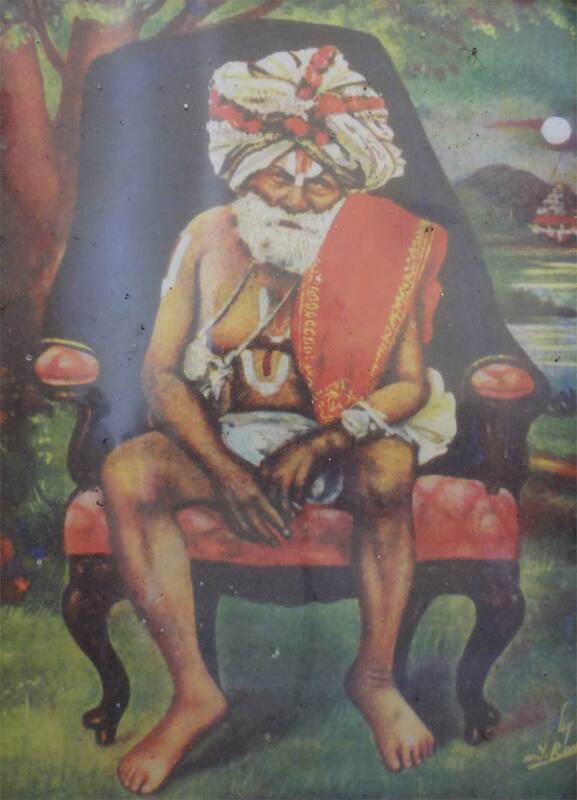 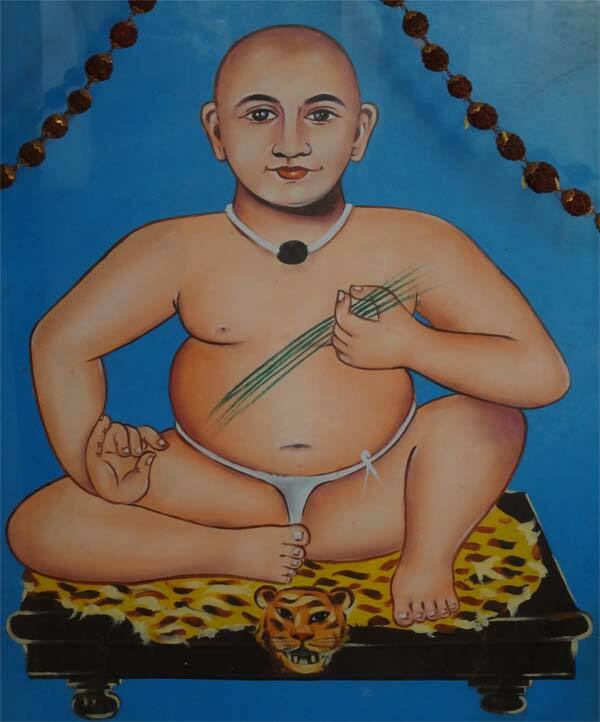 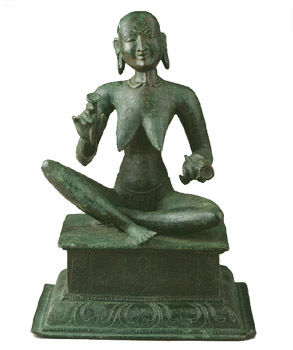 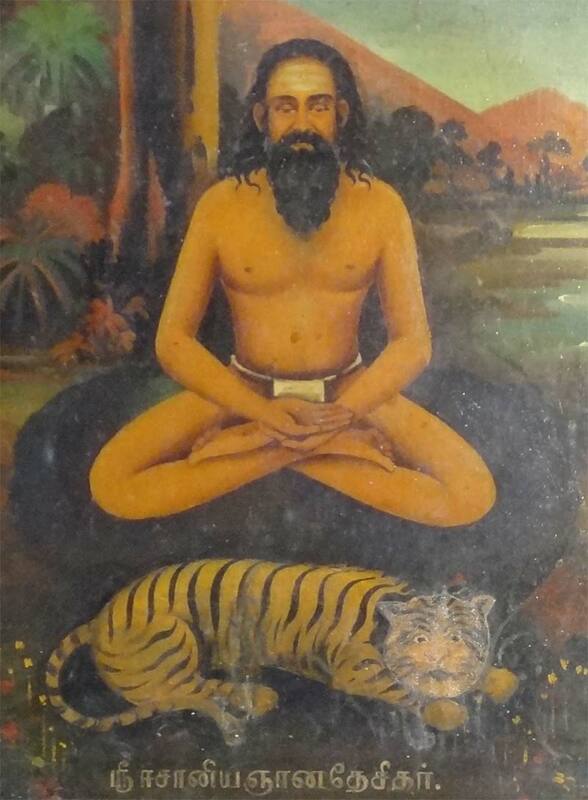 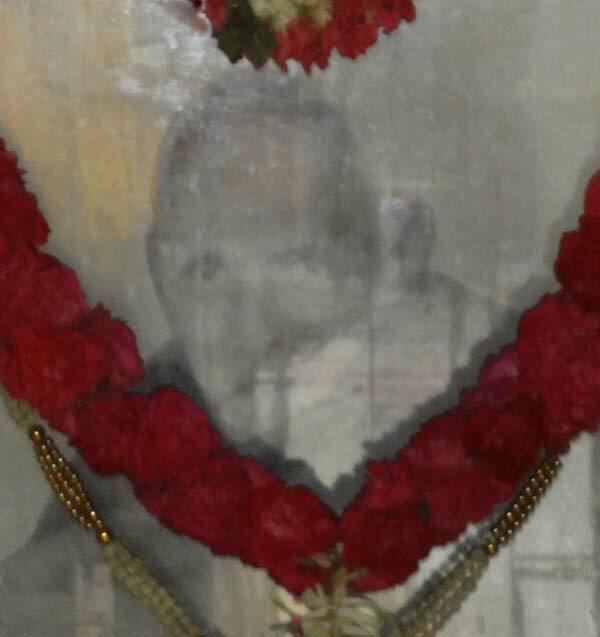 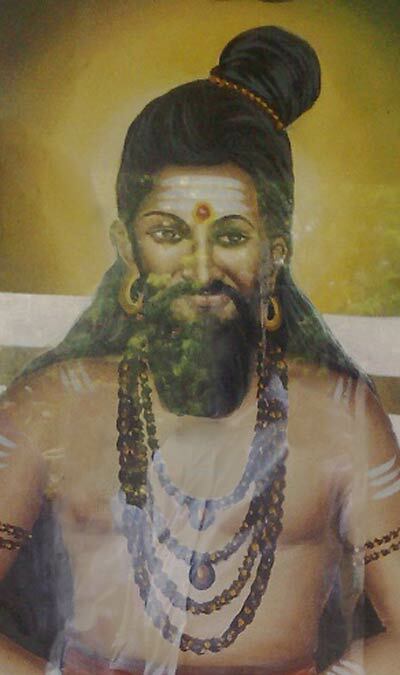 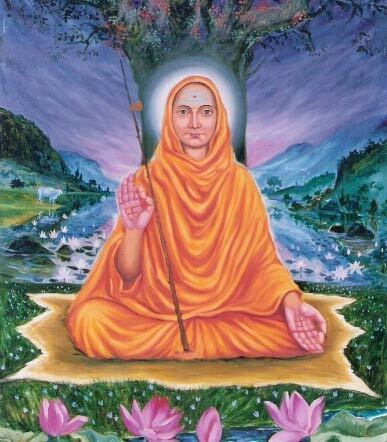 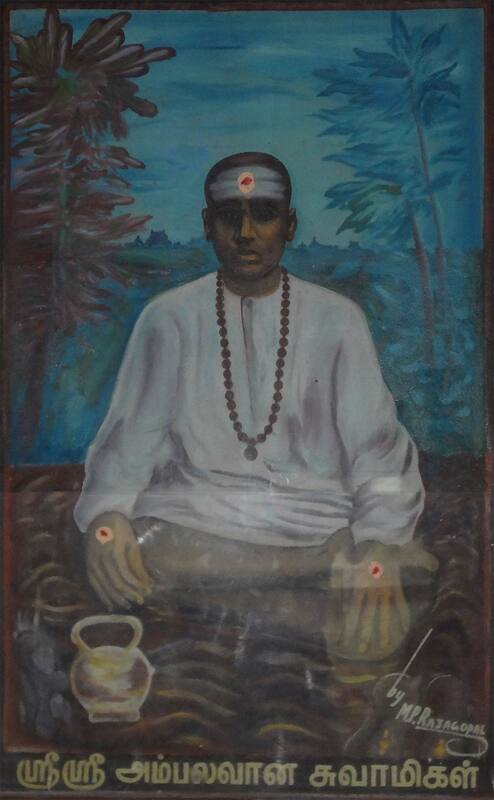 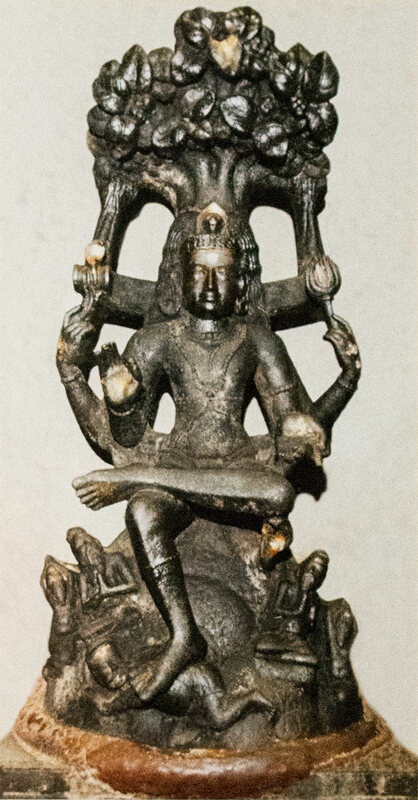 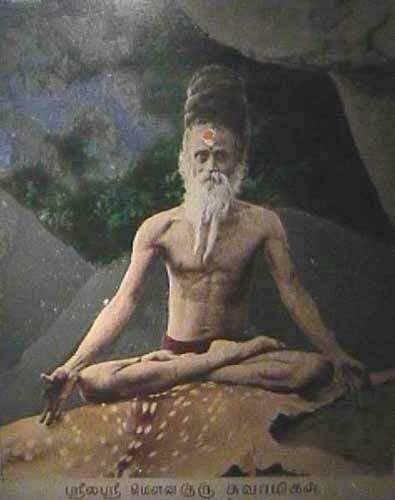 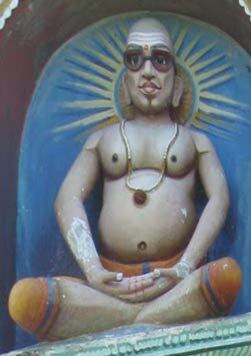 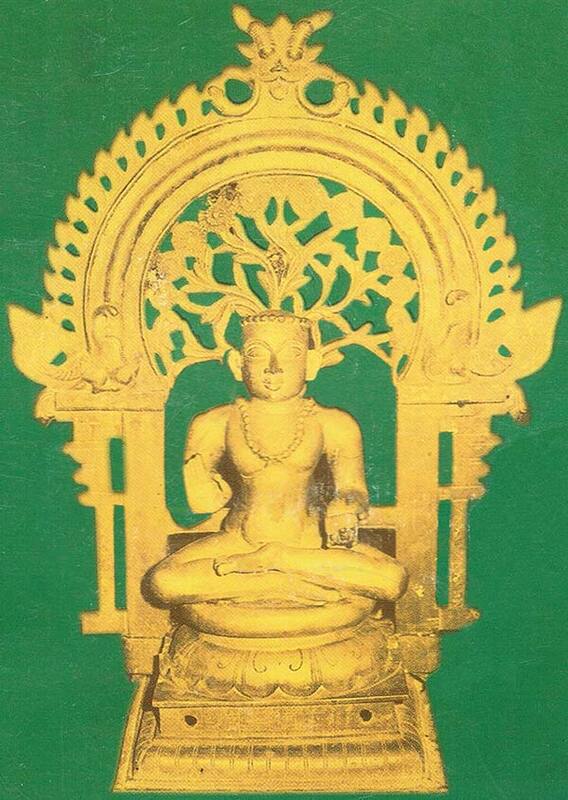 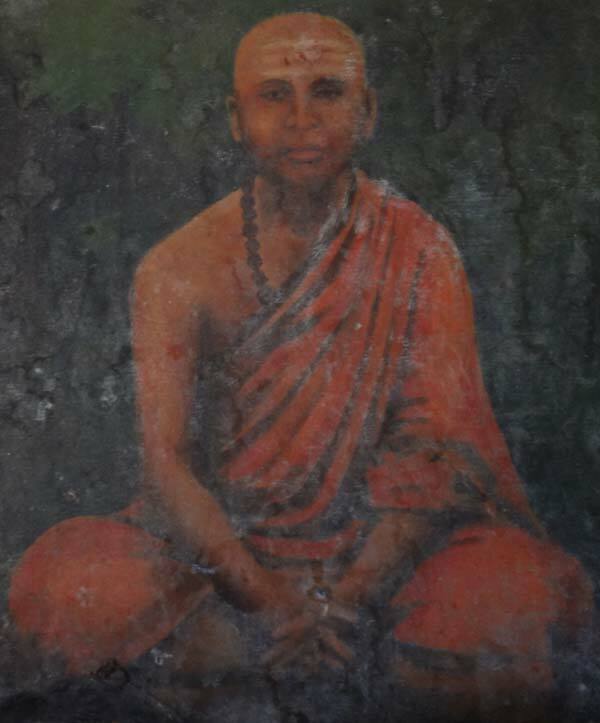 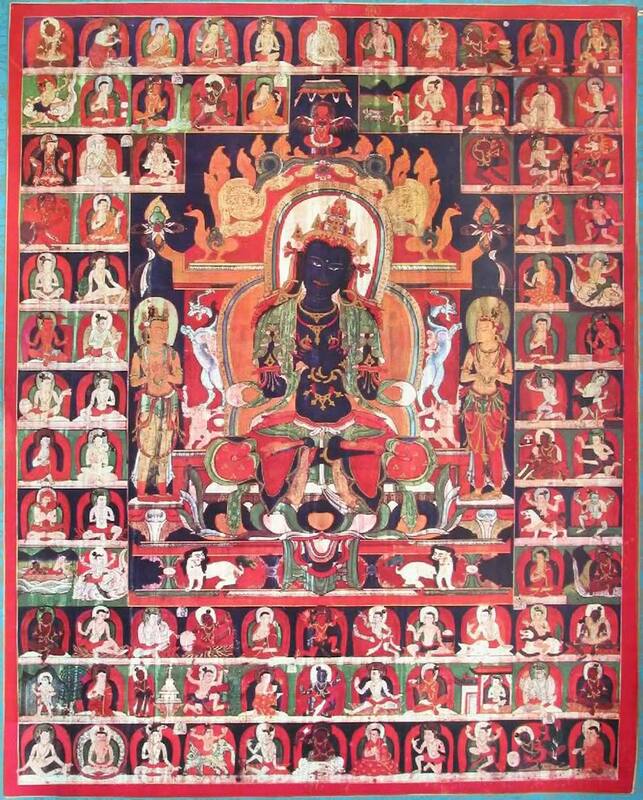 Many of the best and strongest jeeva samadhi's however have no images available at all. 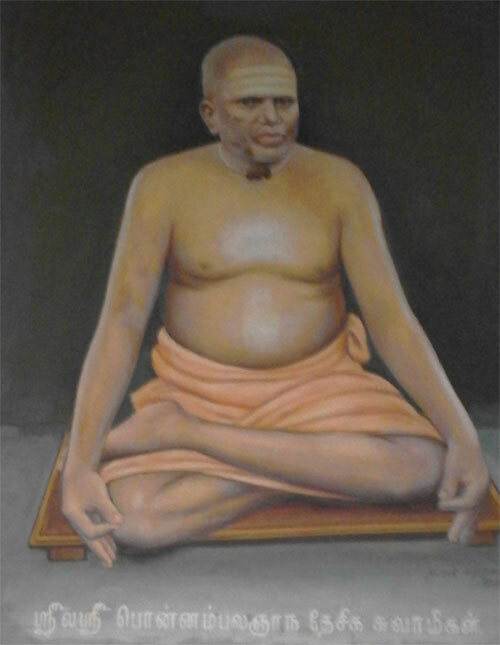 It is always clear that there is more going on in a temple then just the structure when you enter a jeeva samadhi area. 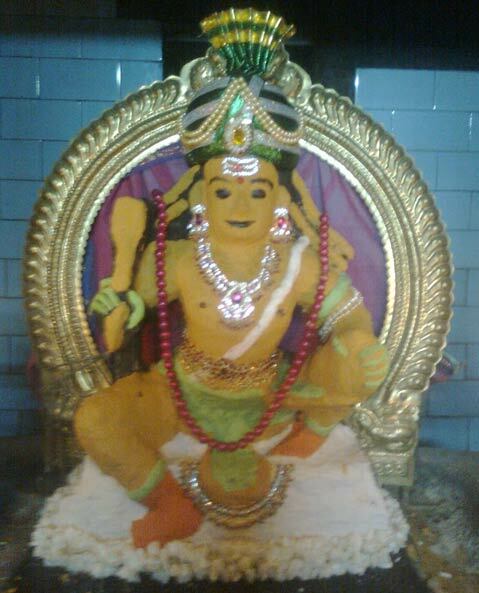 One of my most amazing visits was the Thayal Nayagi Udanurai Vaitheesaran Koil in Poonamallee, to the west of Chennai. 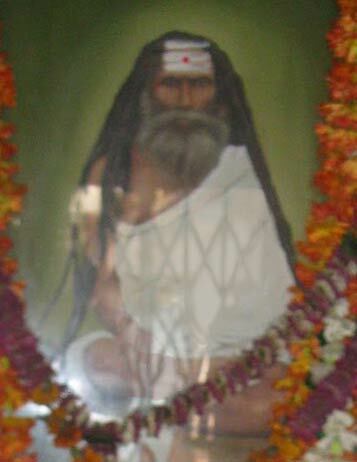 I must have been crying there for over 4 hours as the energy was so overwhelming and I could not leave the place. 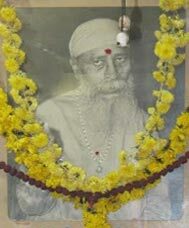 I have not included the jeeva samadhi's of those temples as there are no pictures available of the saints but only the temple itself, but let it be said that some of those places when visited will leave an unforgettable deep impression or insight behind that no words or images can ever describe. 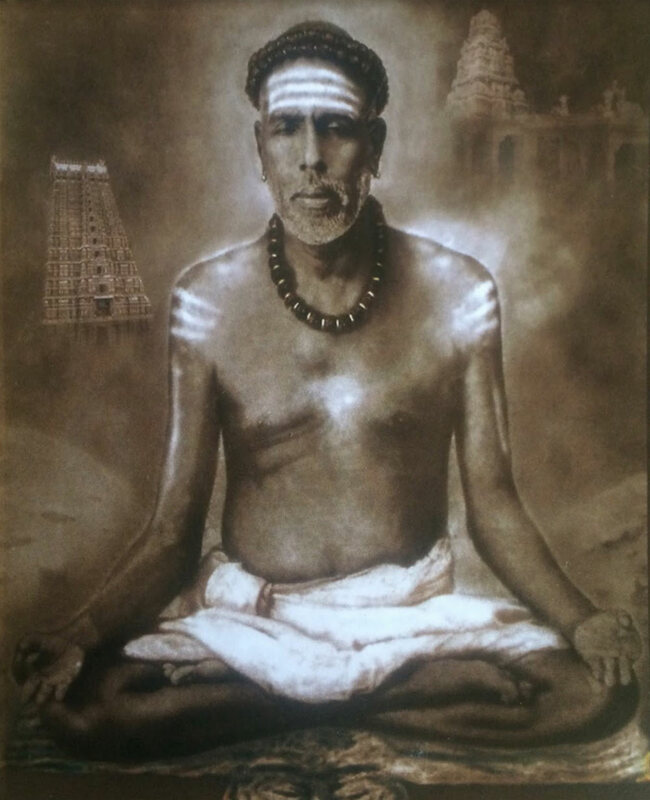 Hopefully those temples that do have images and are not included yet, will be added in the future, but for now please enjoy the blessings that will be bestowed upon you by just looking at their pictures and receiving their blessings.